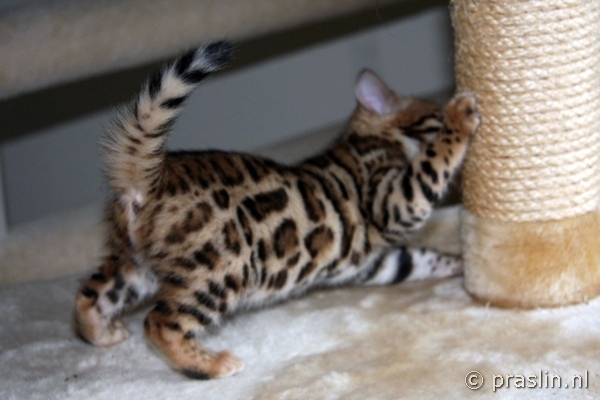 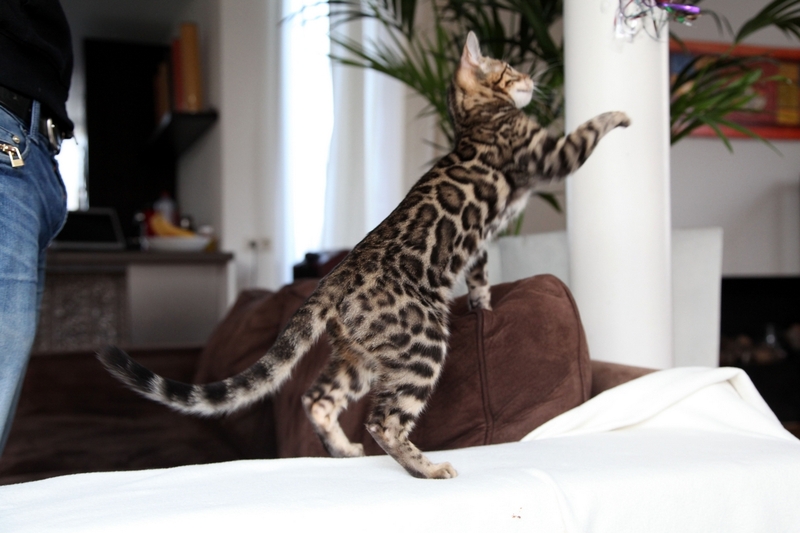 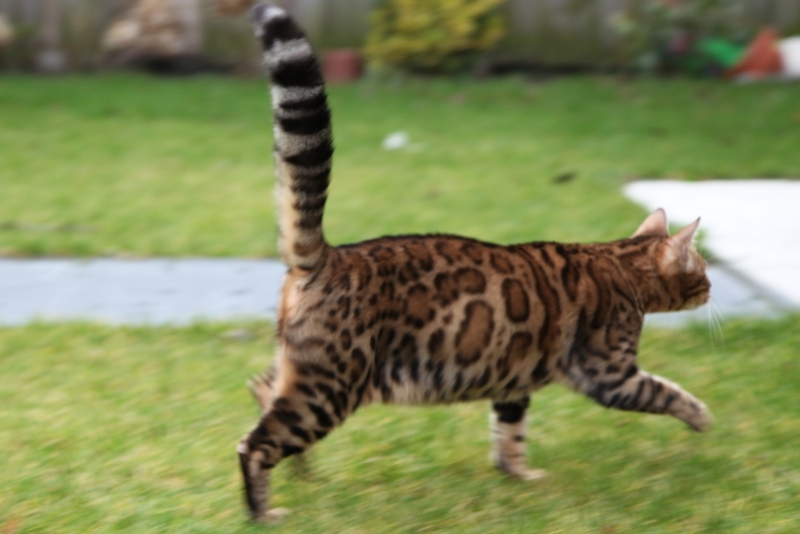 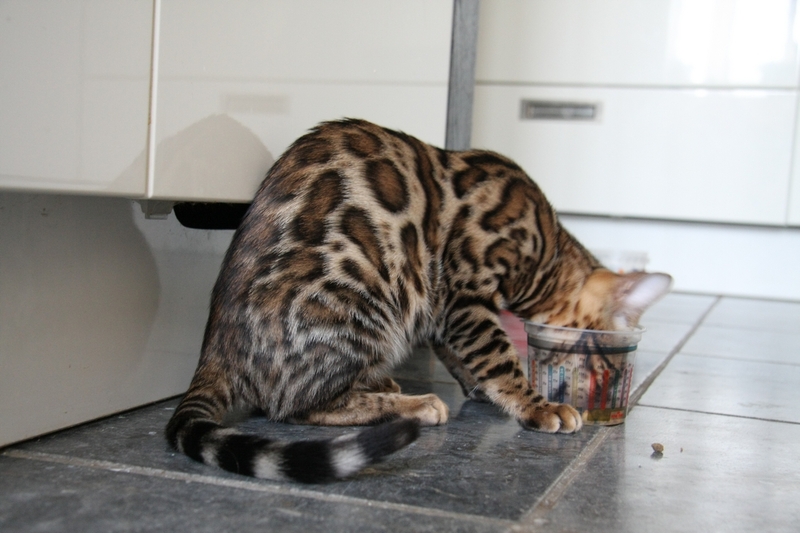 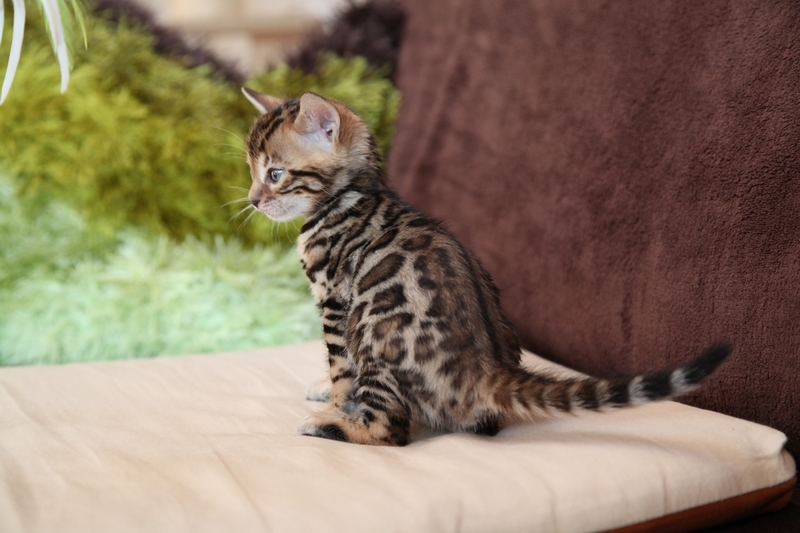 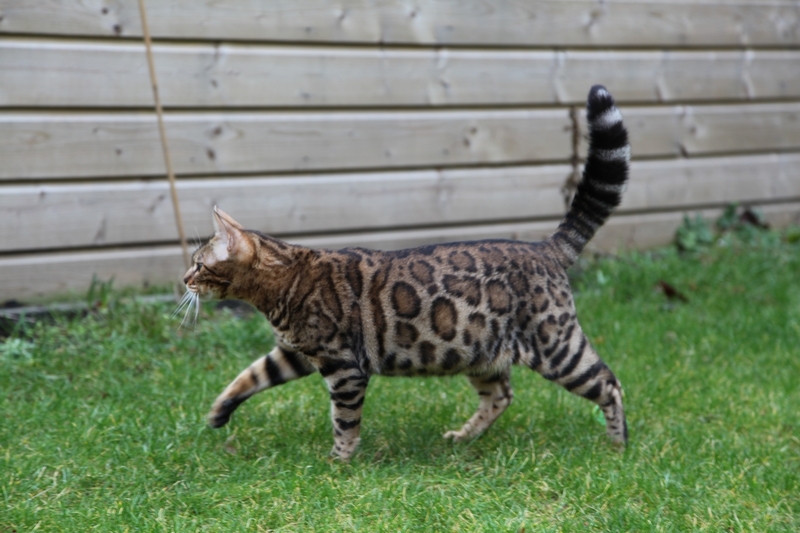 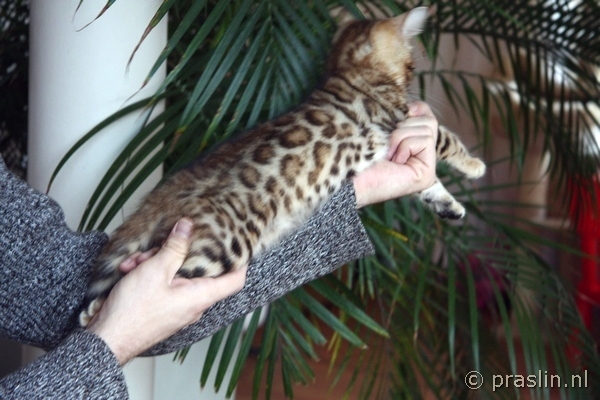 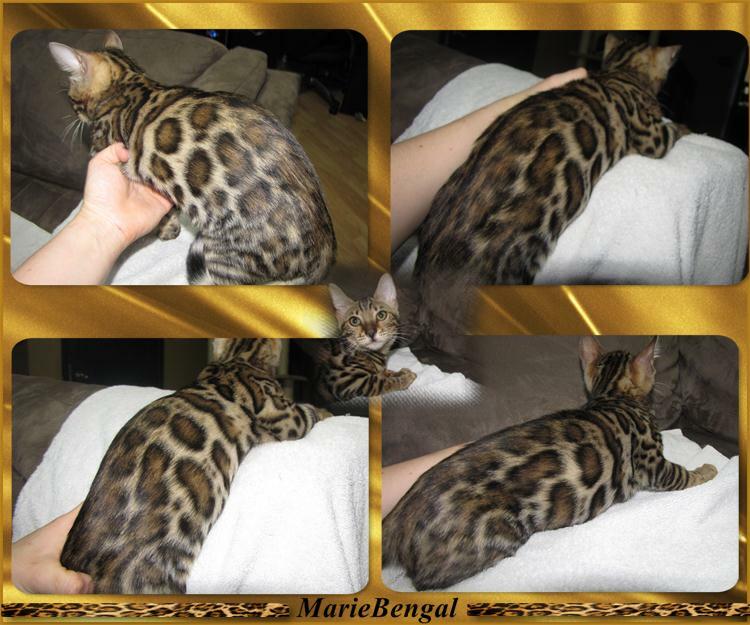 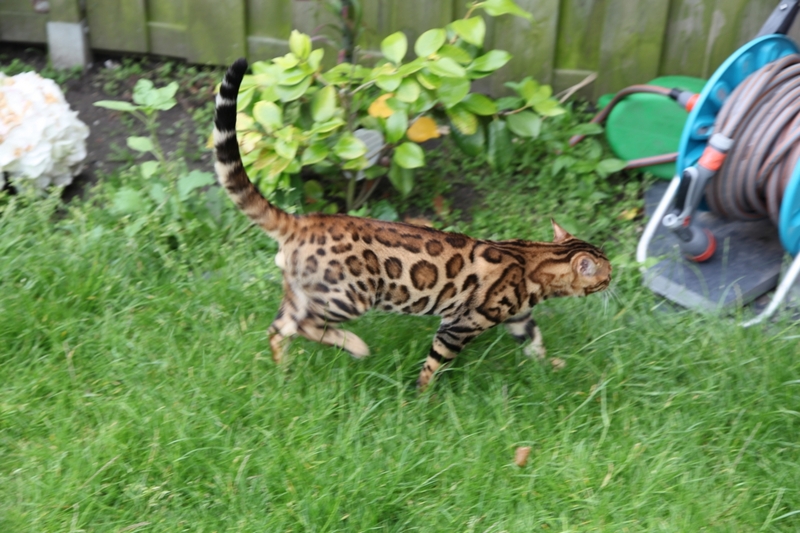 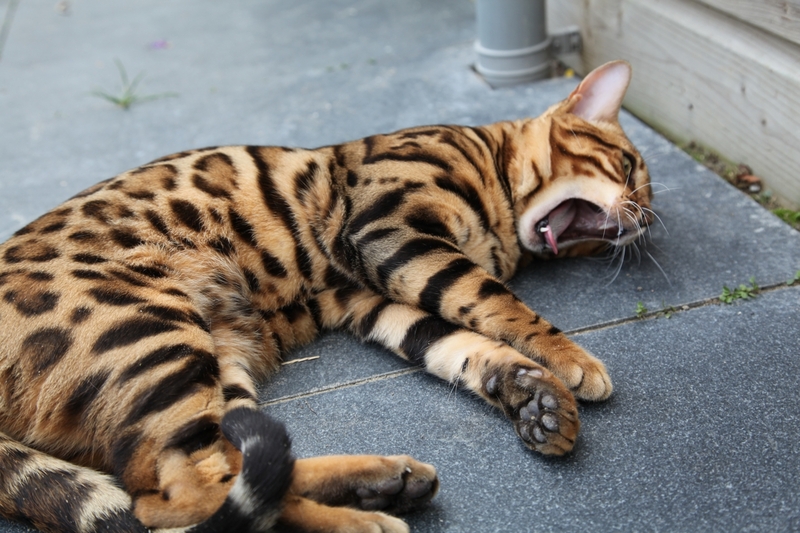 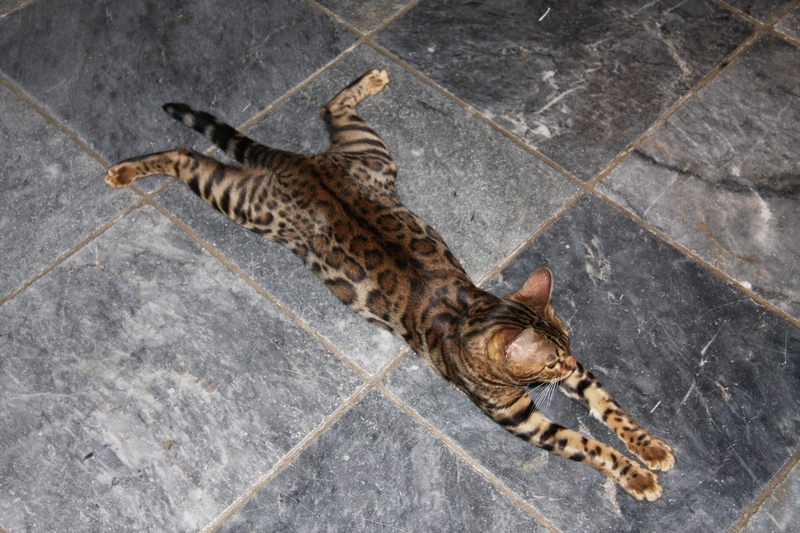 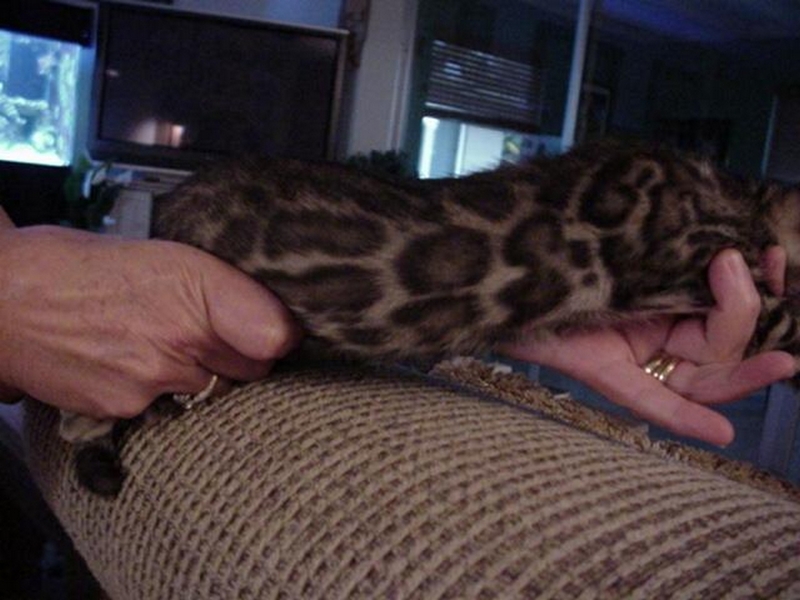 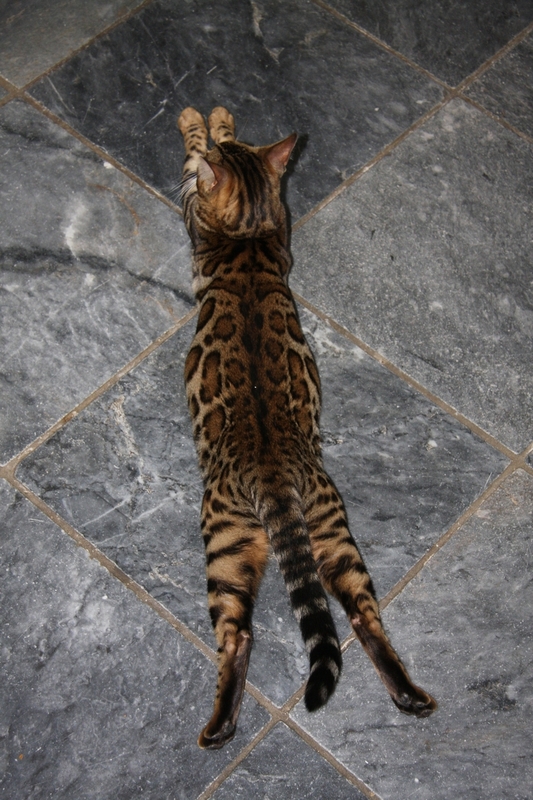 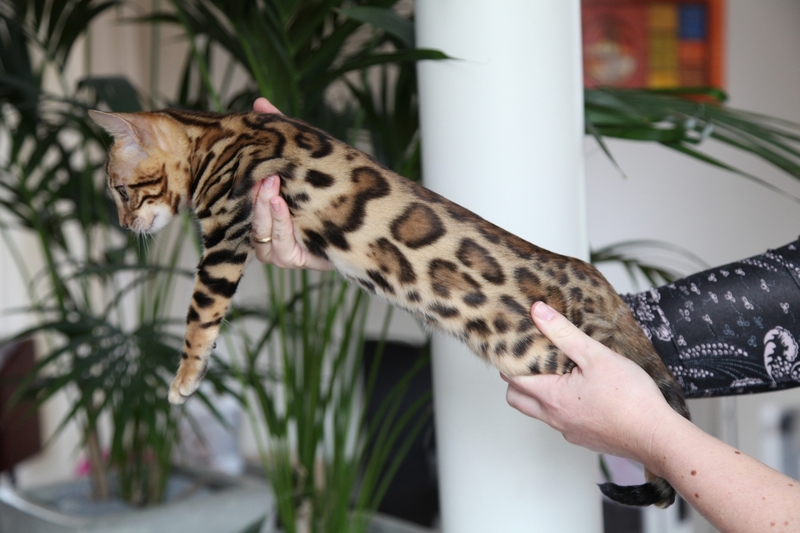 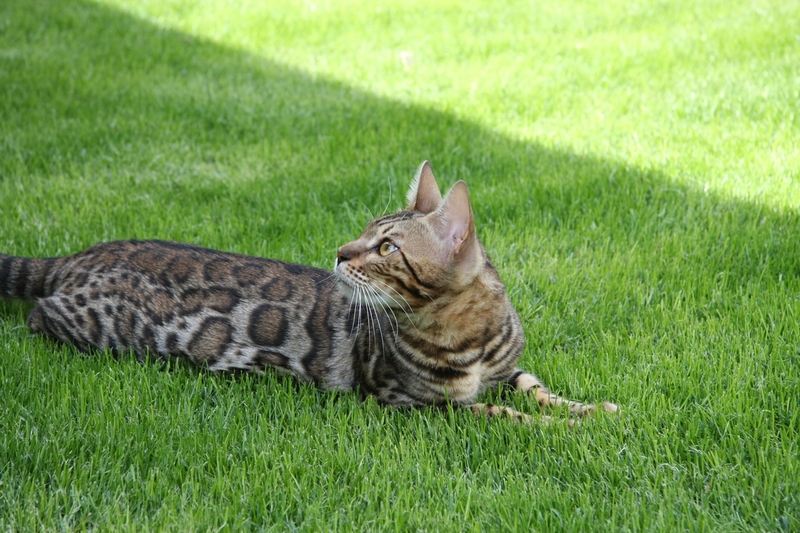 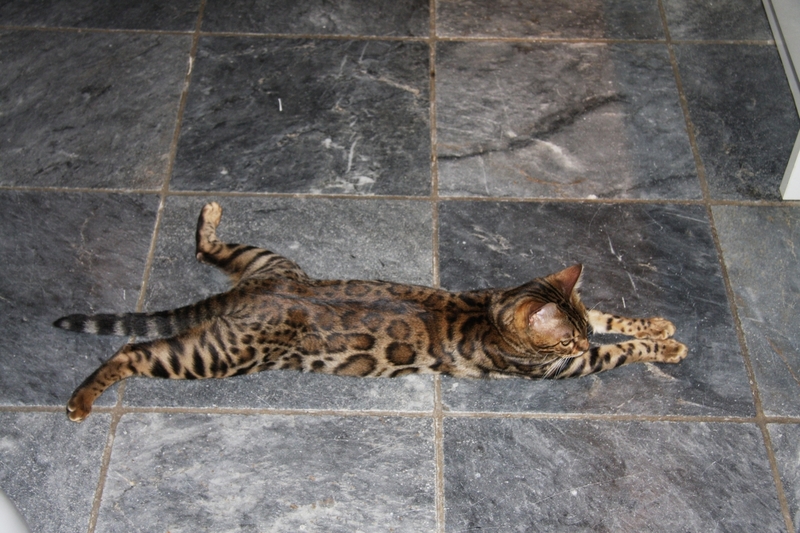 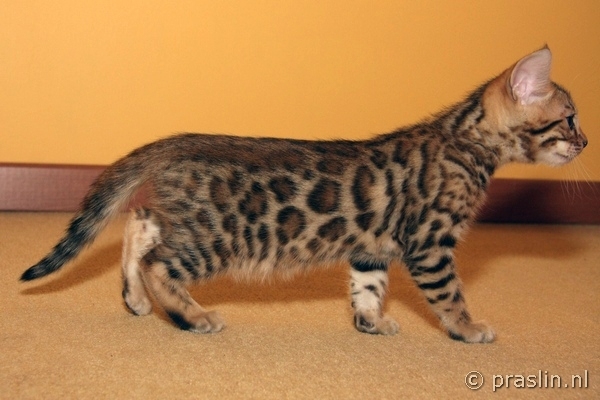 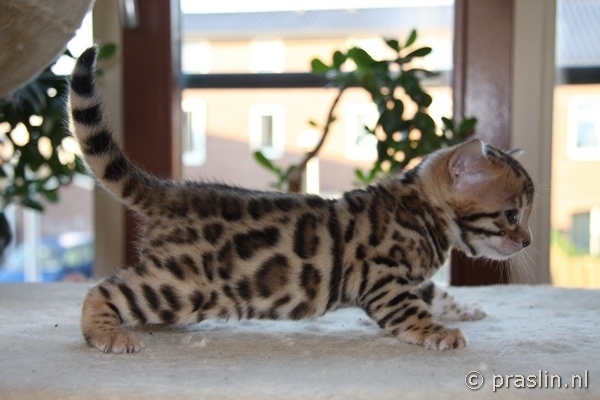 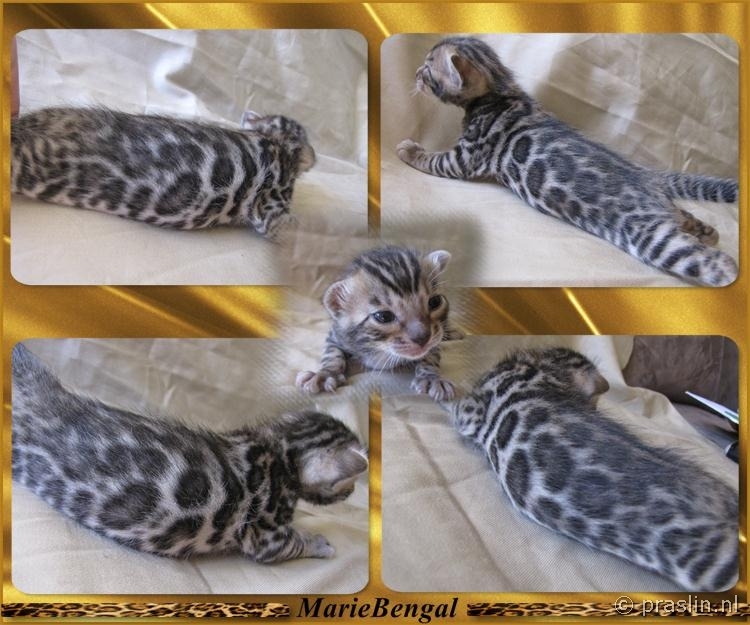 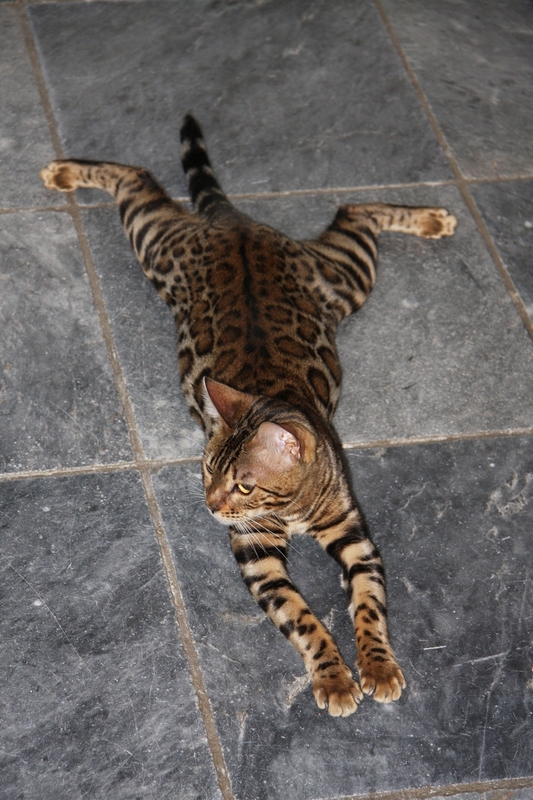 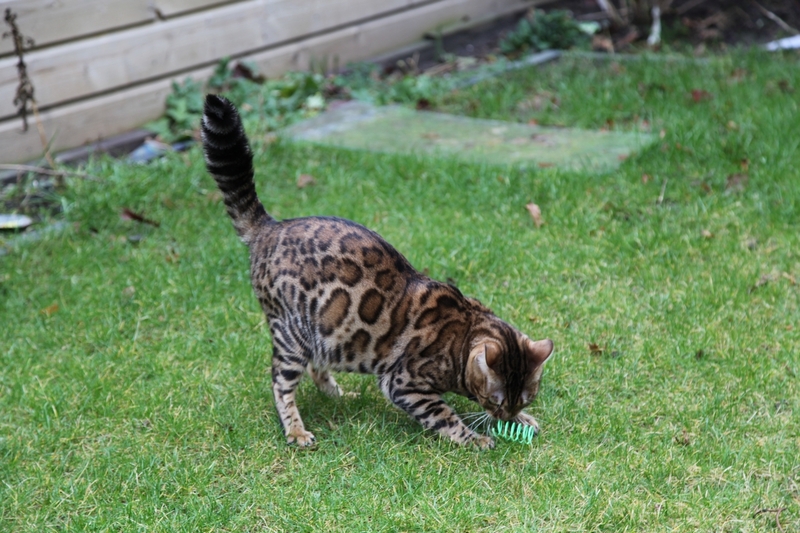 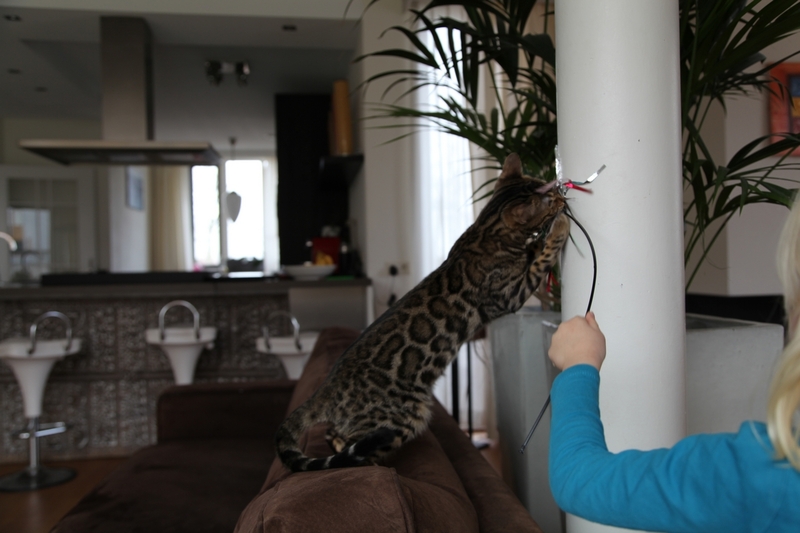 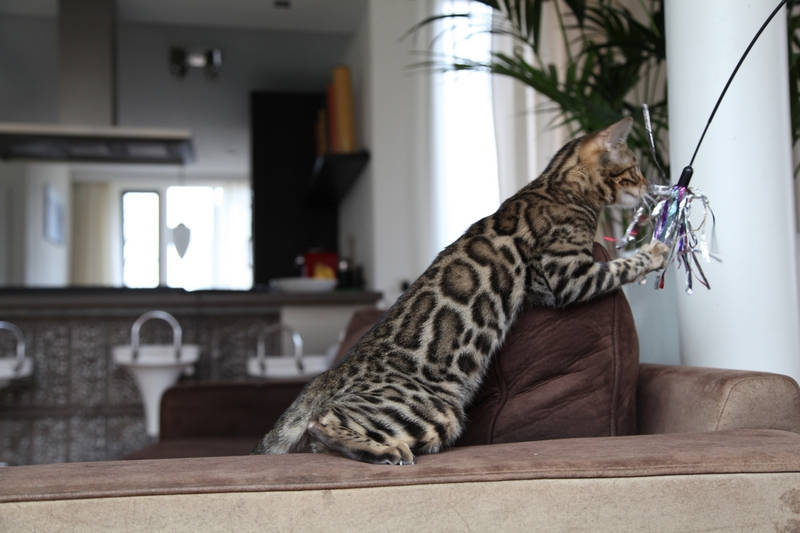 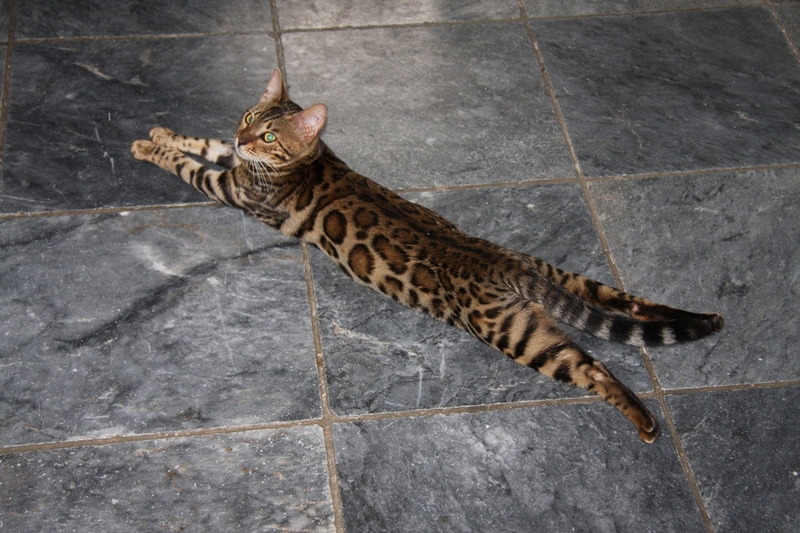 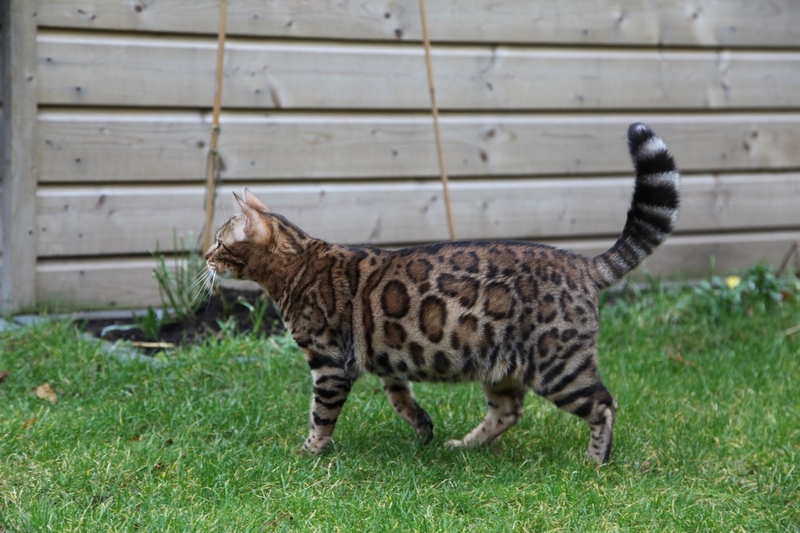 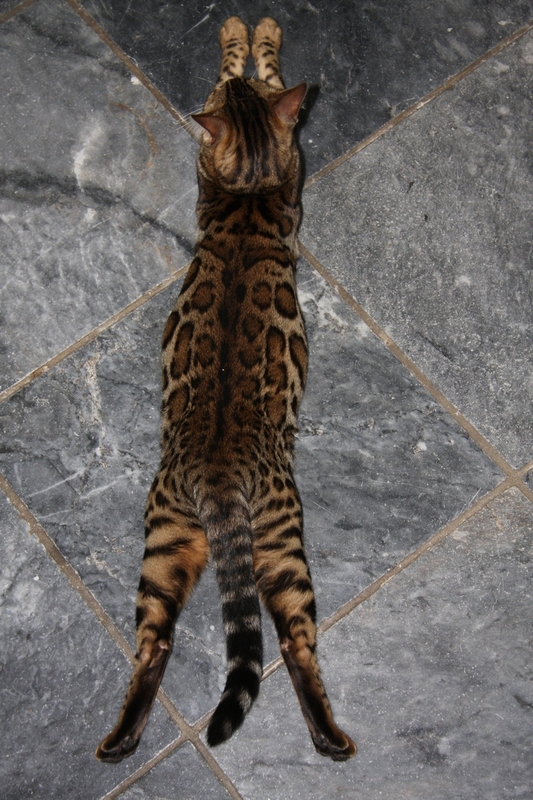 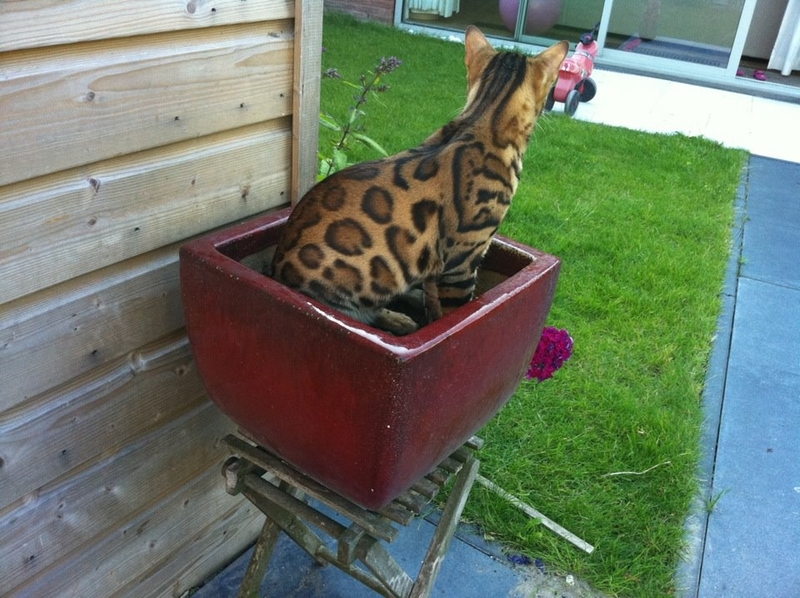 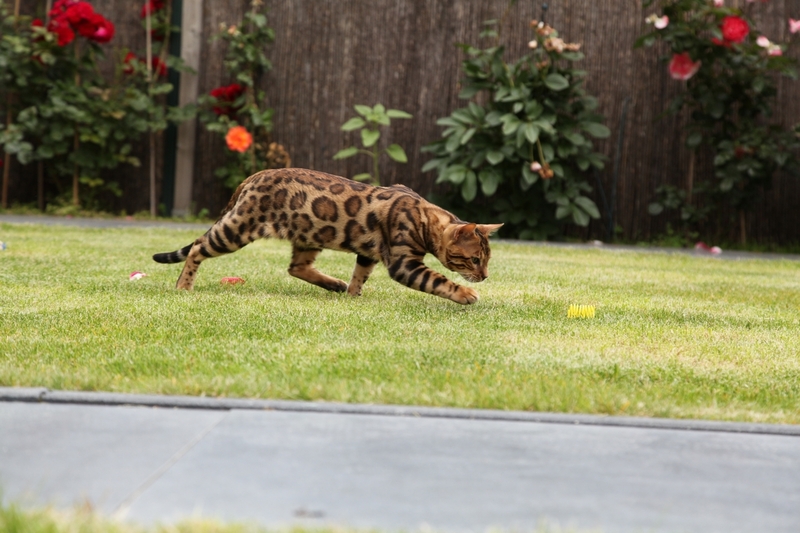 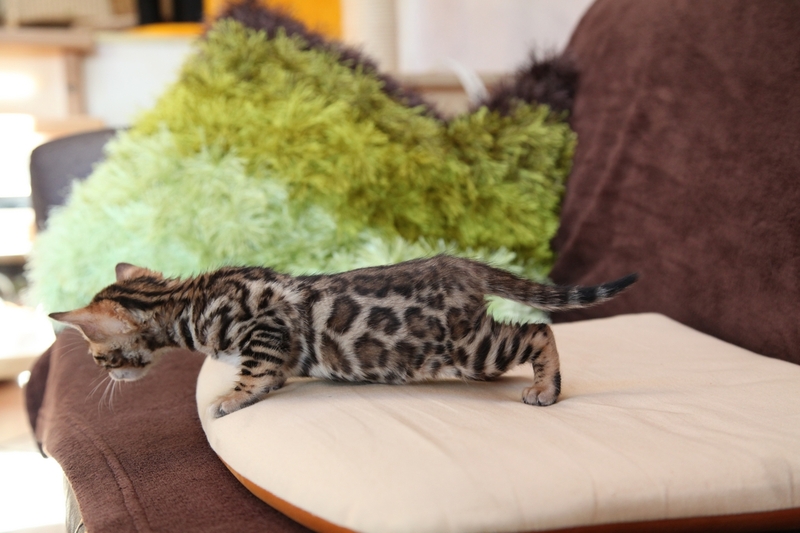 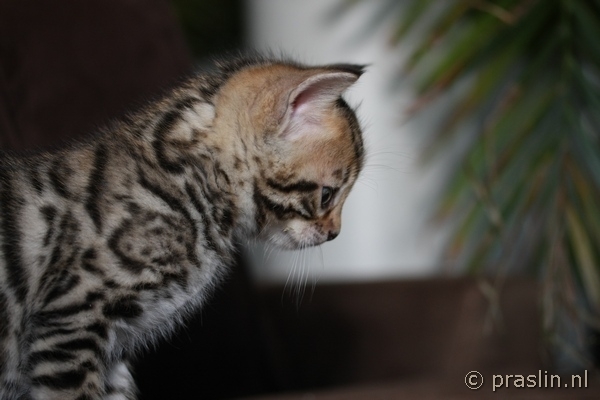 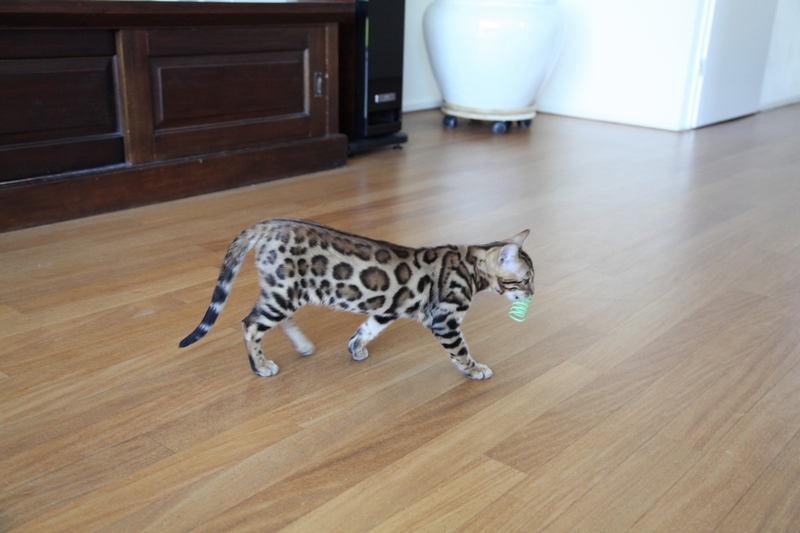 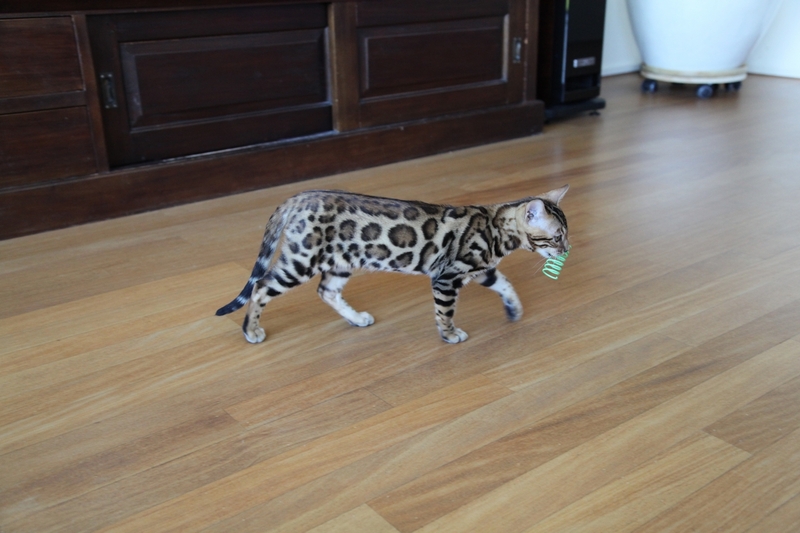 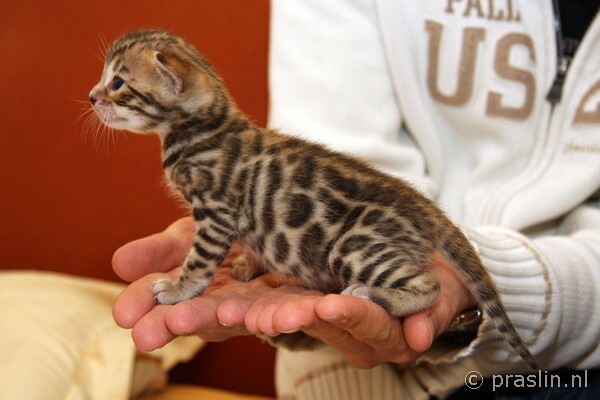 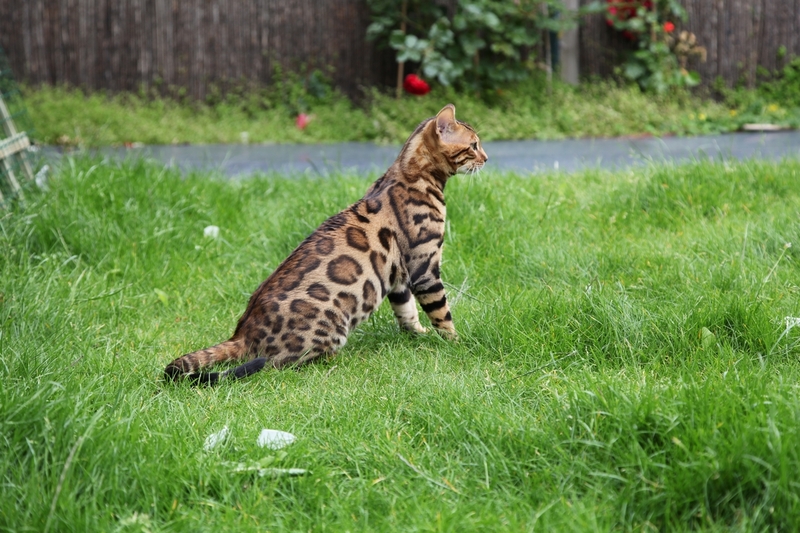 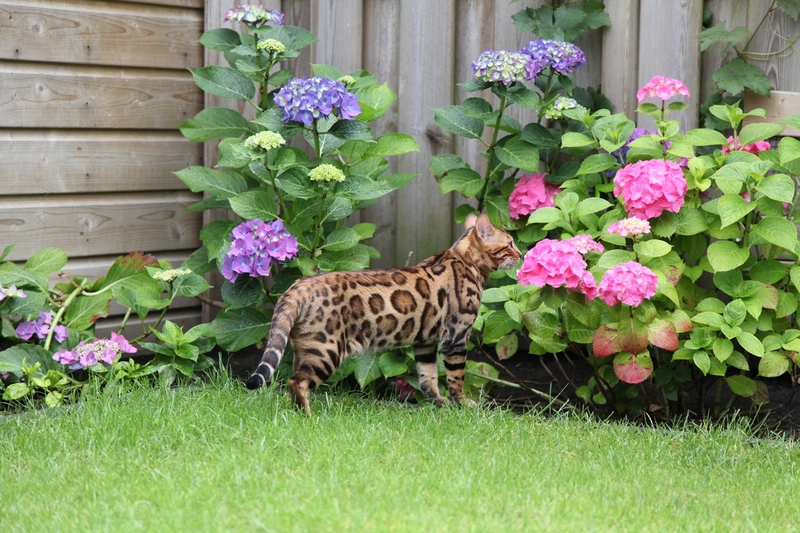 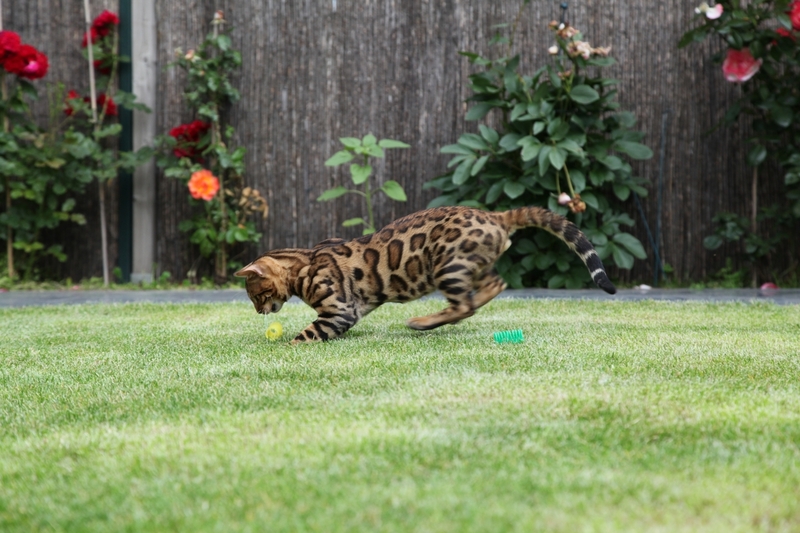 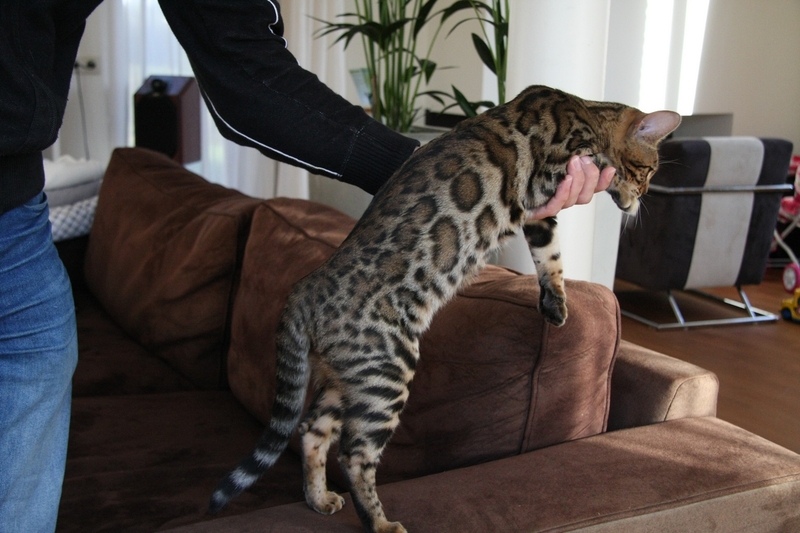 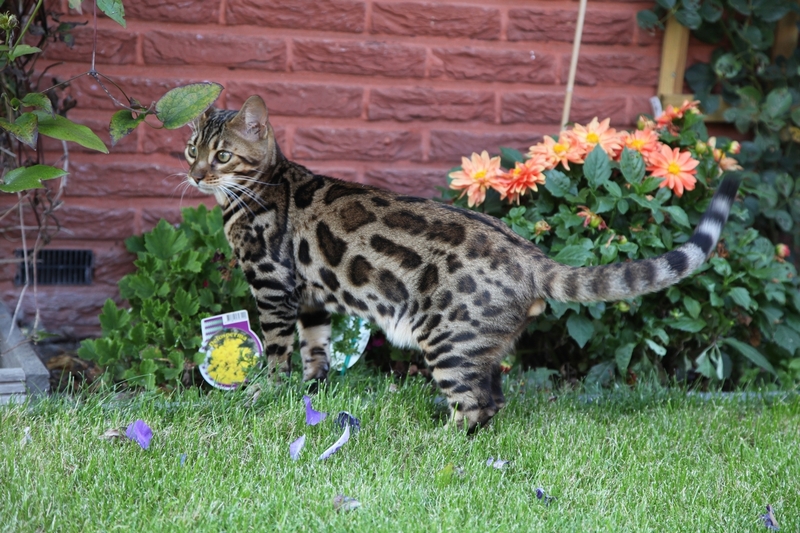 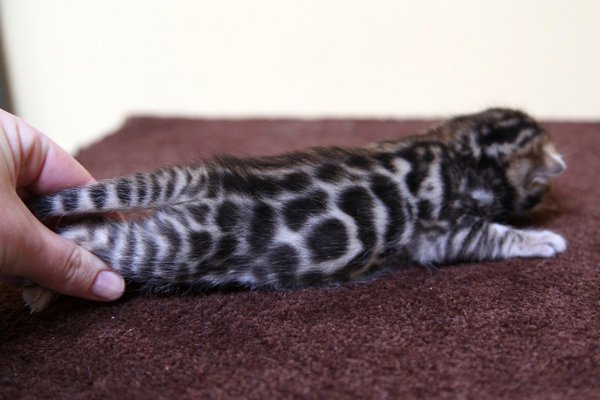 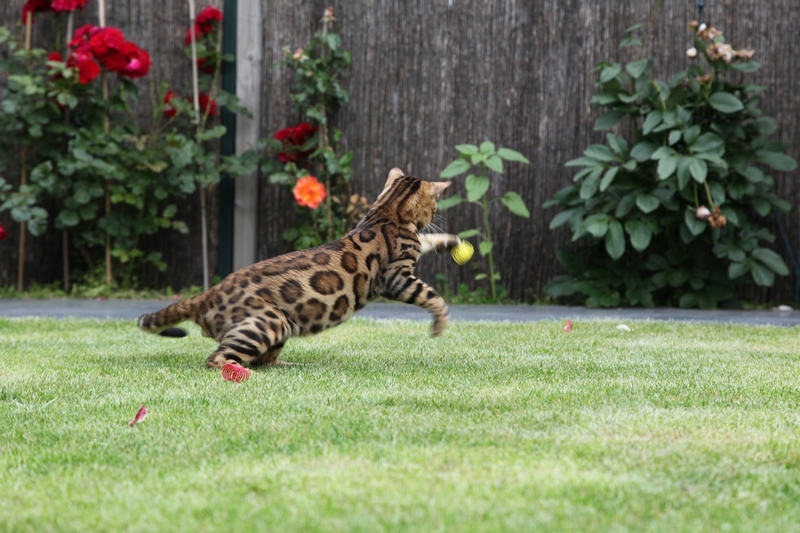 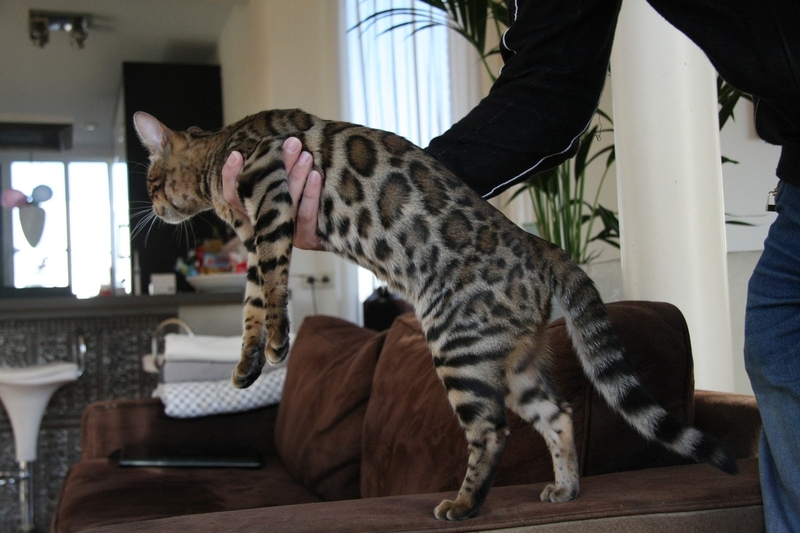 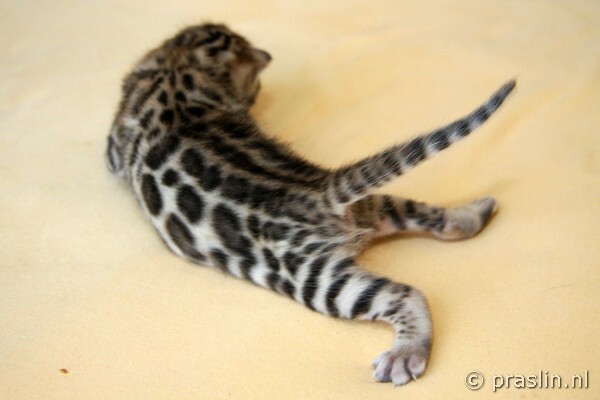 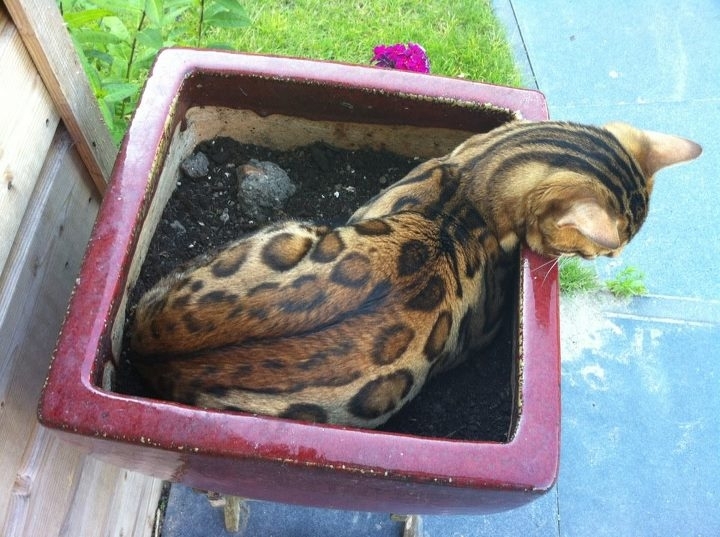 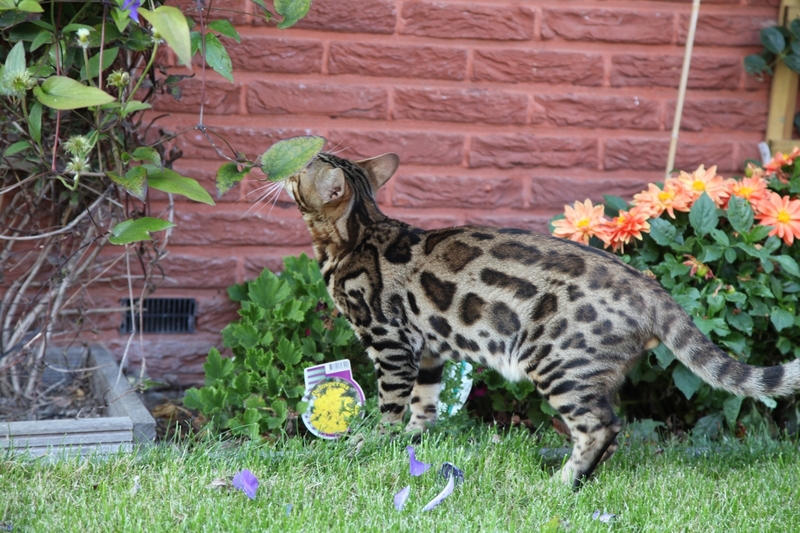 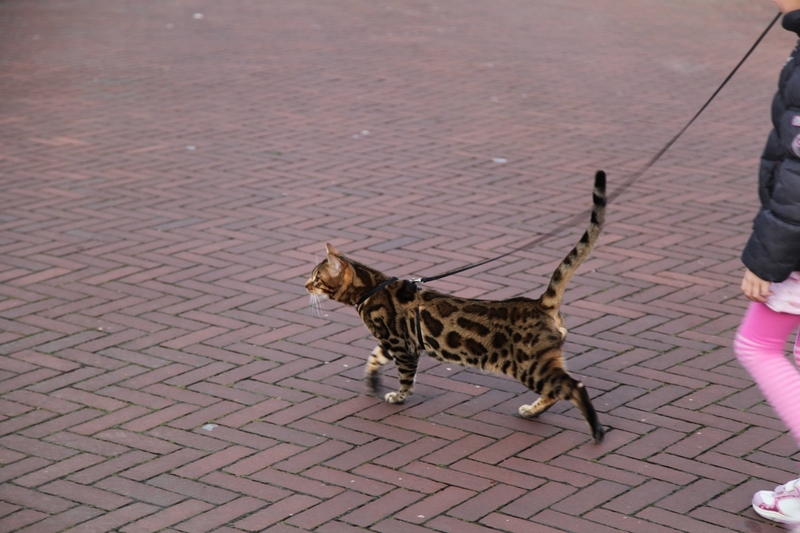 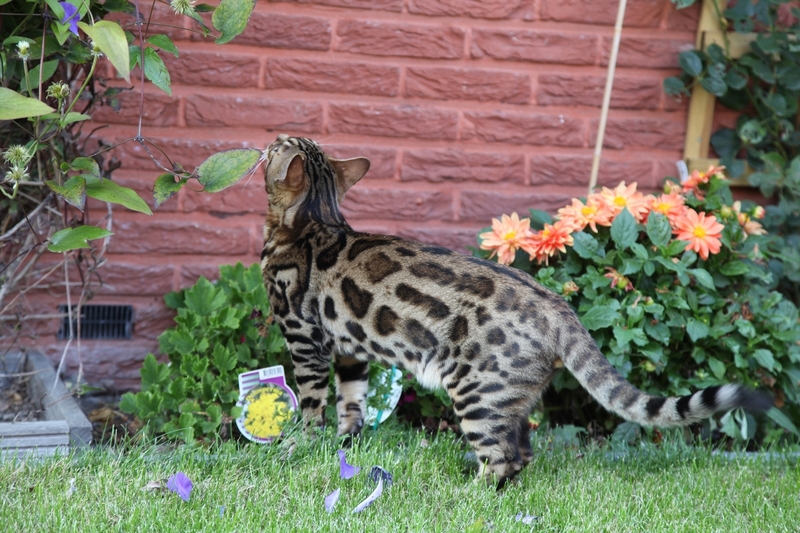 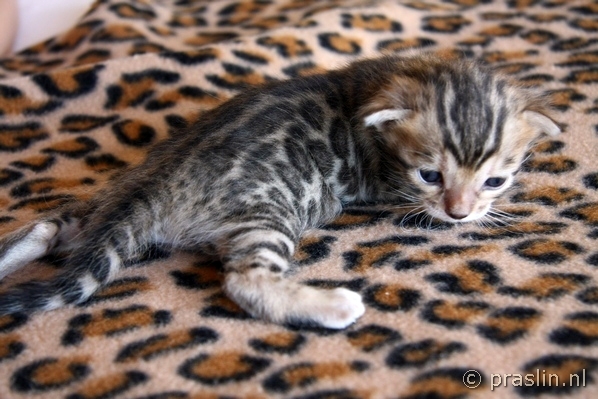 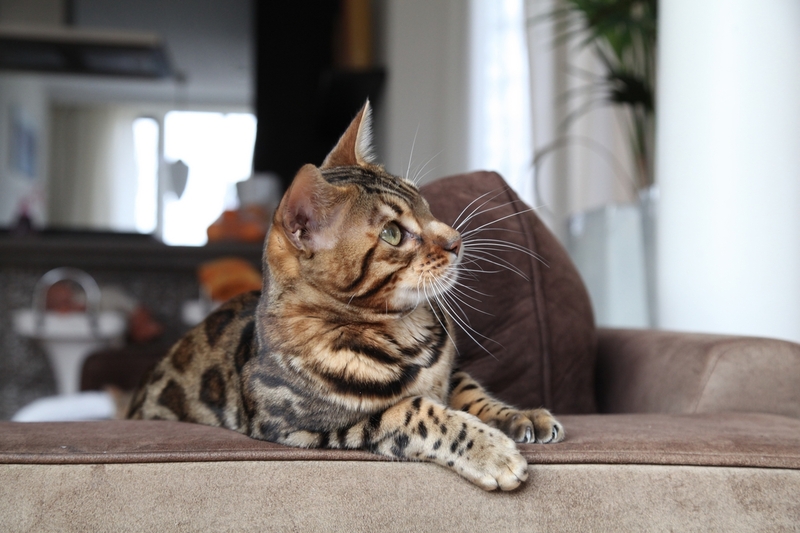 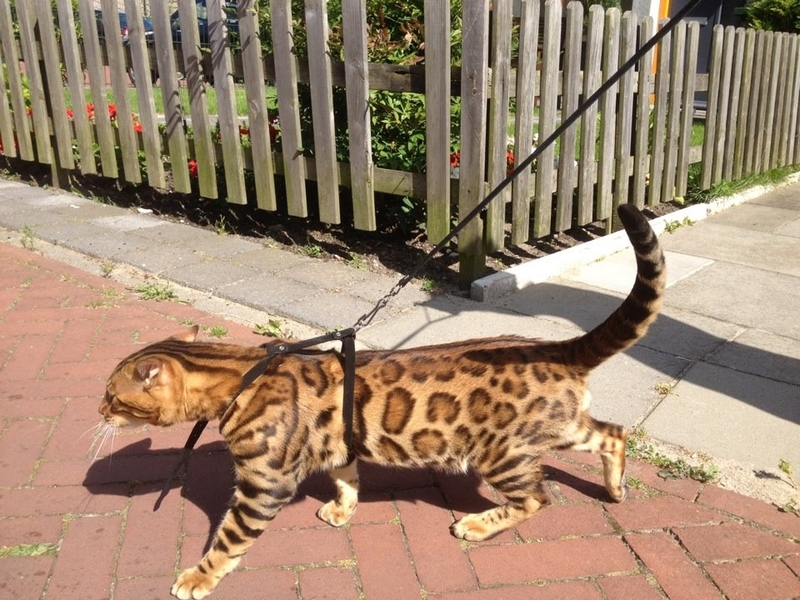 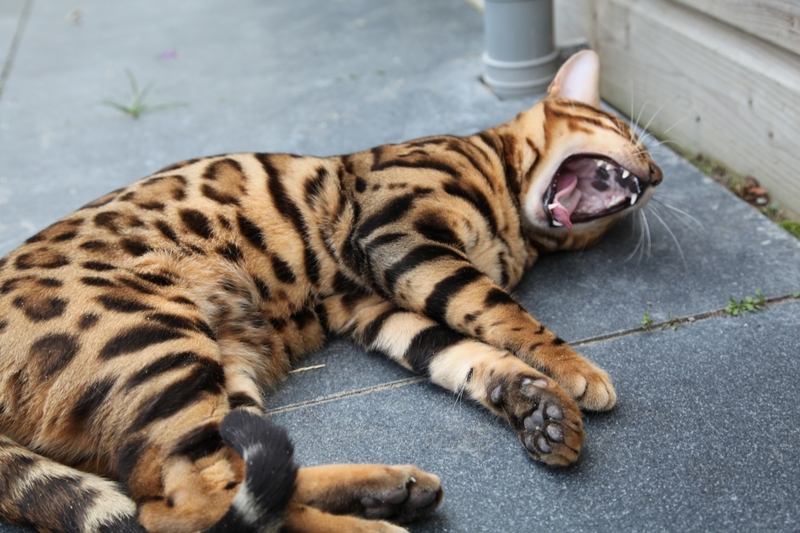 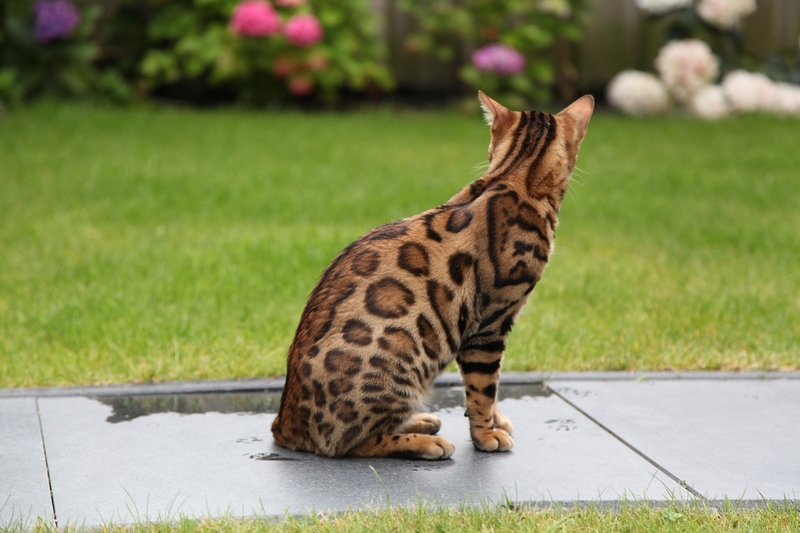 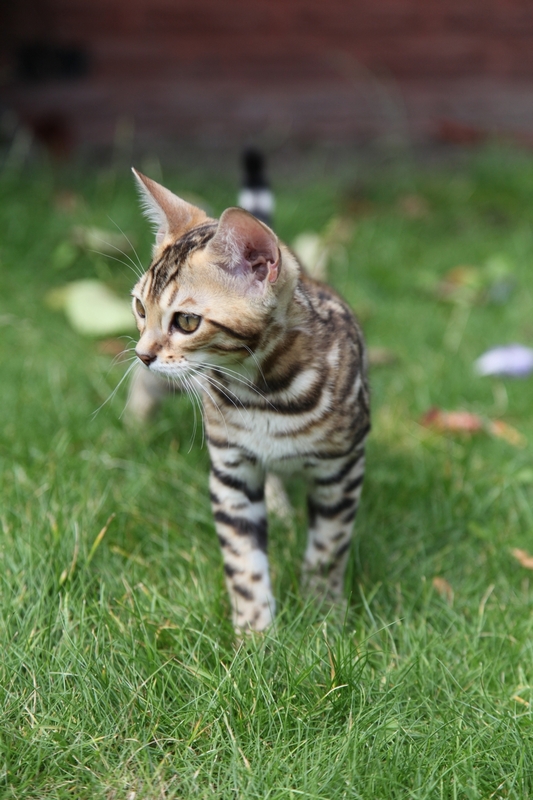 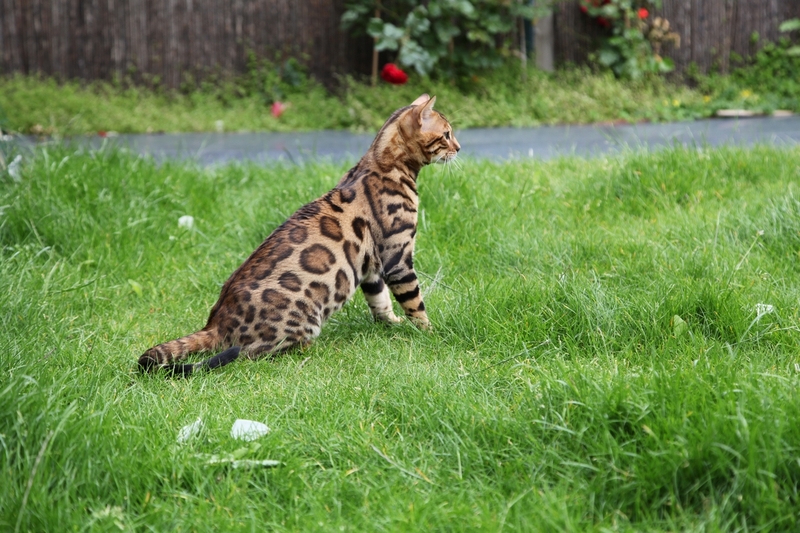 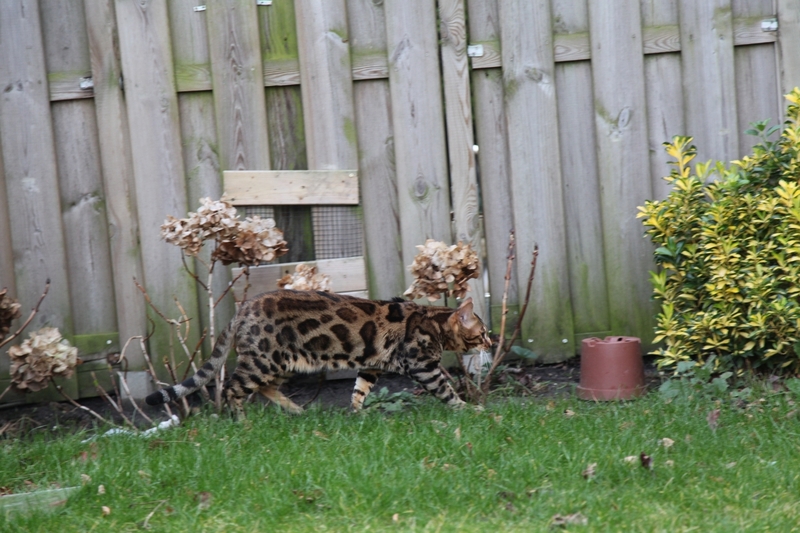 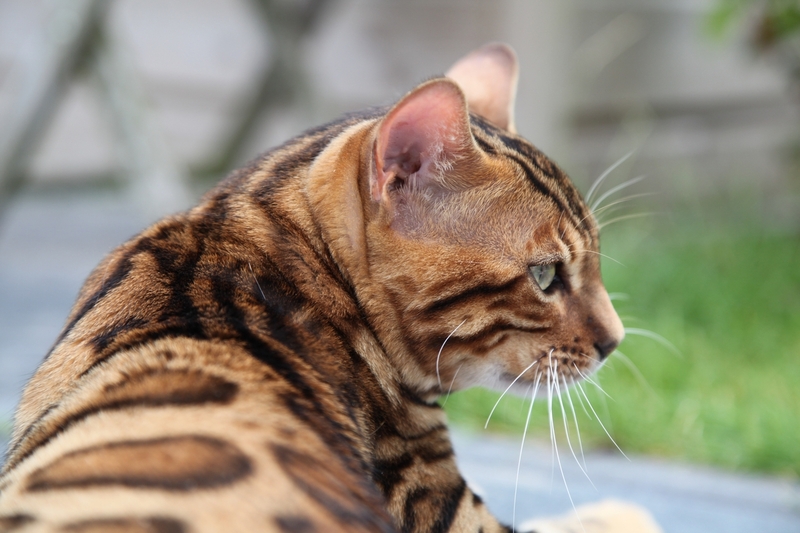 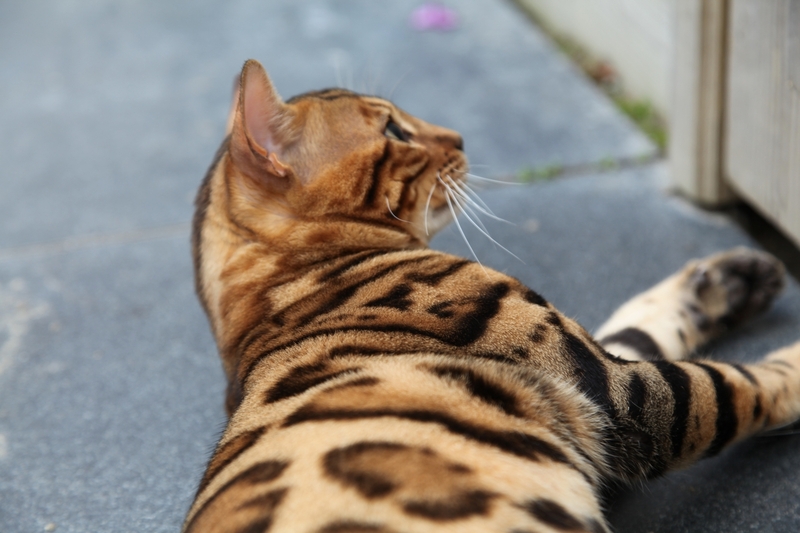 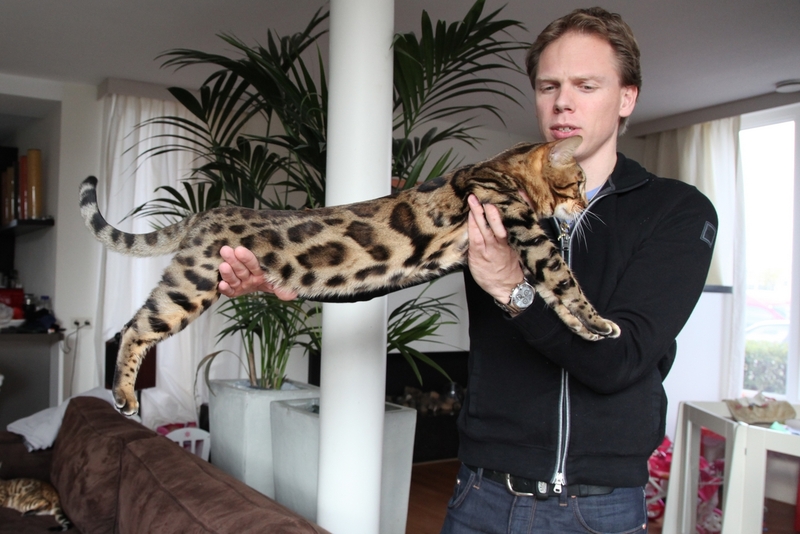 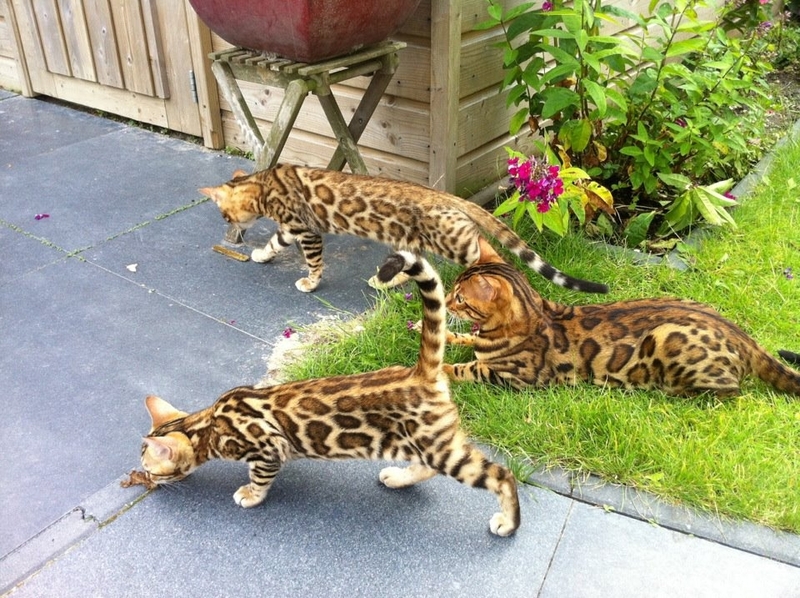 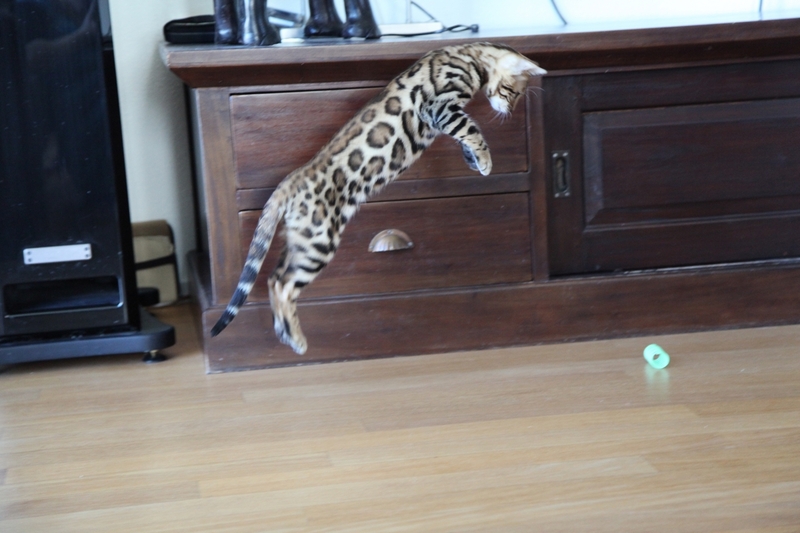 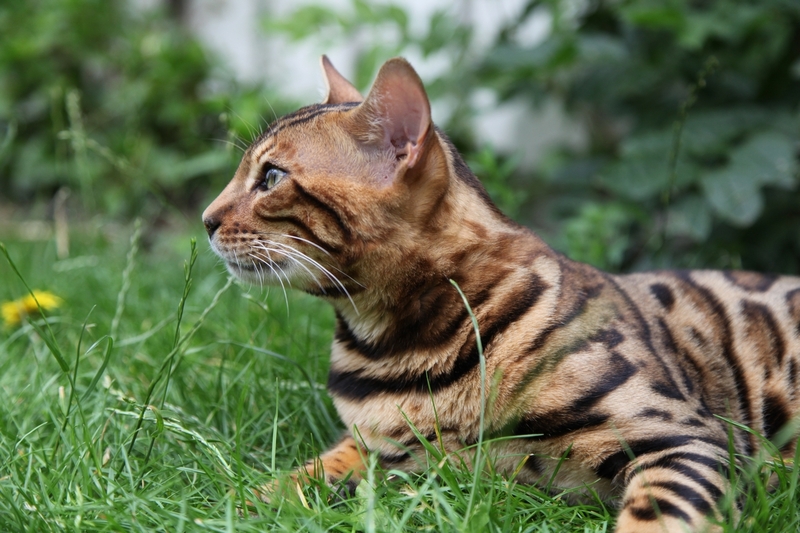 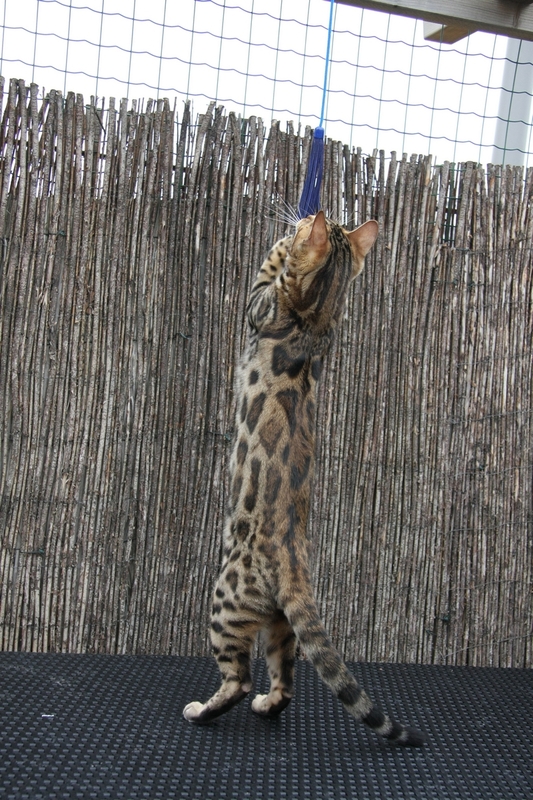 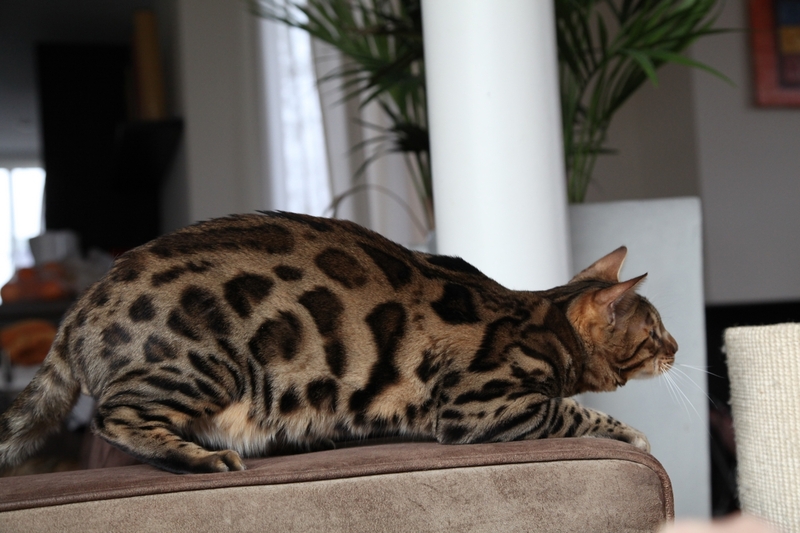 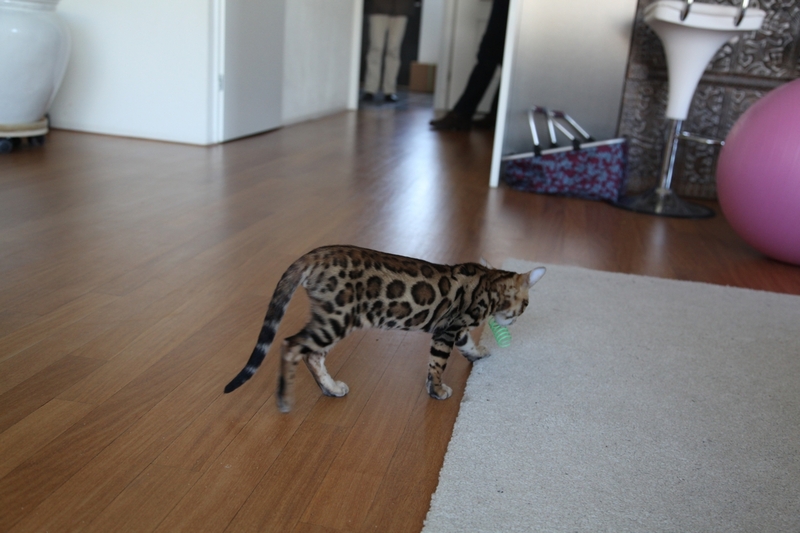 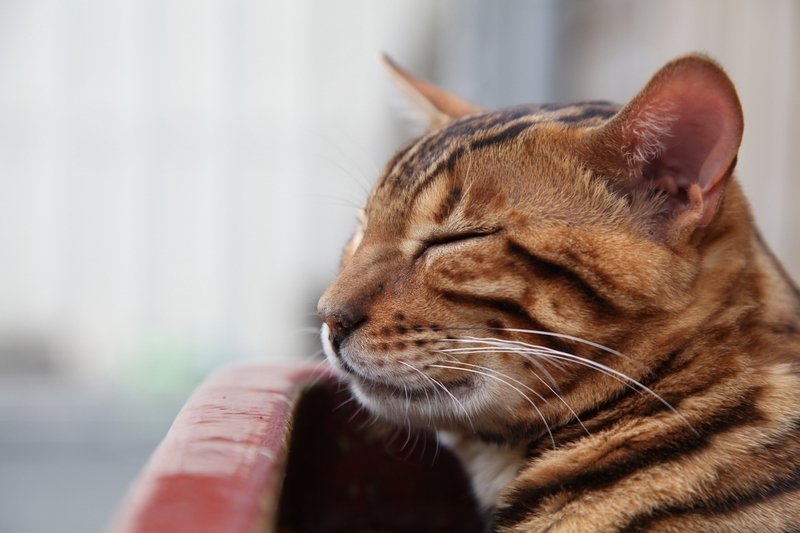 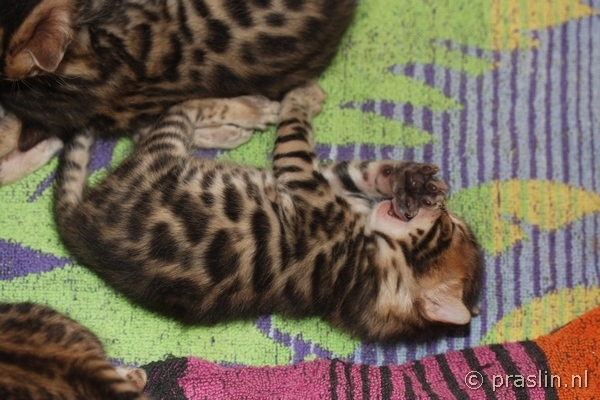 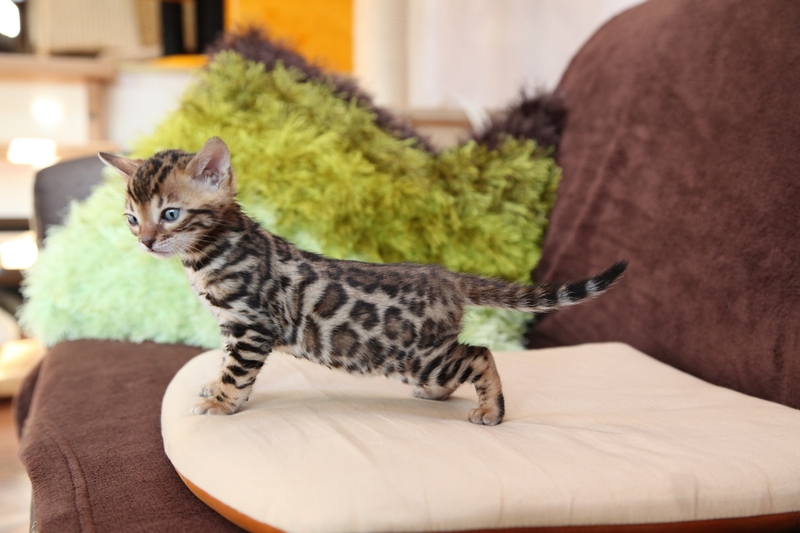 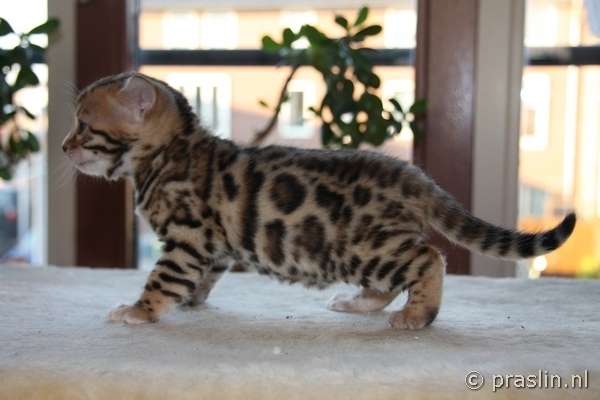 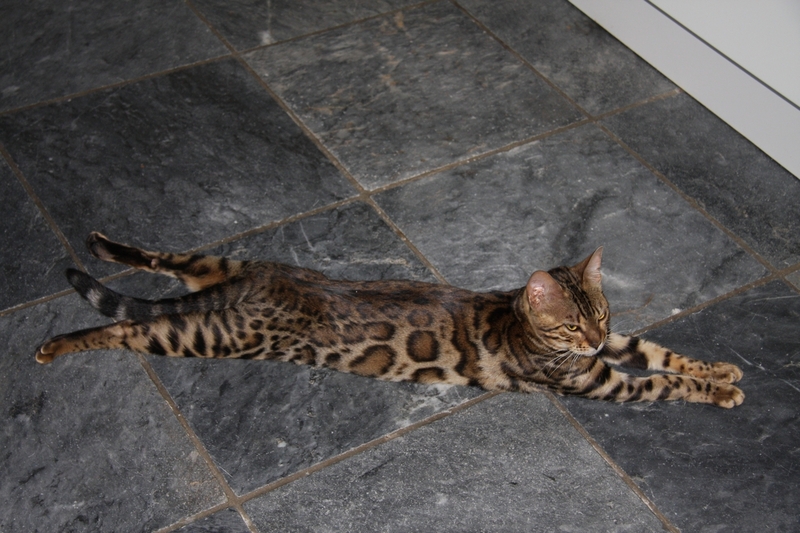 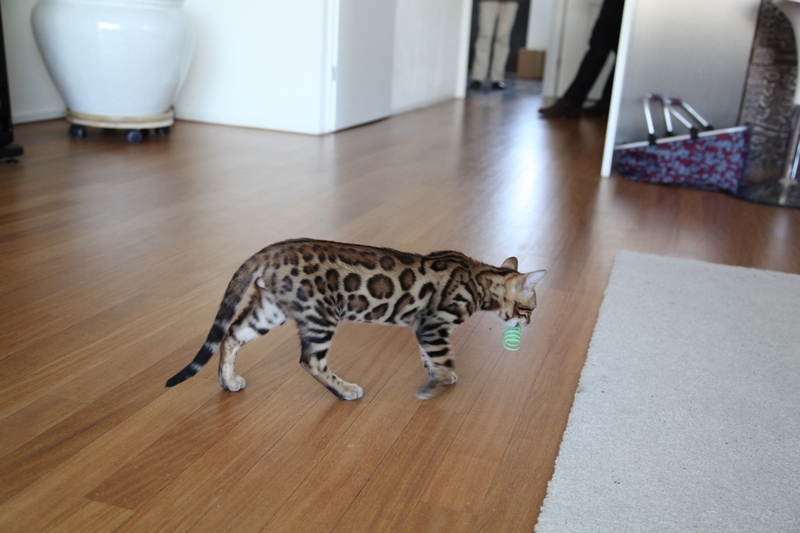 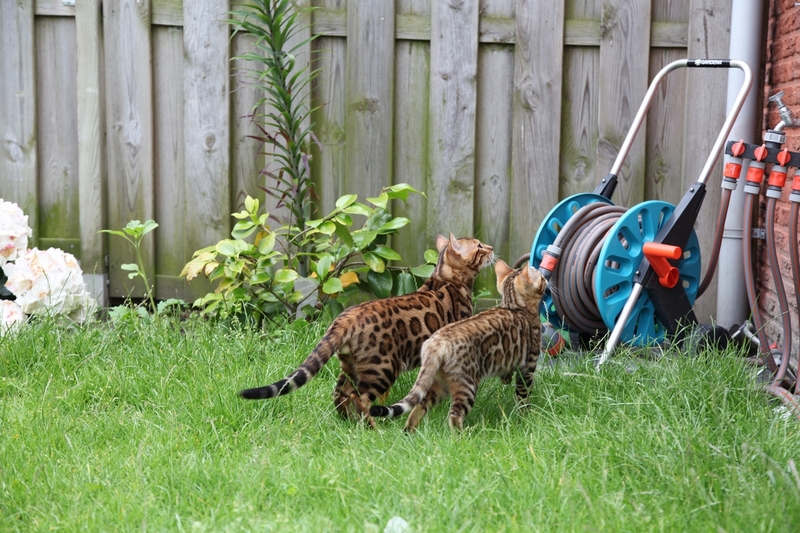 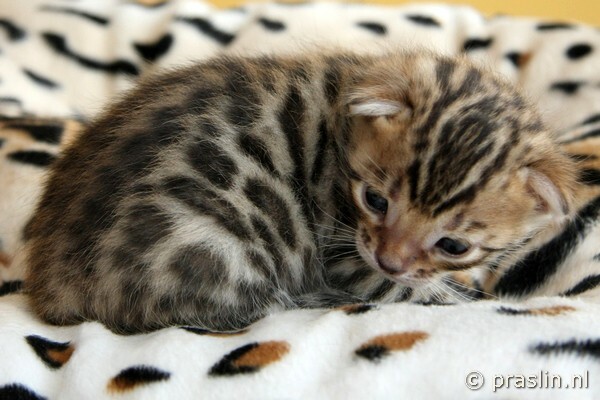 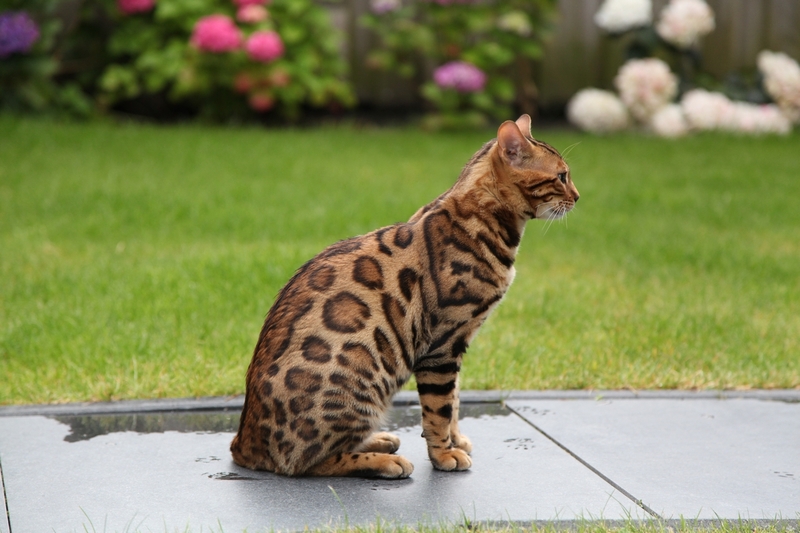 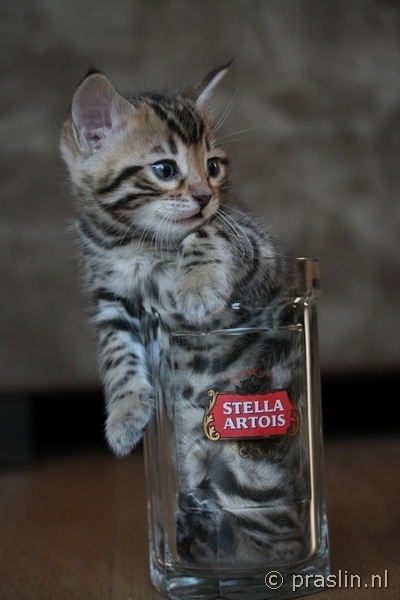 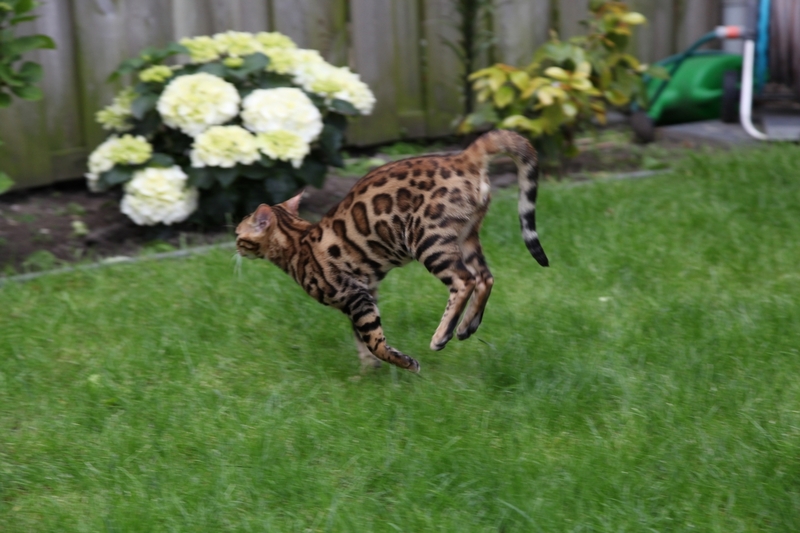 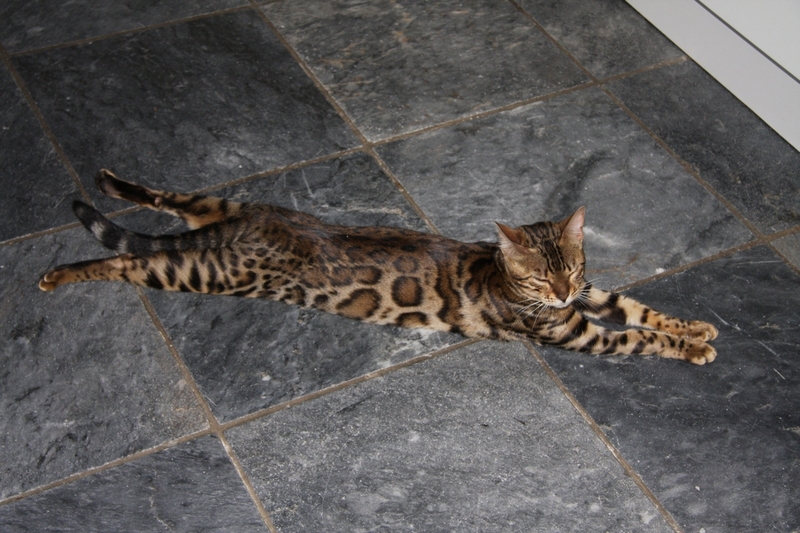 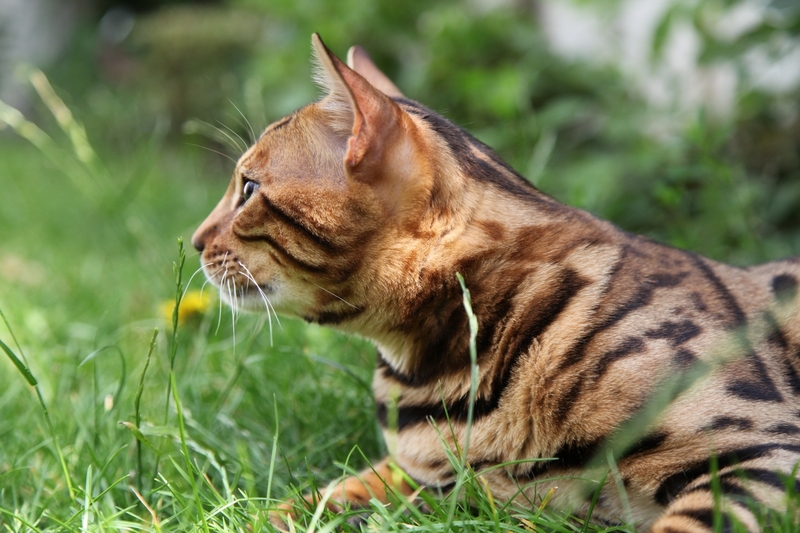 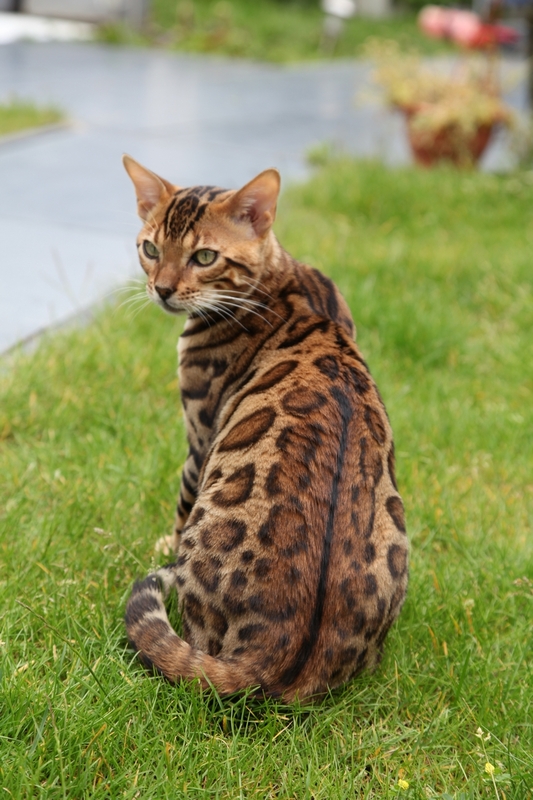 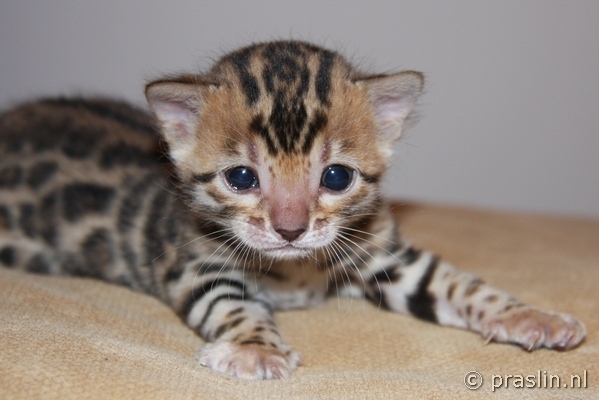 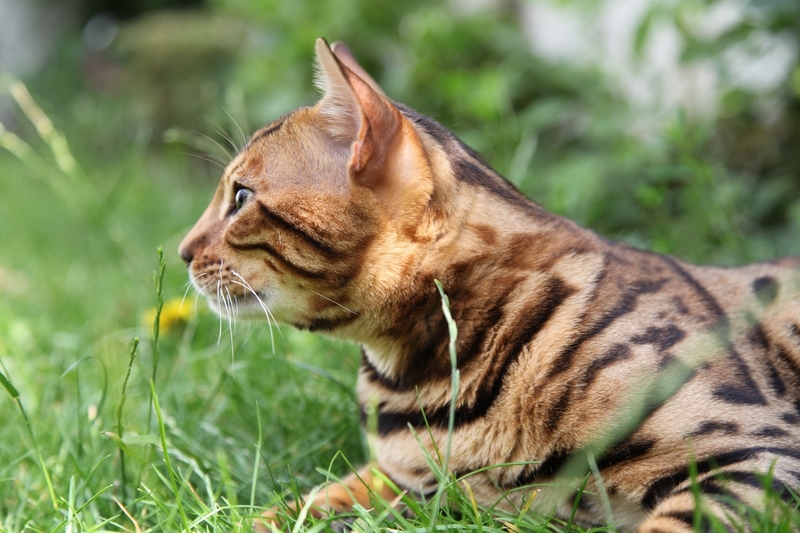 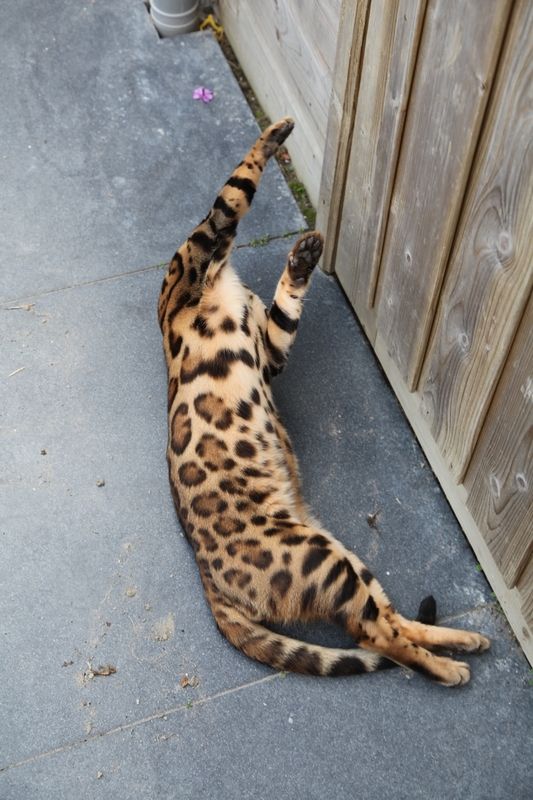 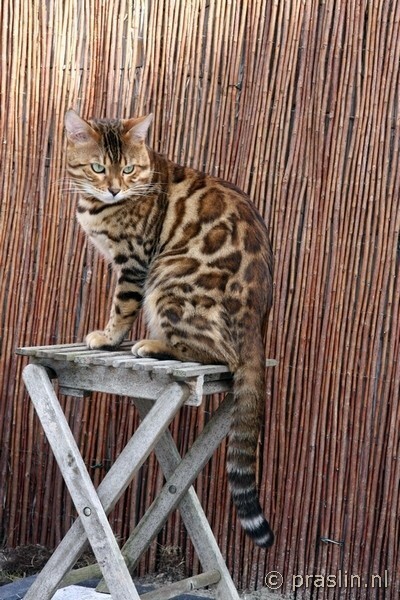 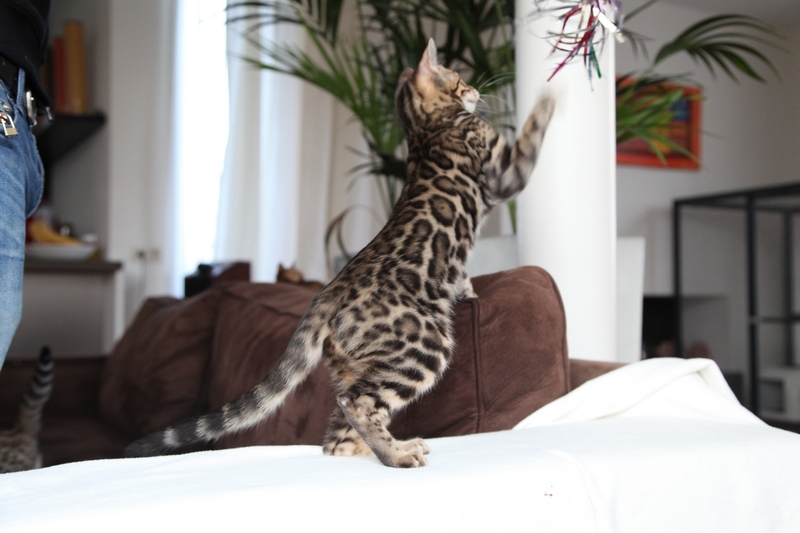 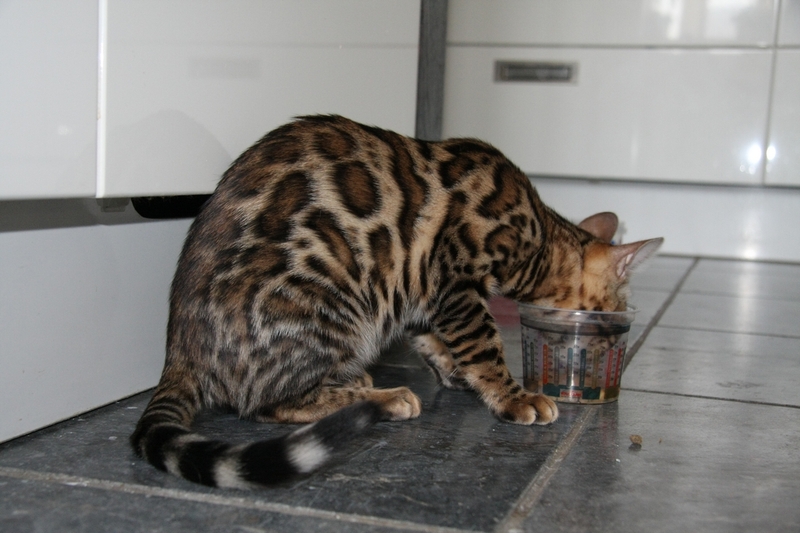 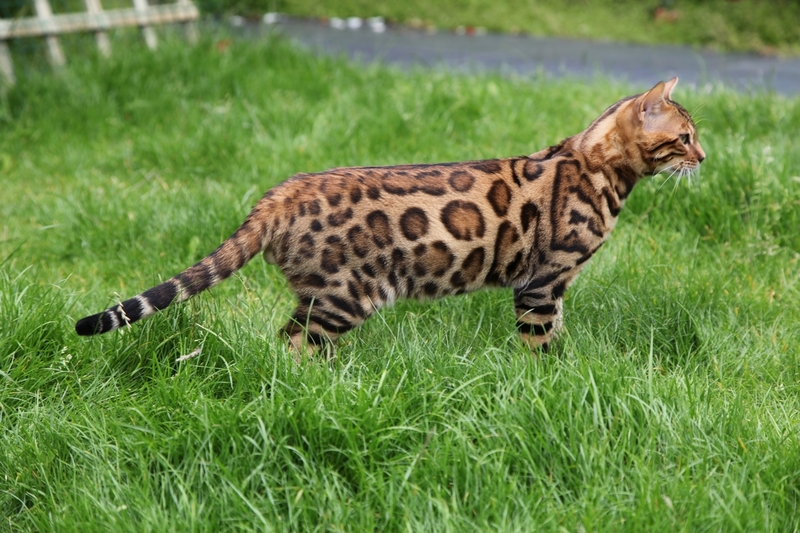 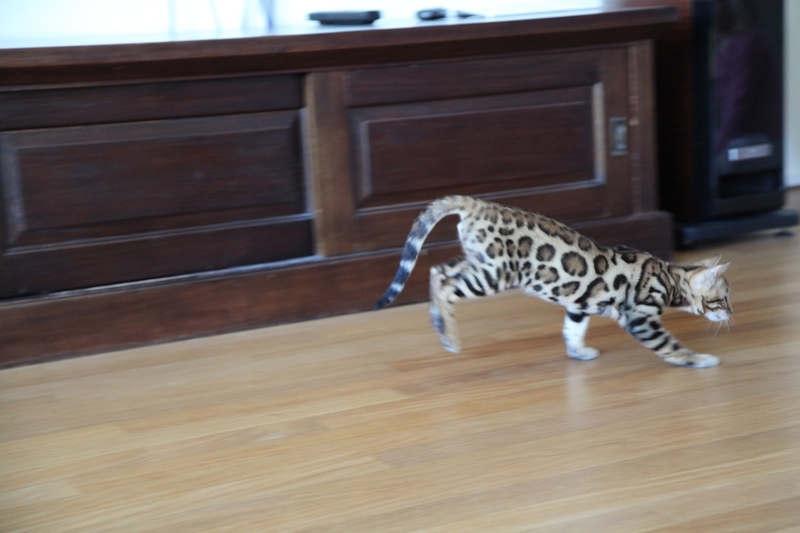 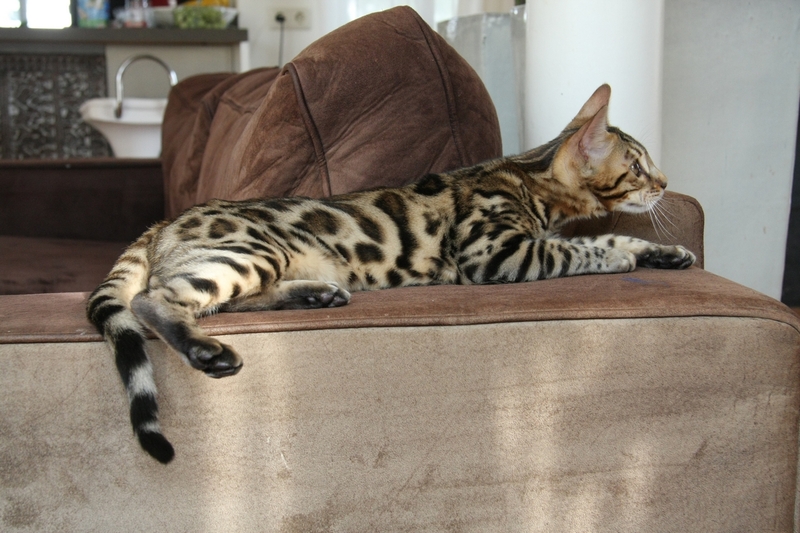 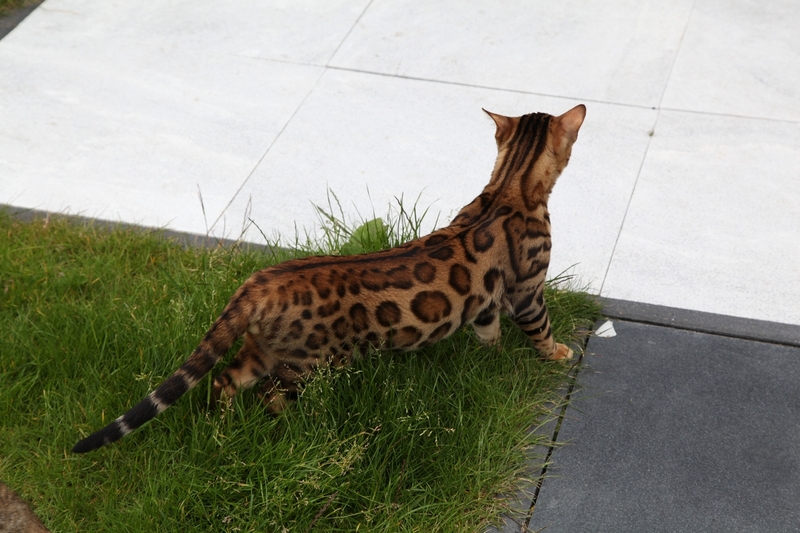 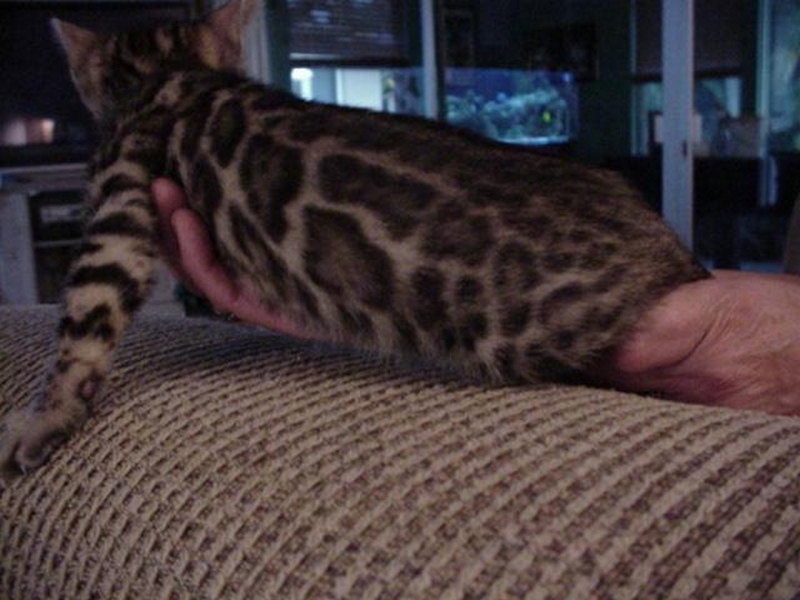 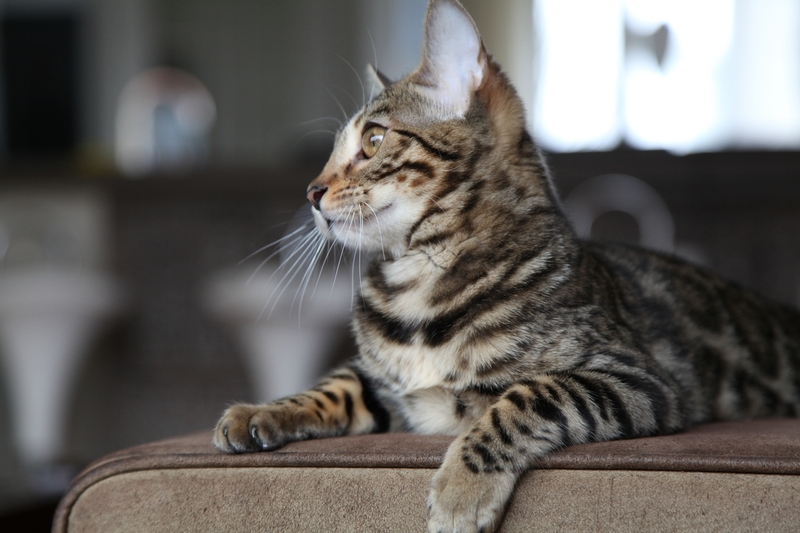 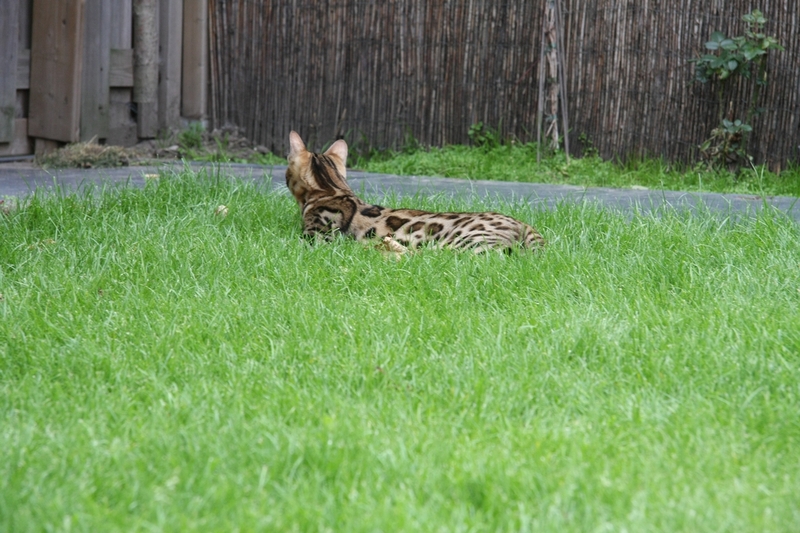 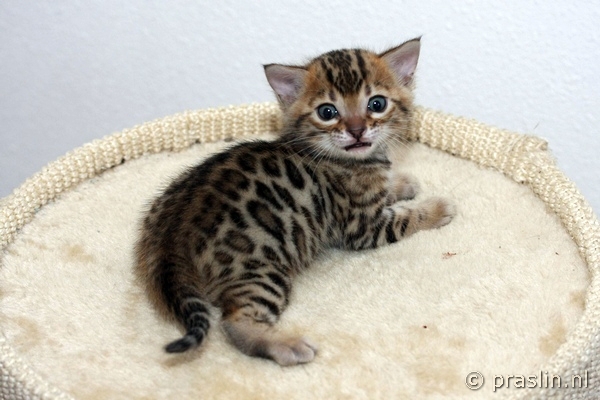 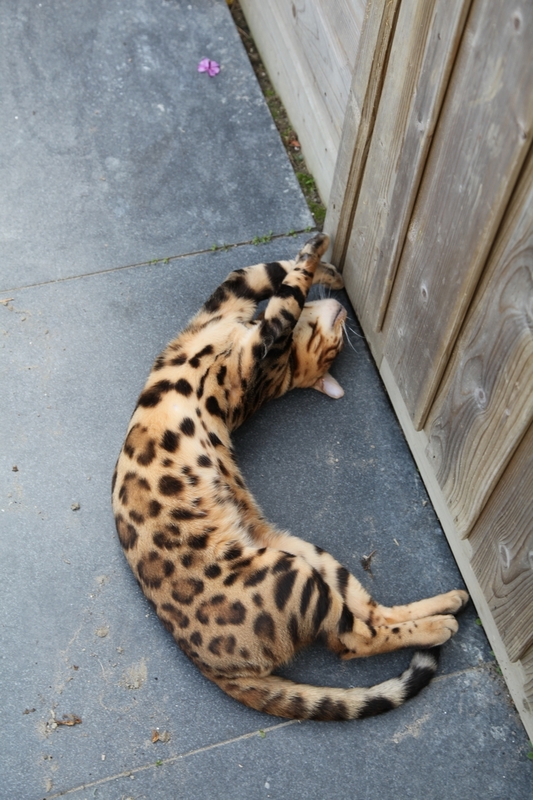 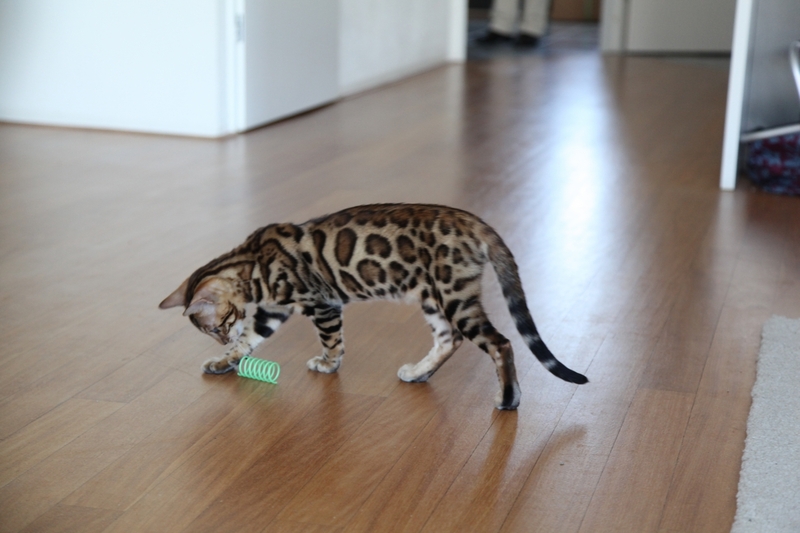 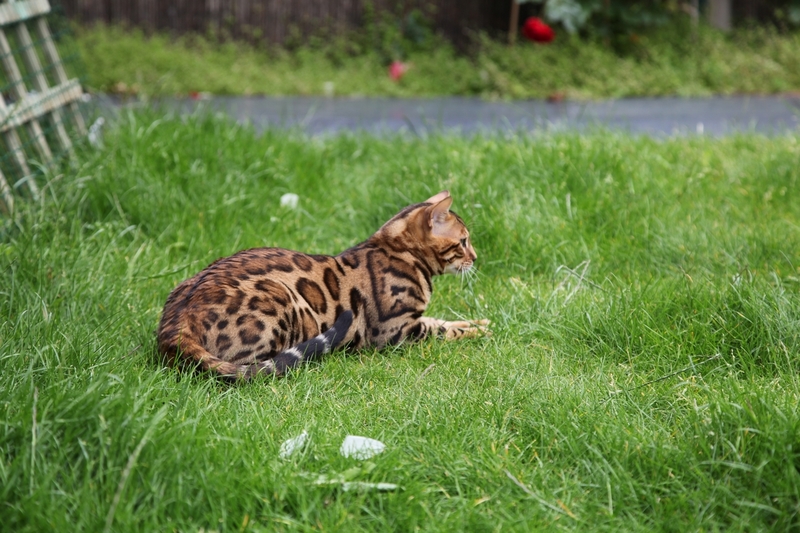 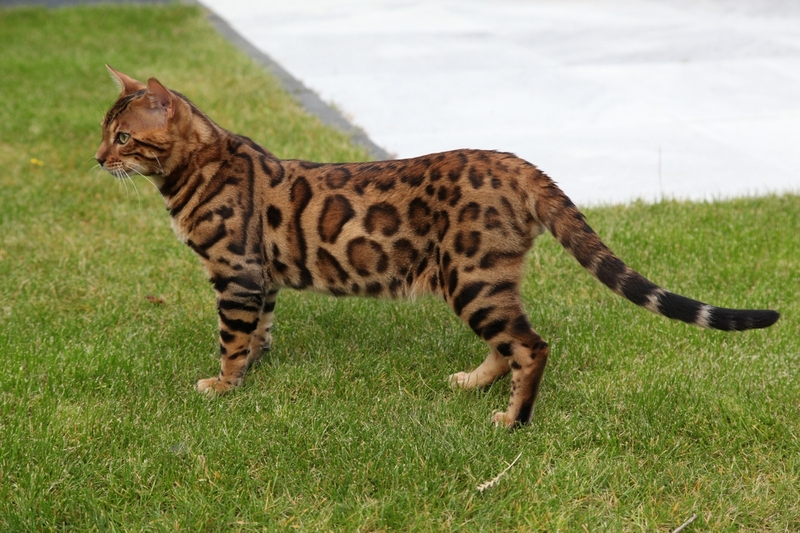 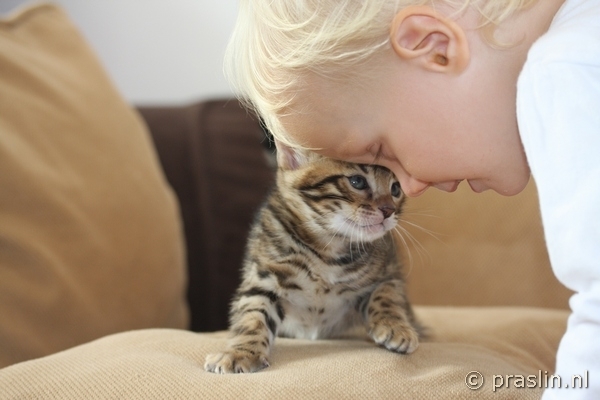 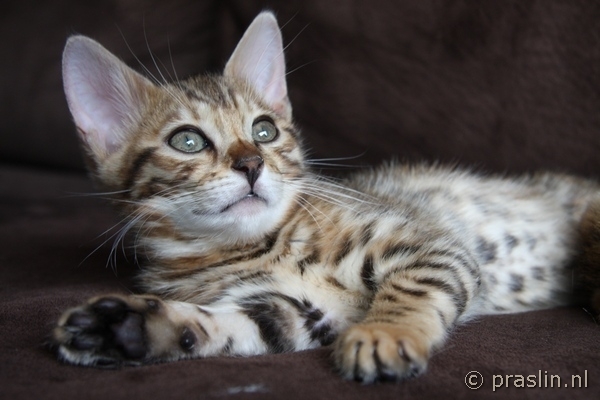 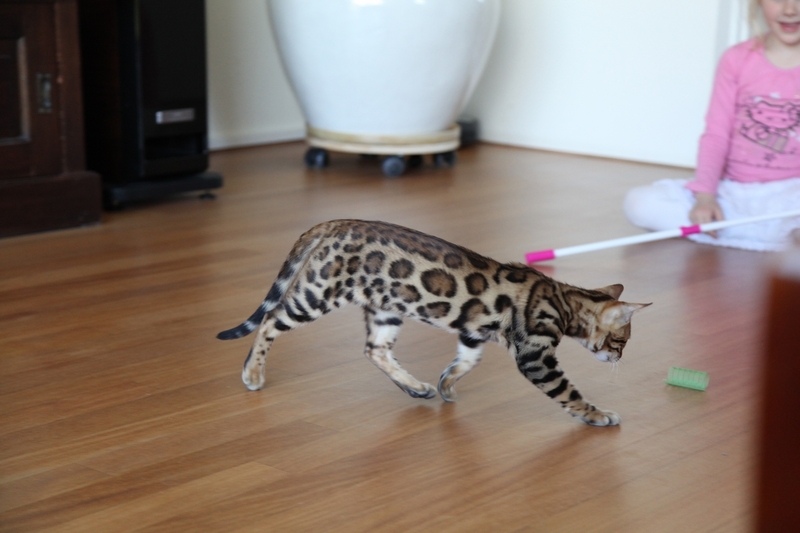 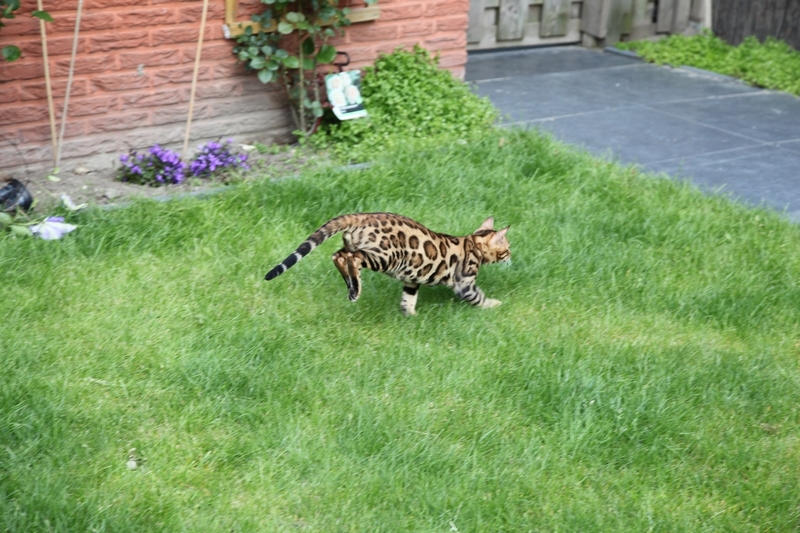 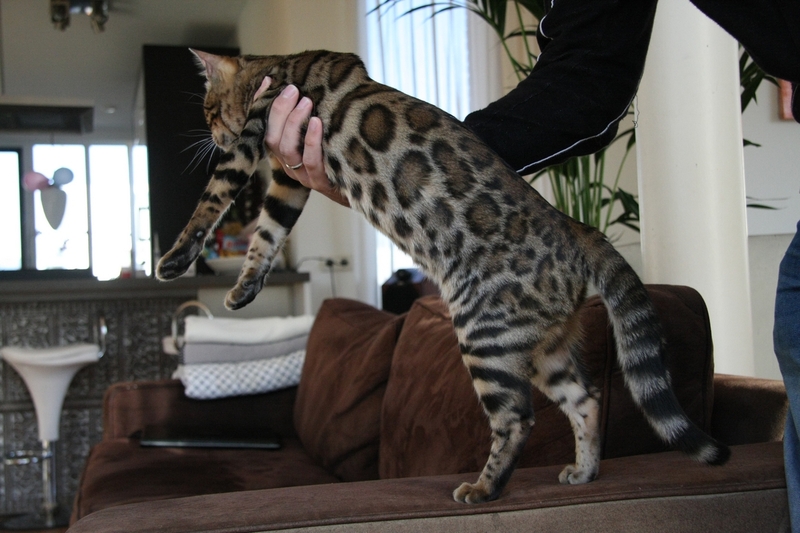 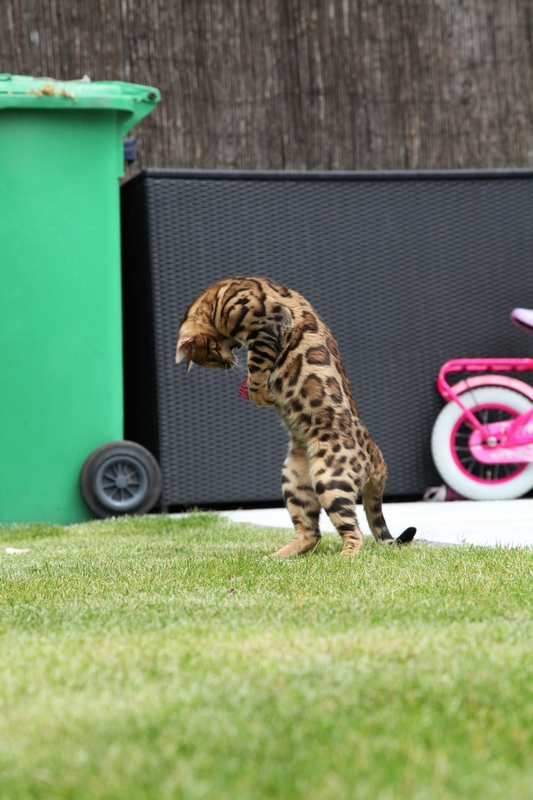 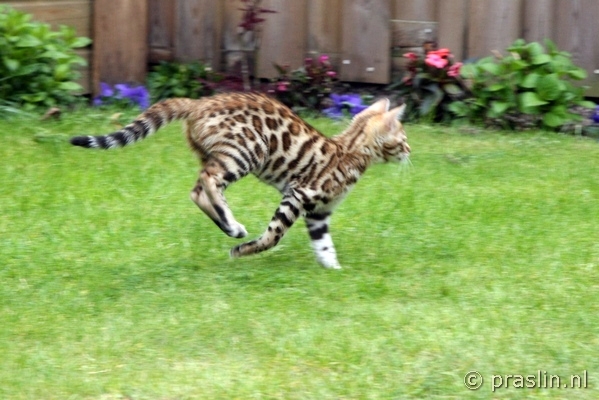 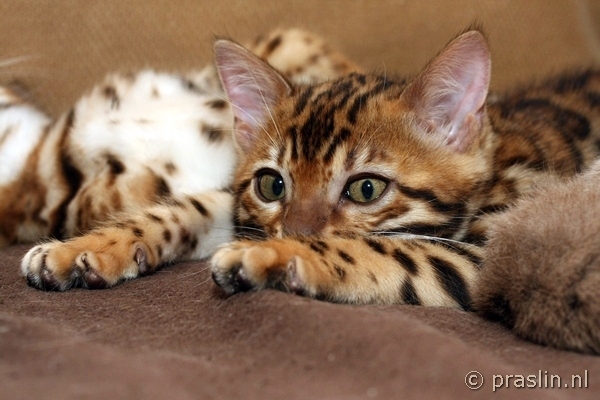 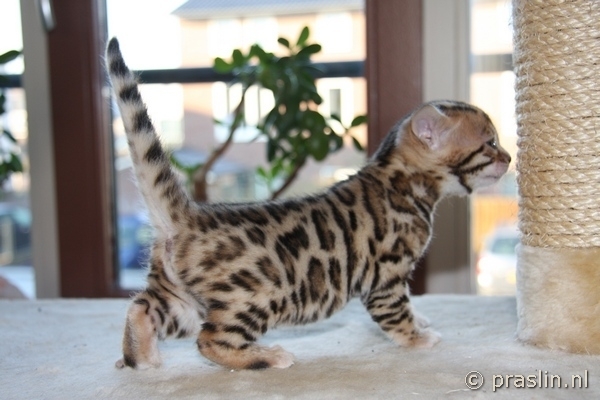 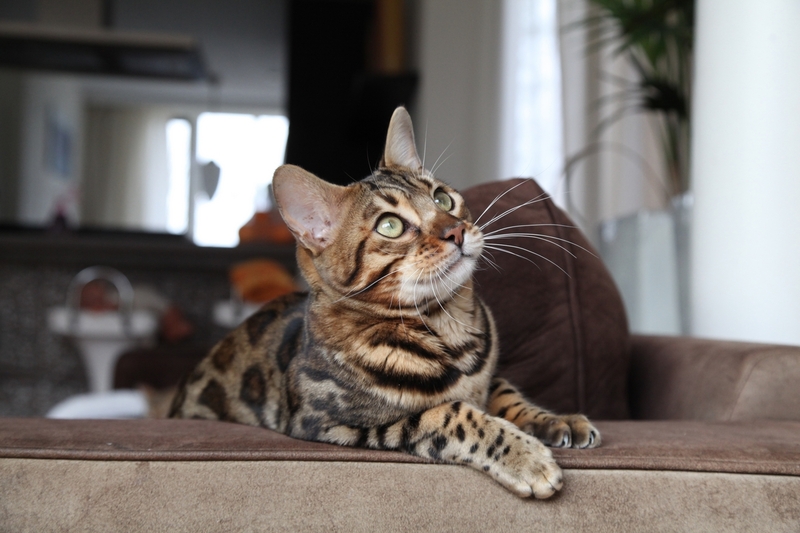 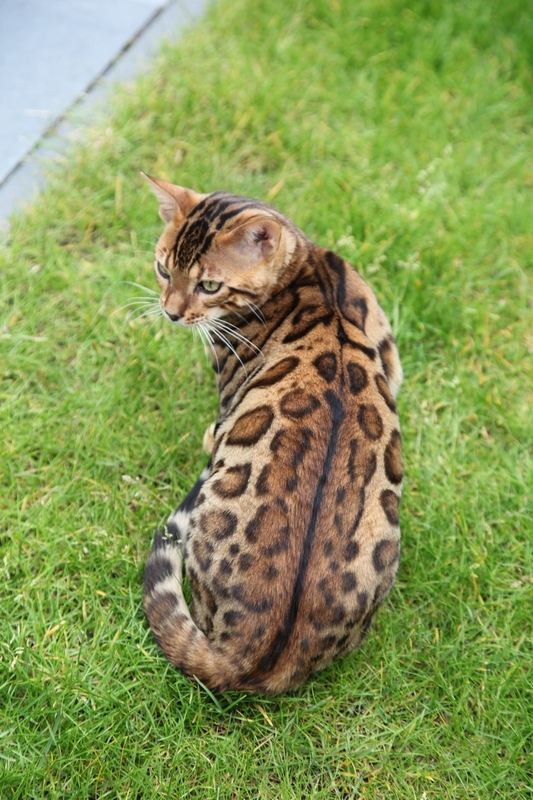 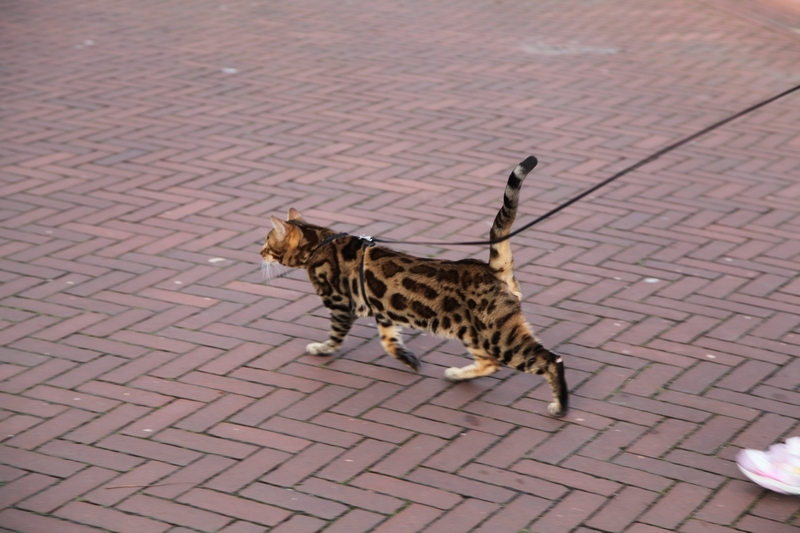 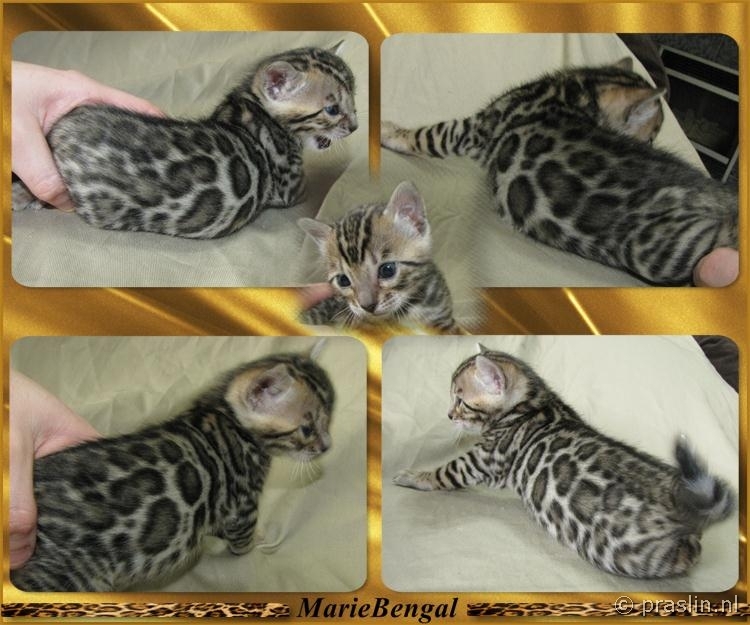 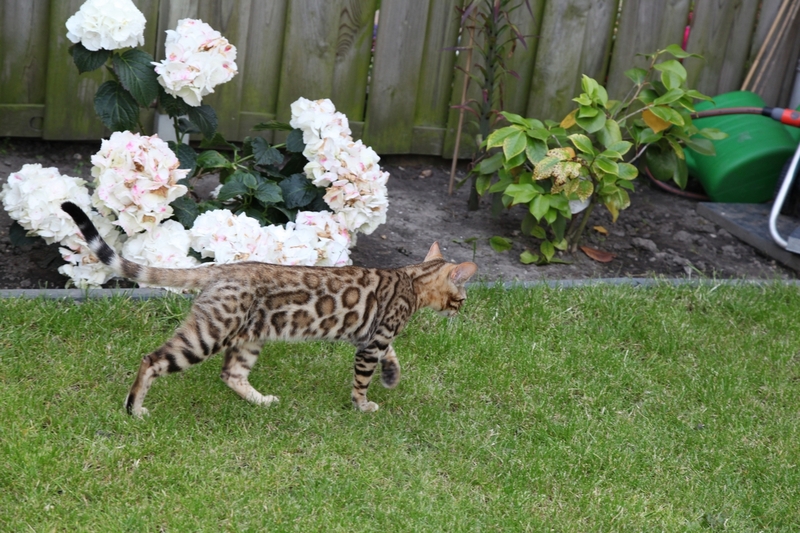 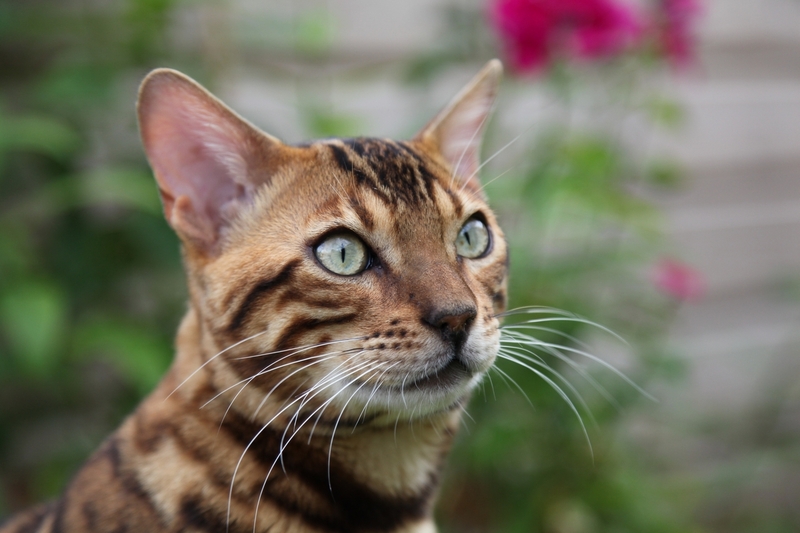 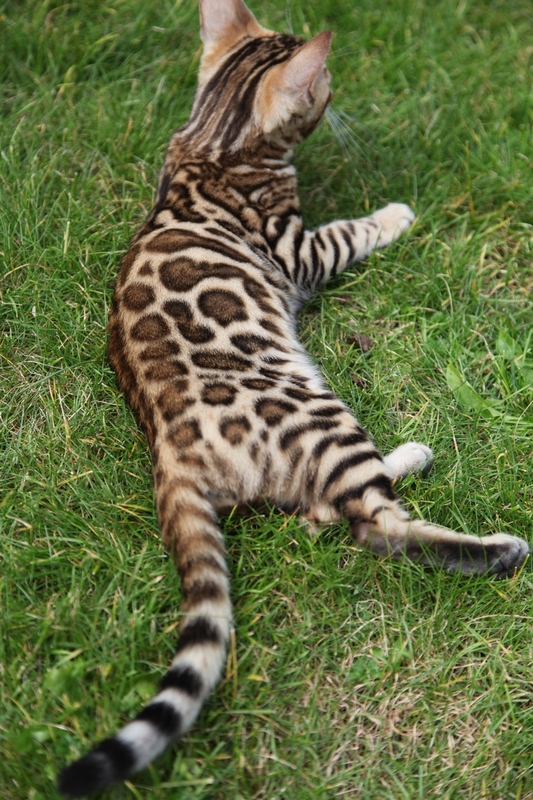 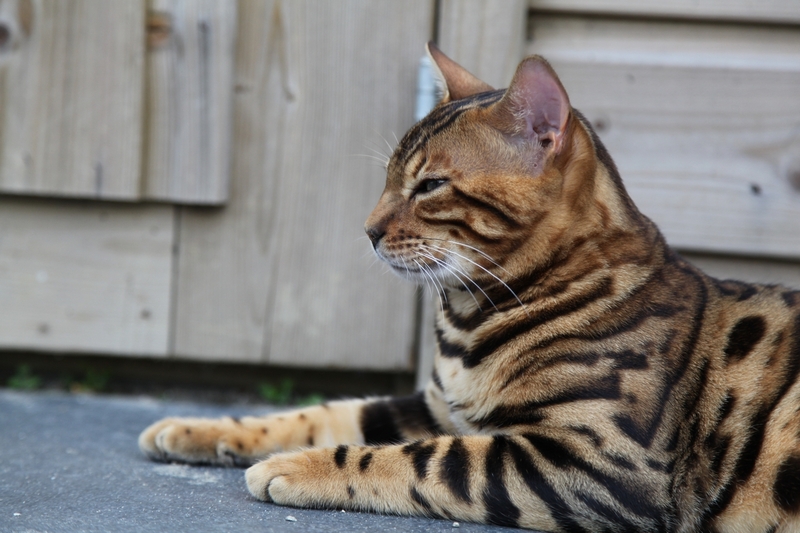 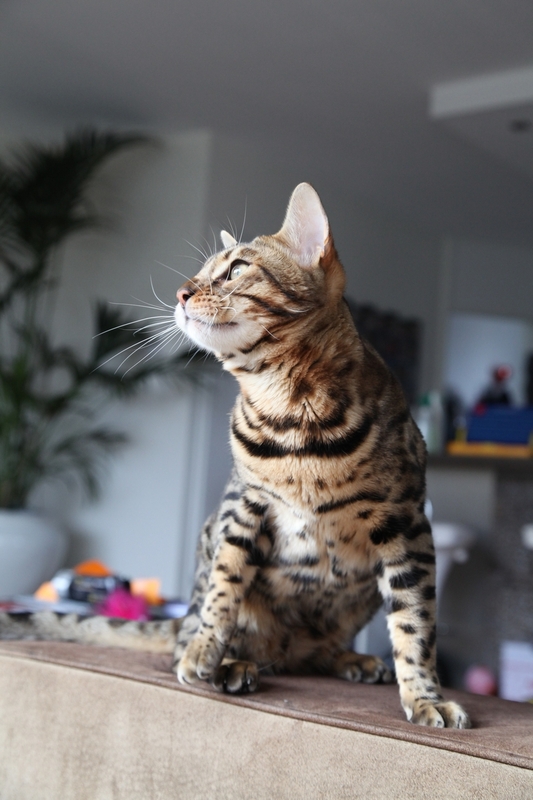 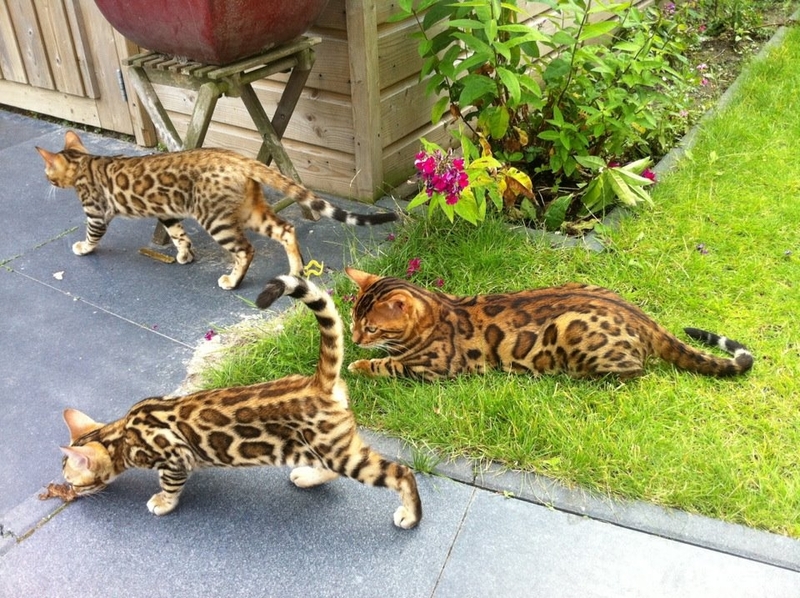 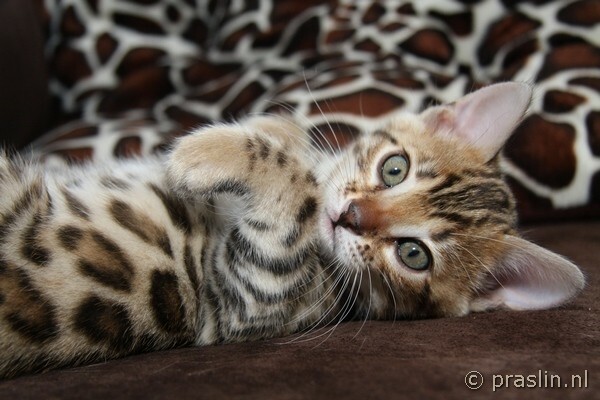 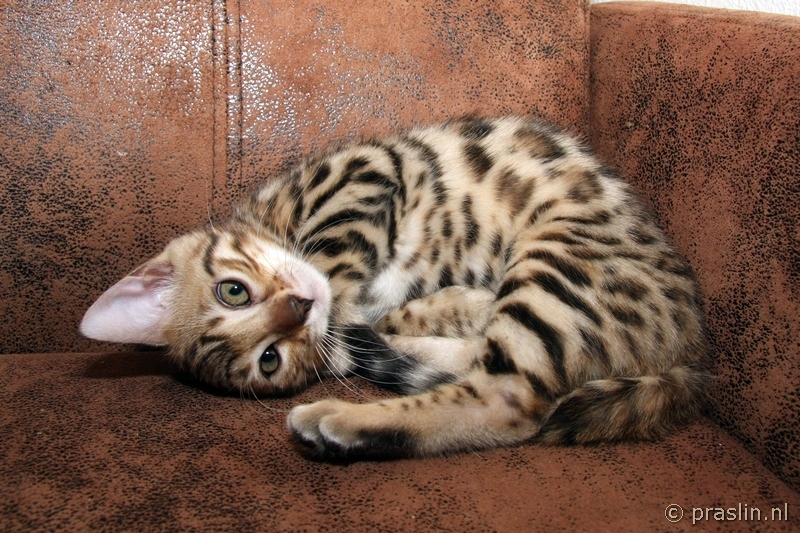 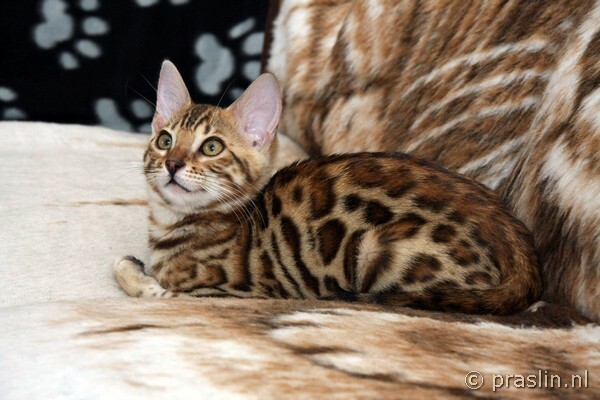 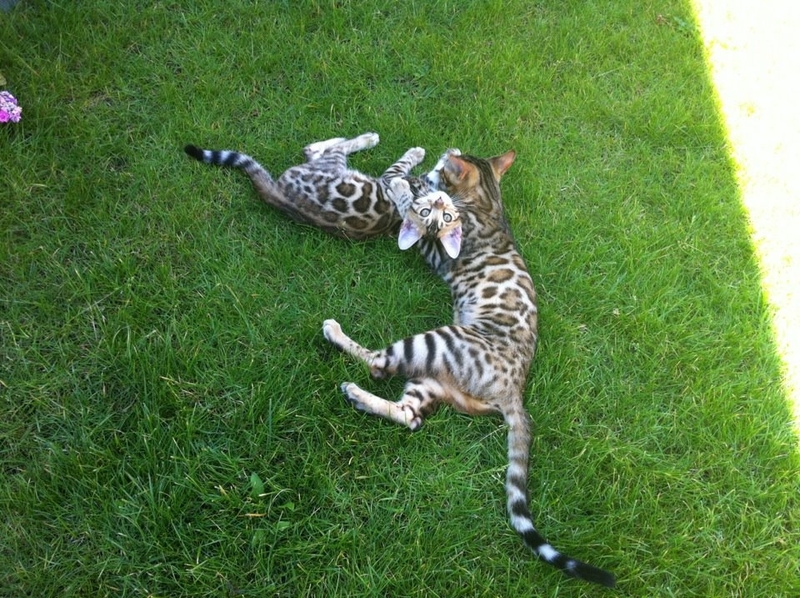 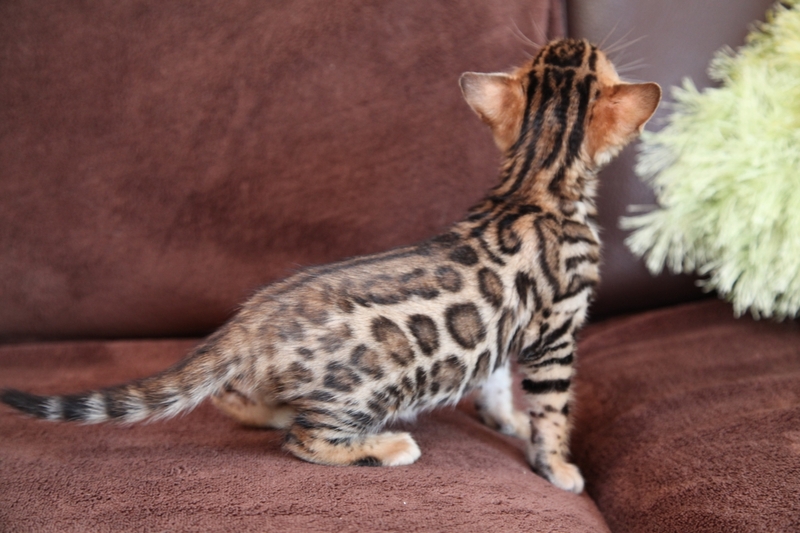 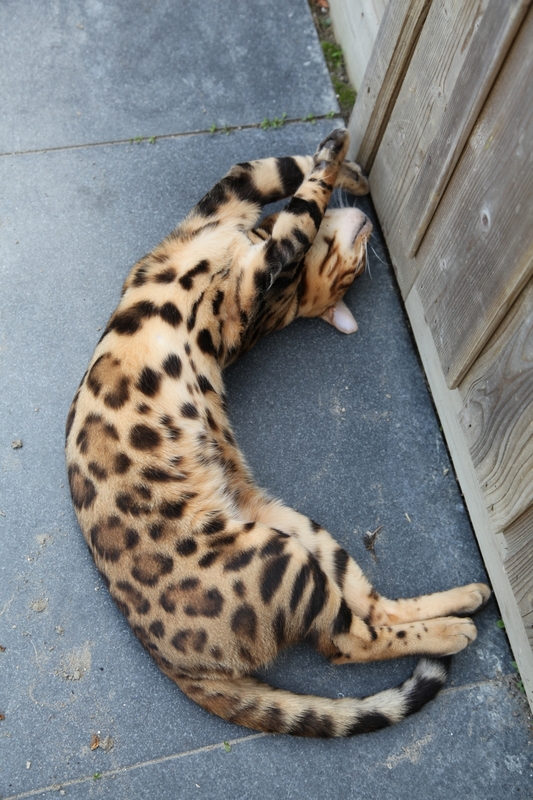 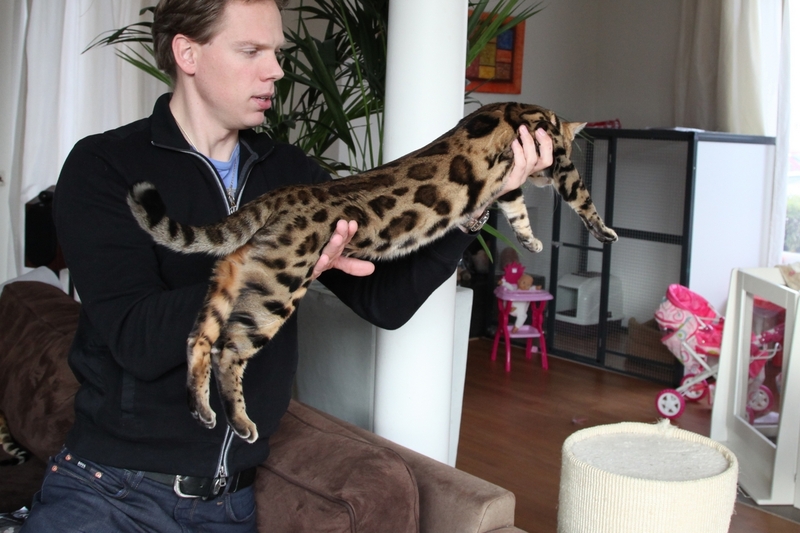 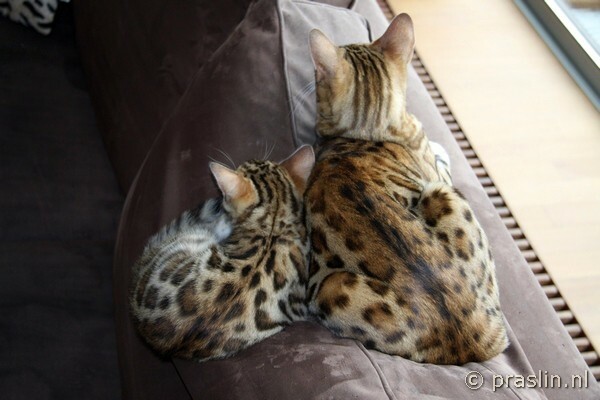 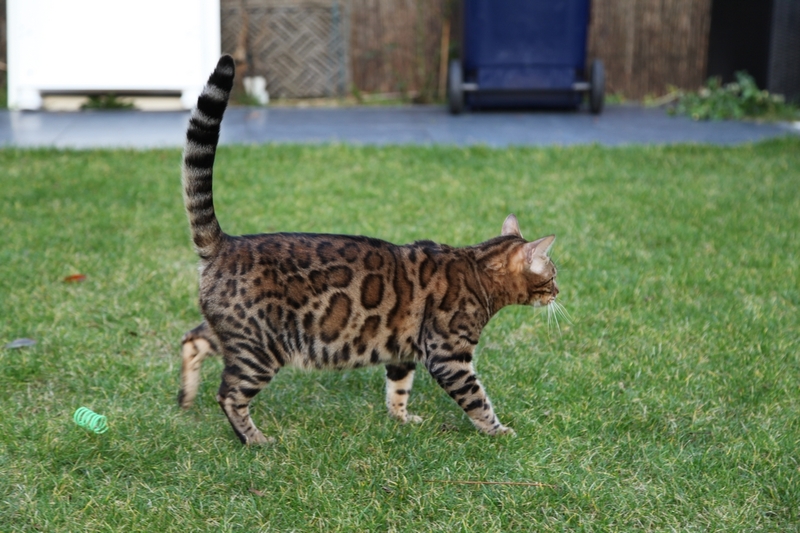 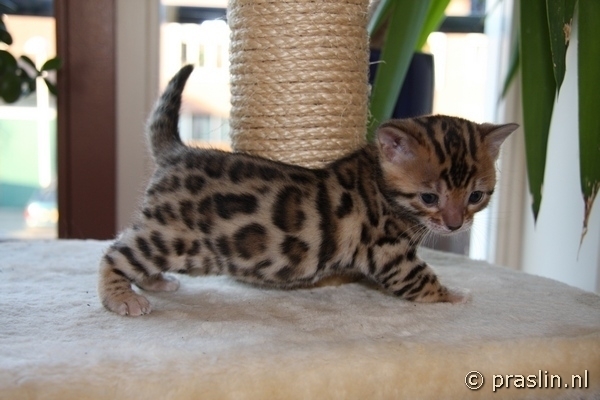 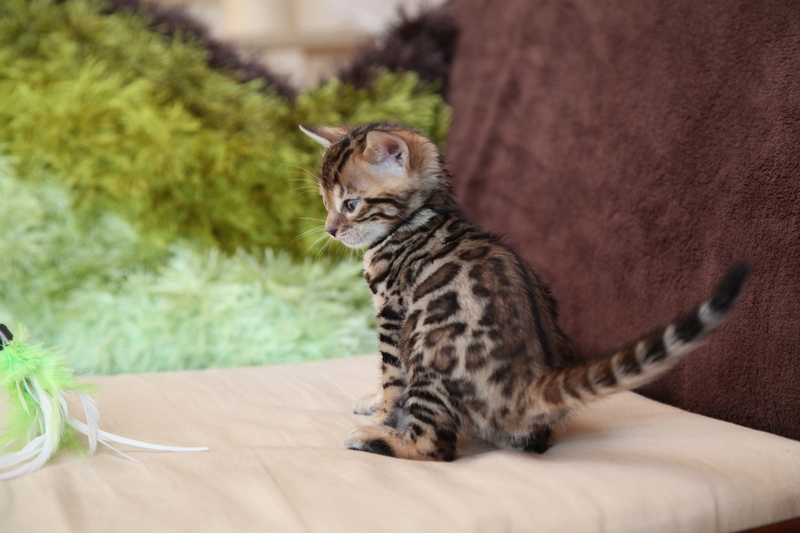 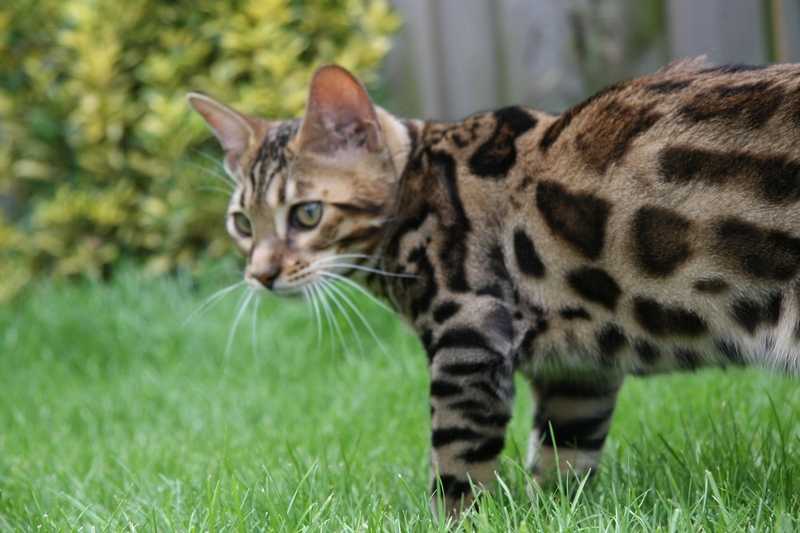 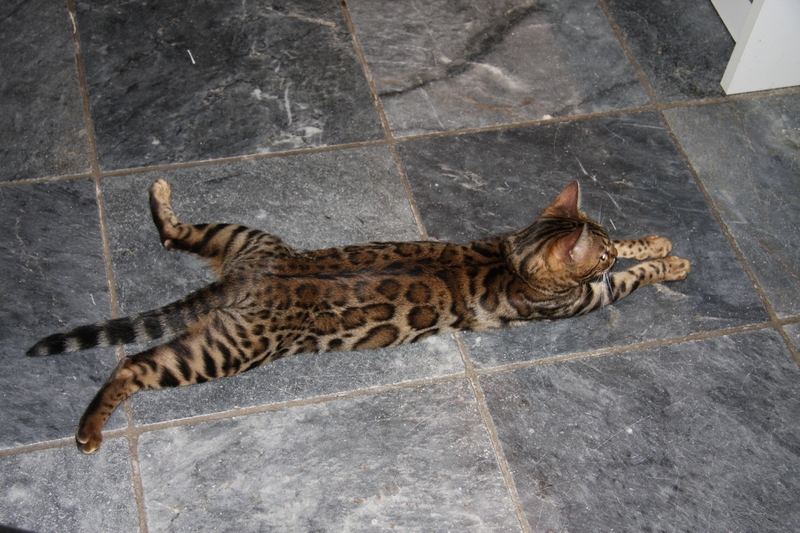 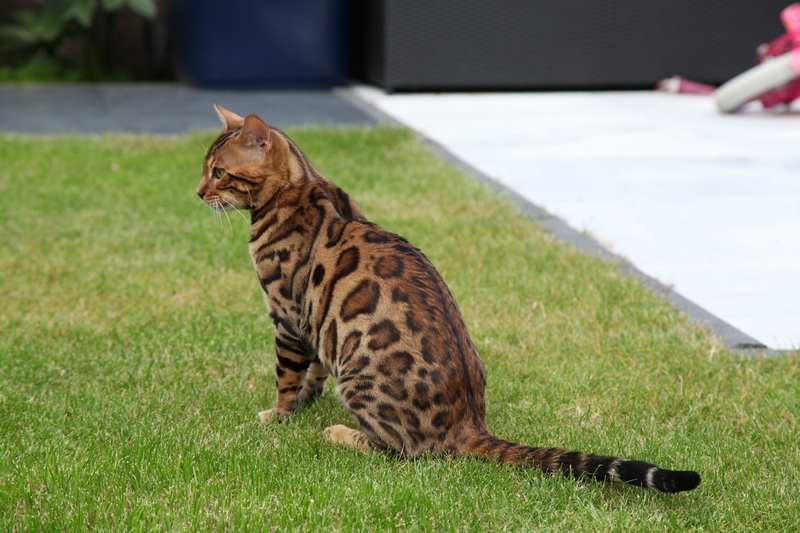 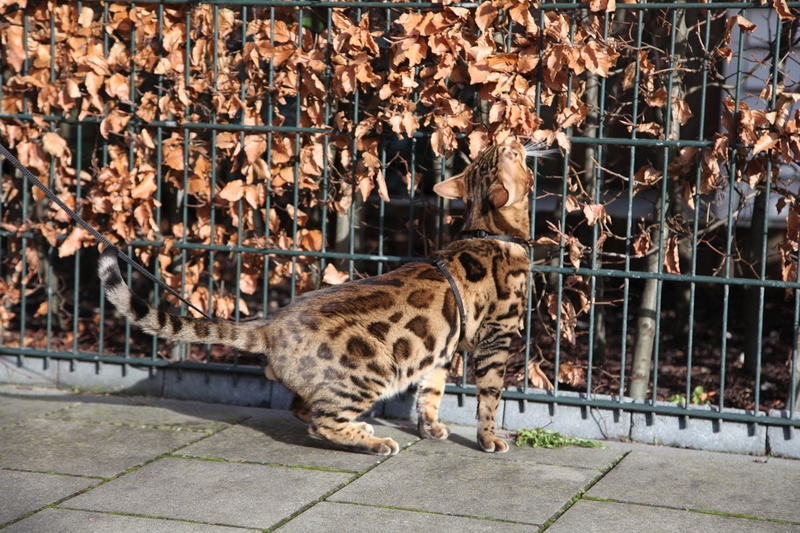 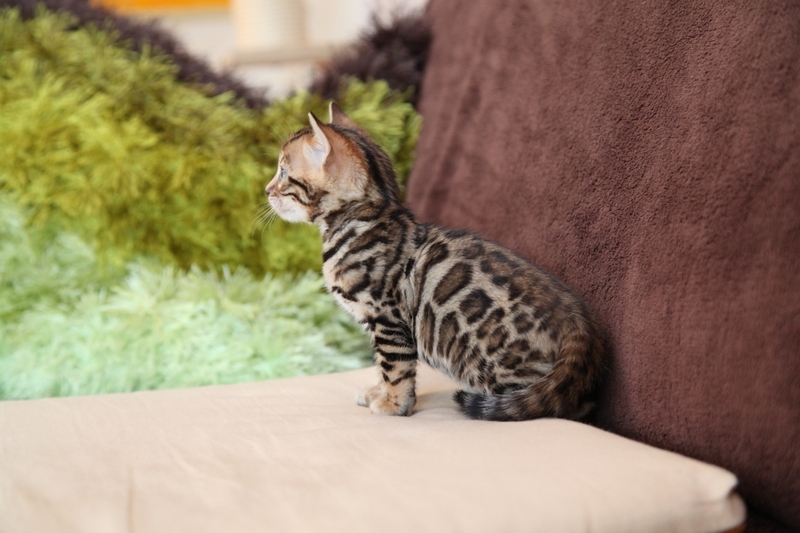 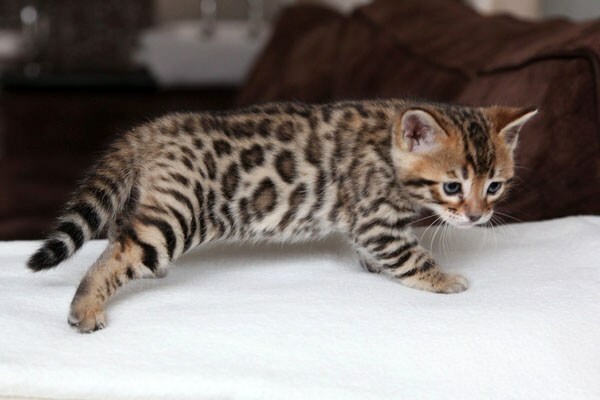 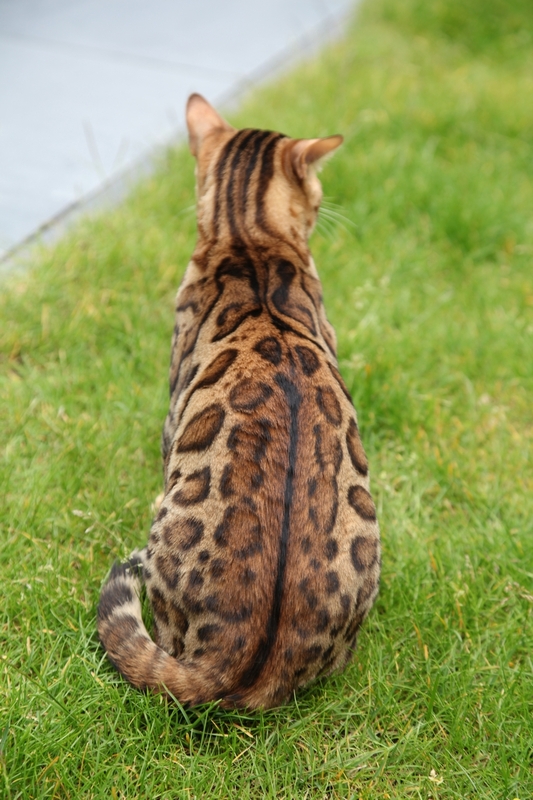 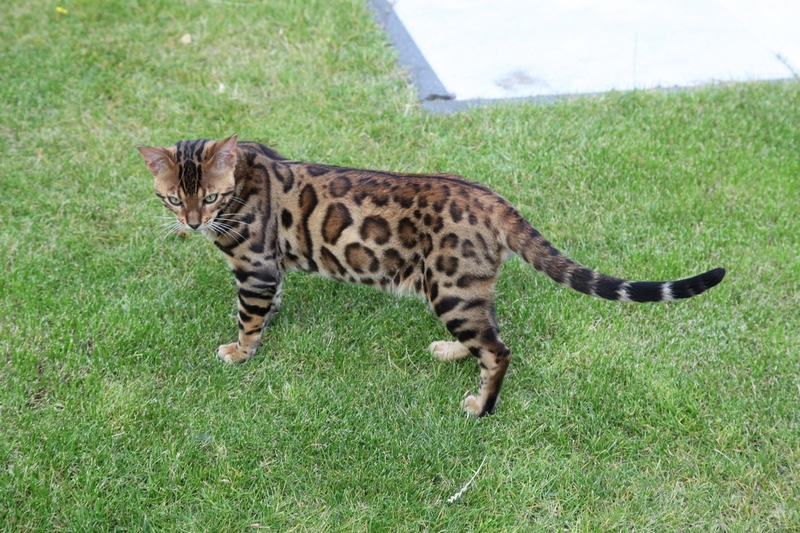 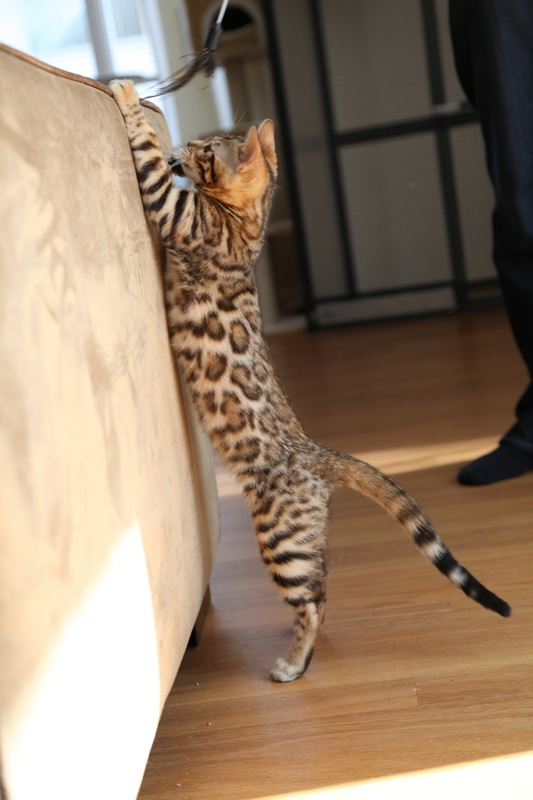 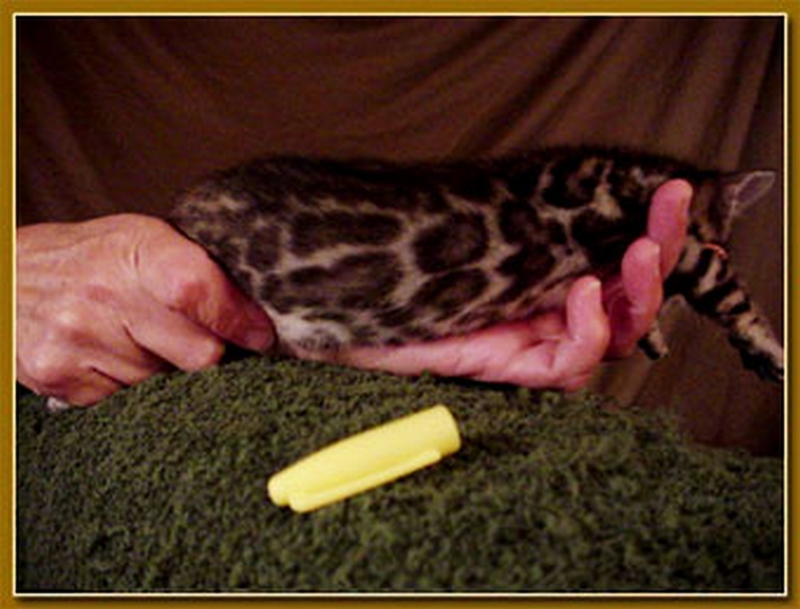 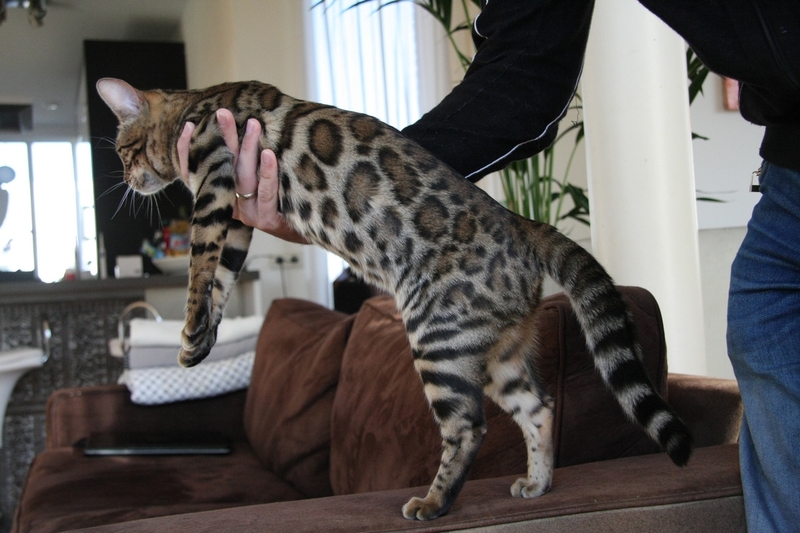 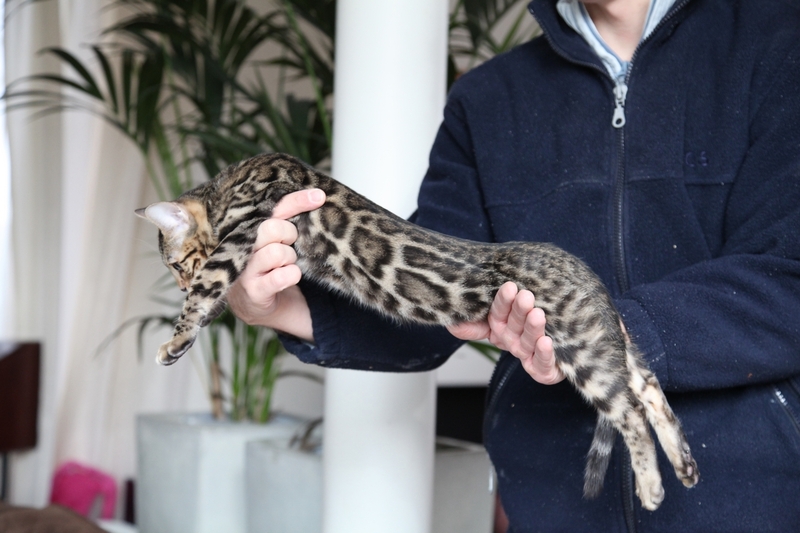 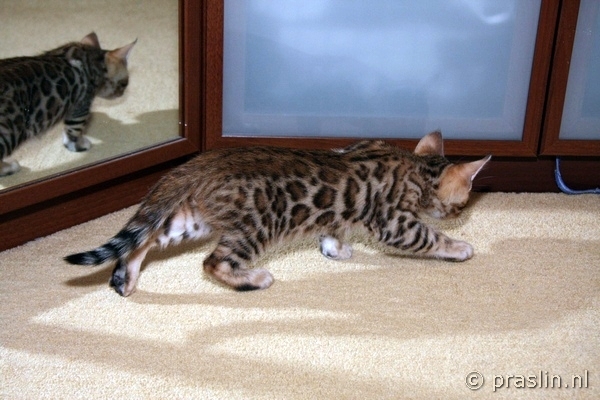 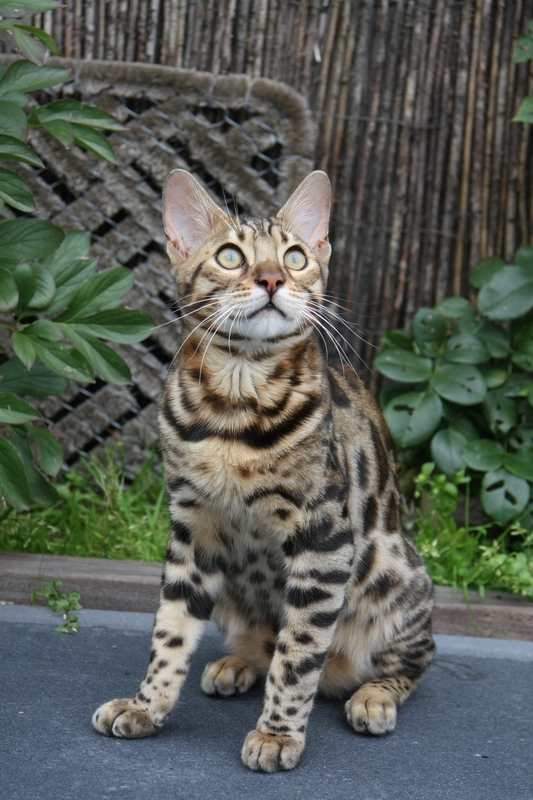 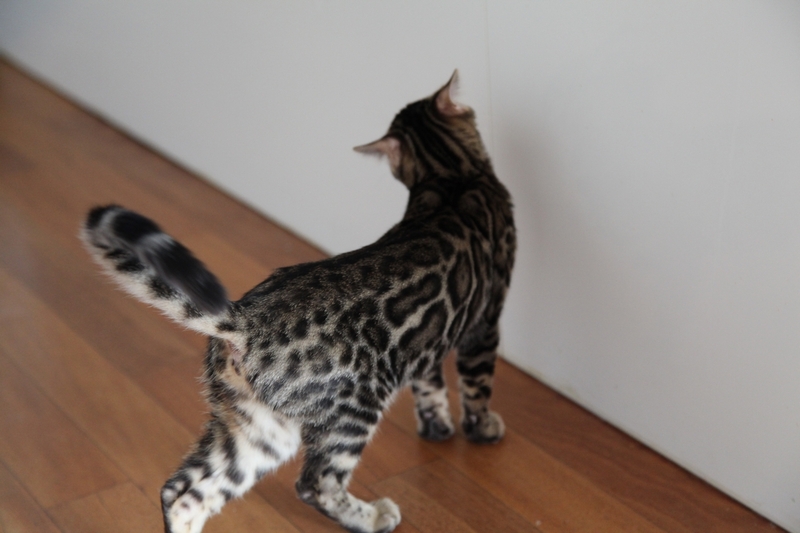 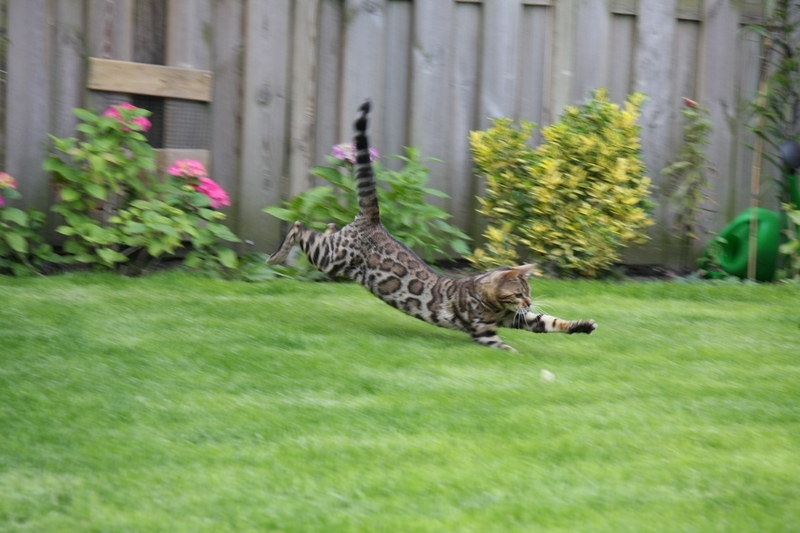 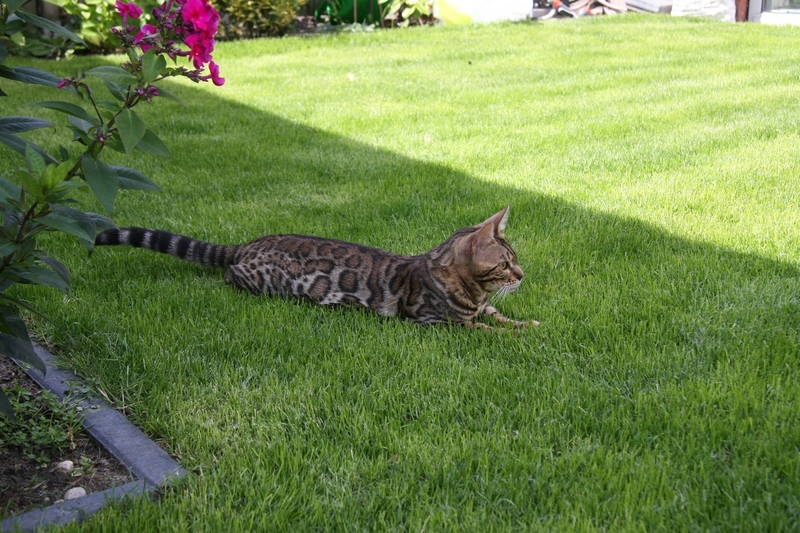 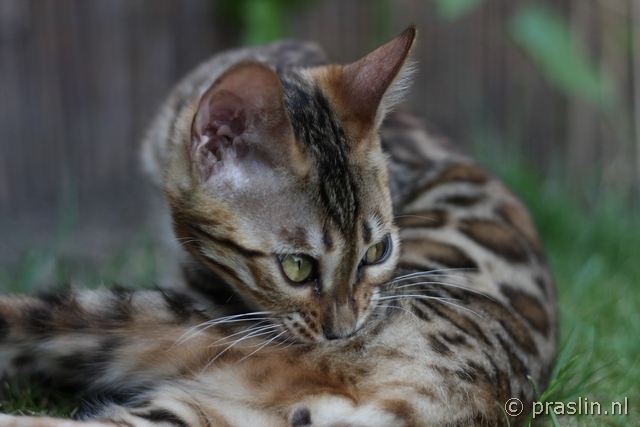 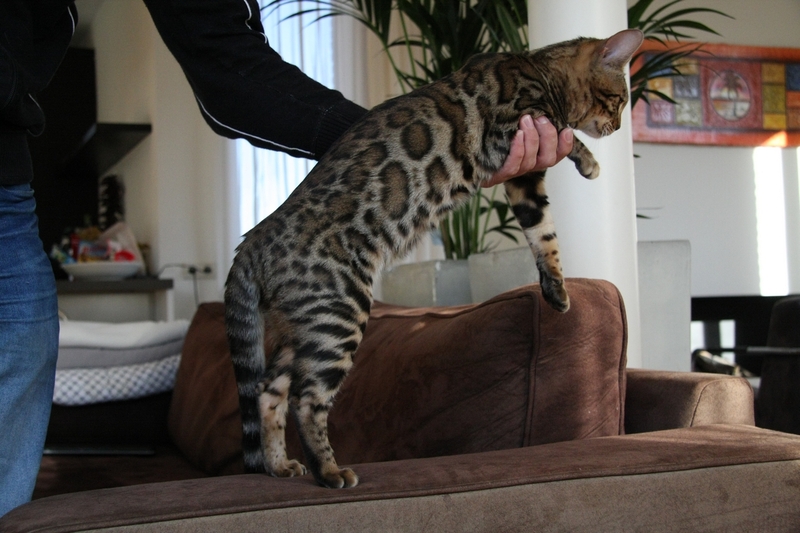 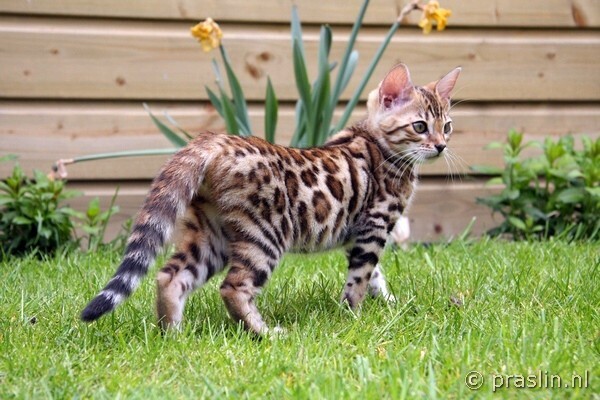 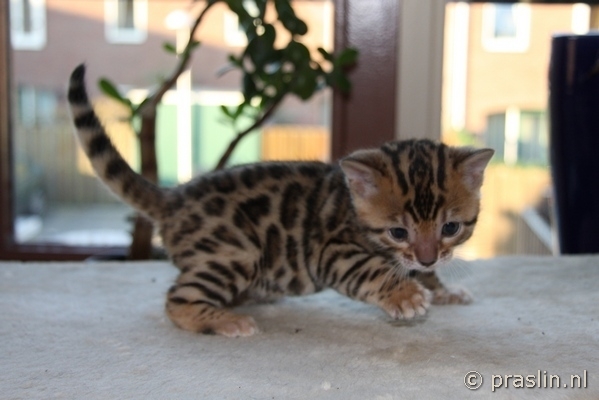 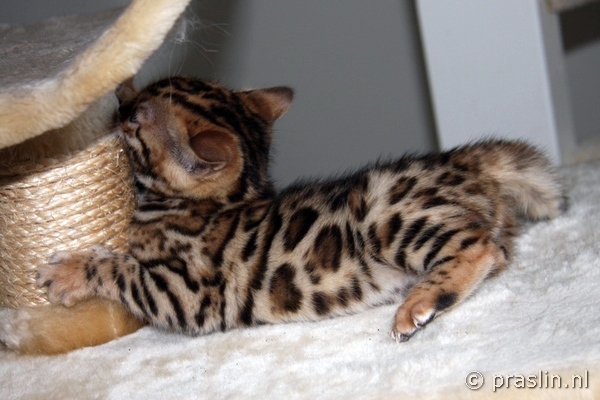 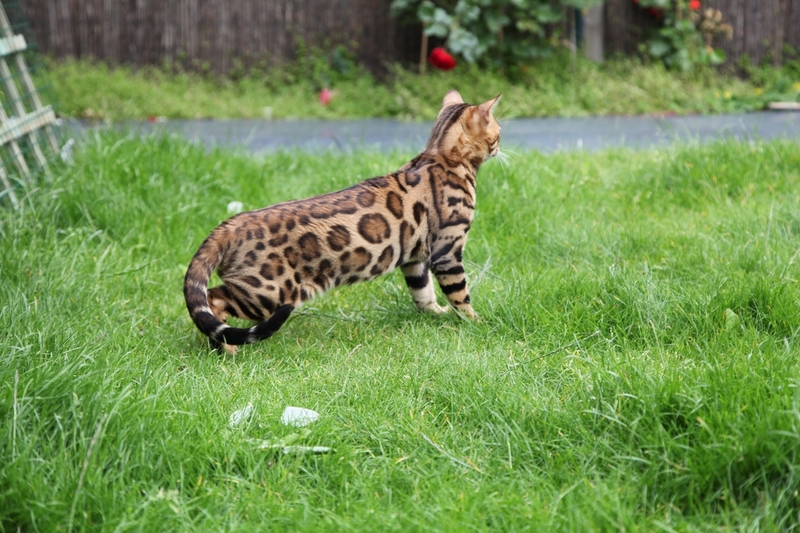 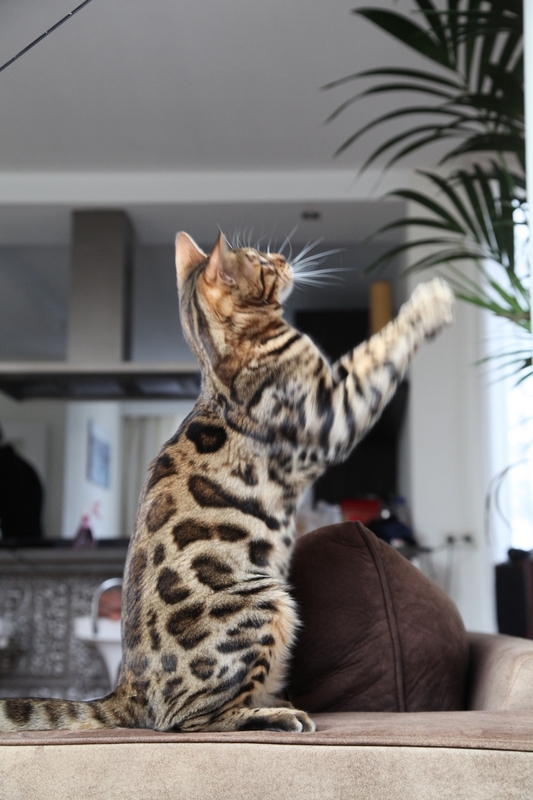 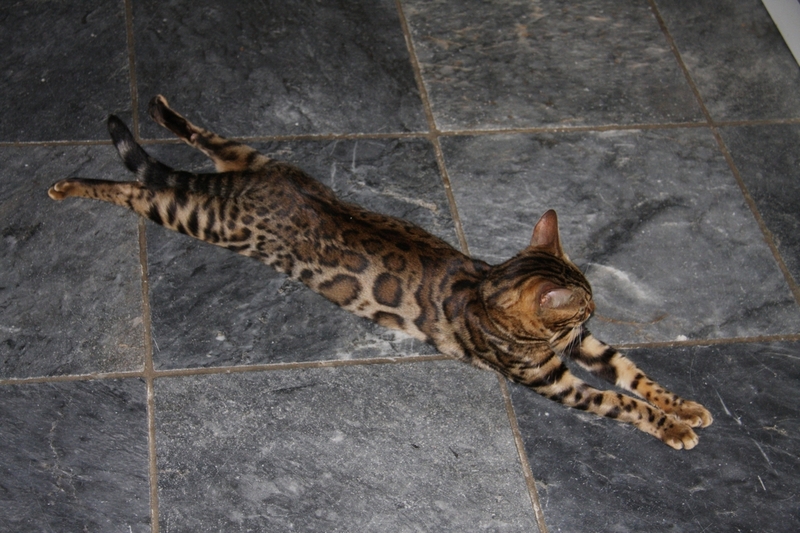 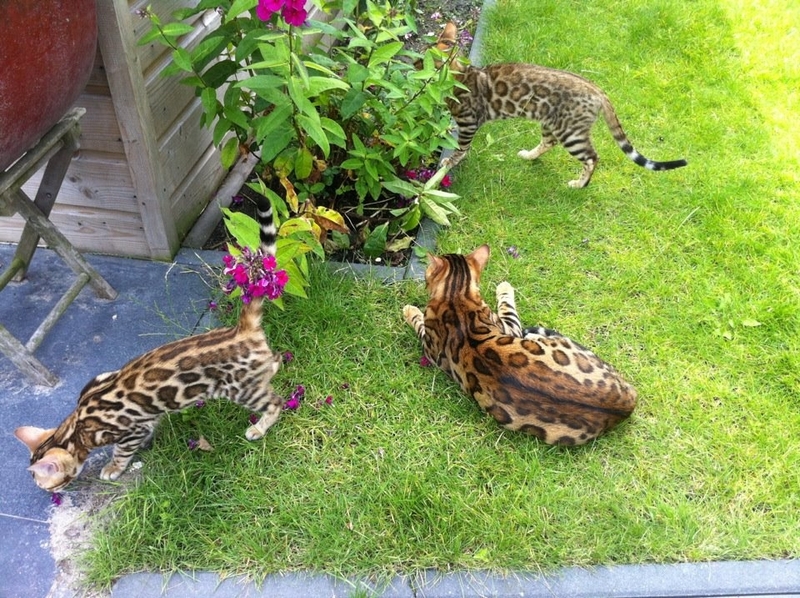 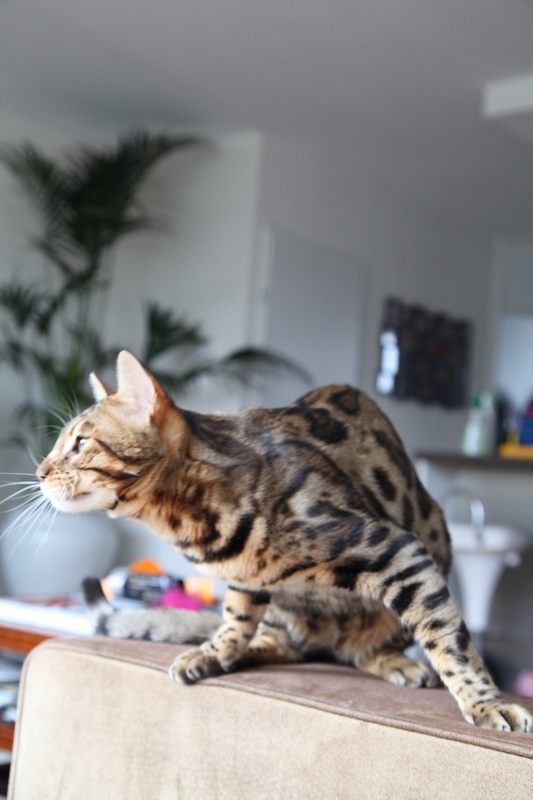 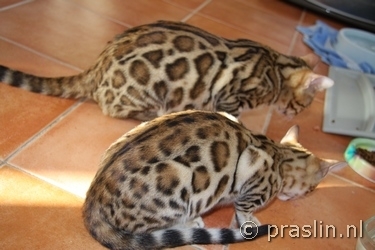 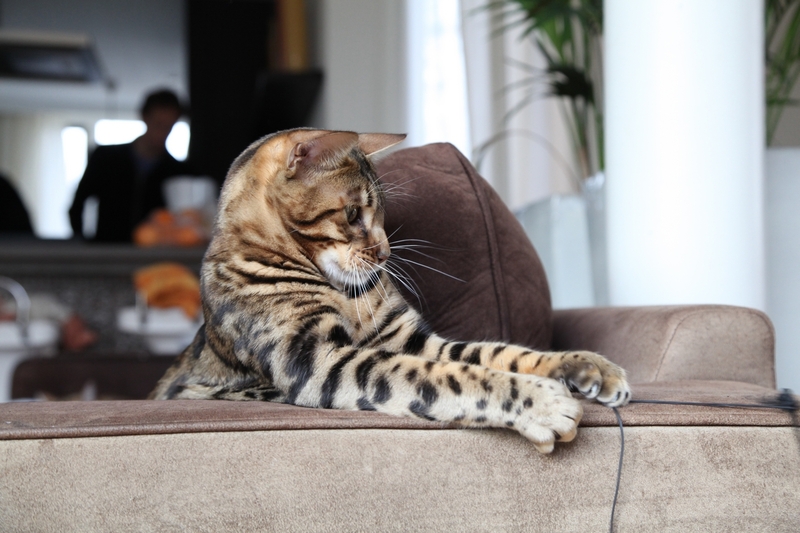 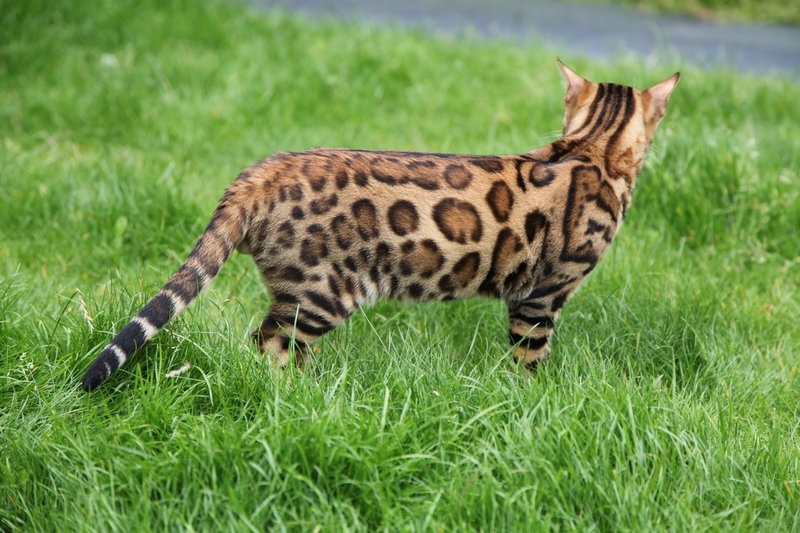 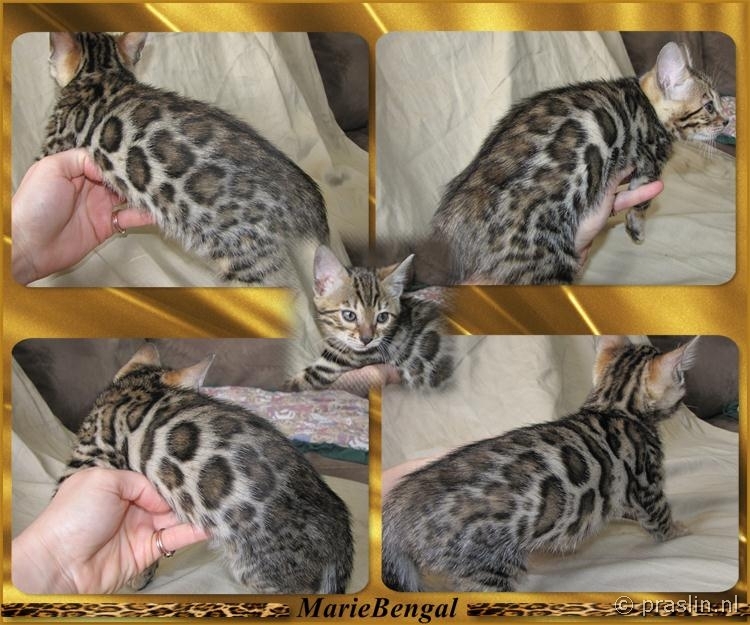 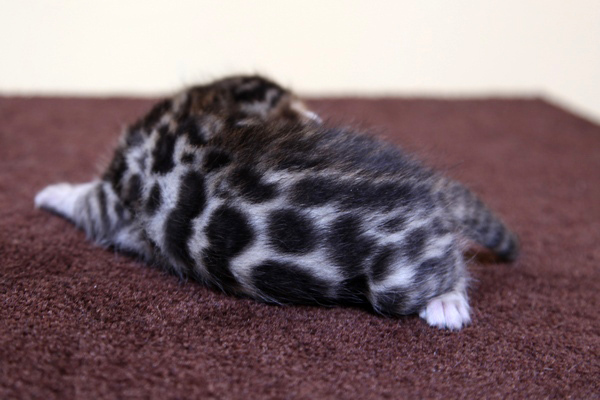 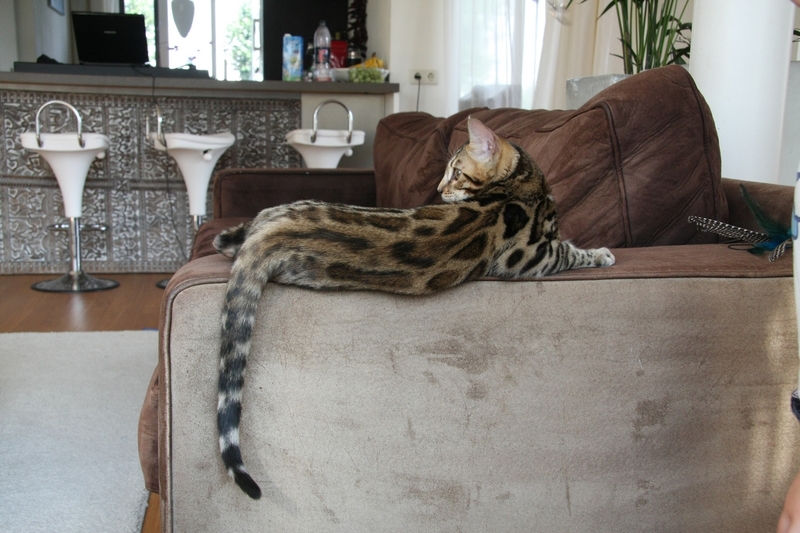 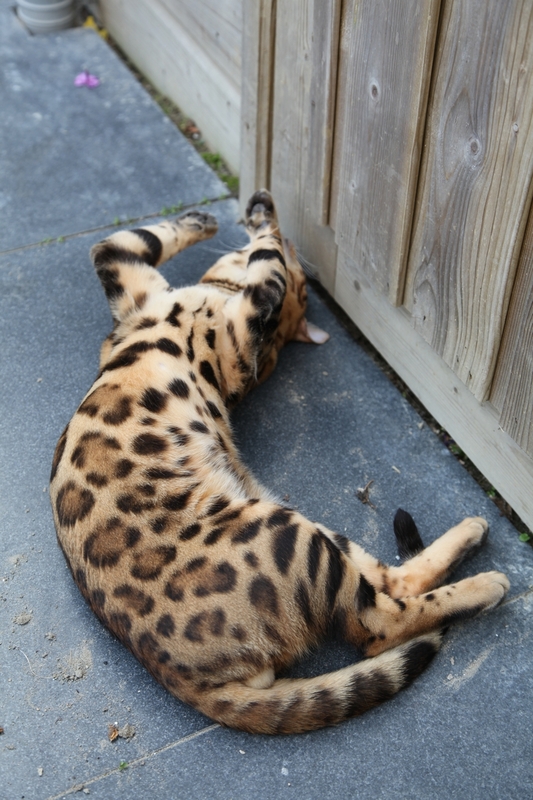 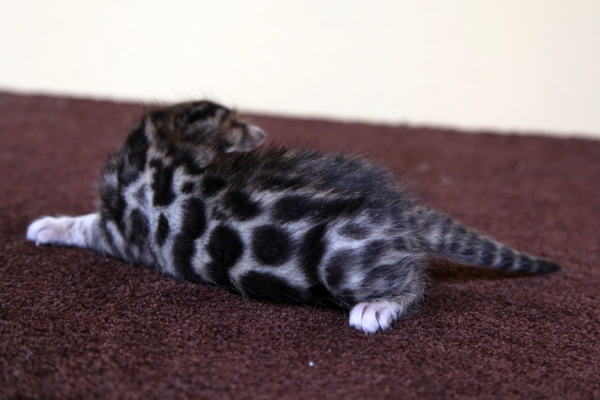 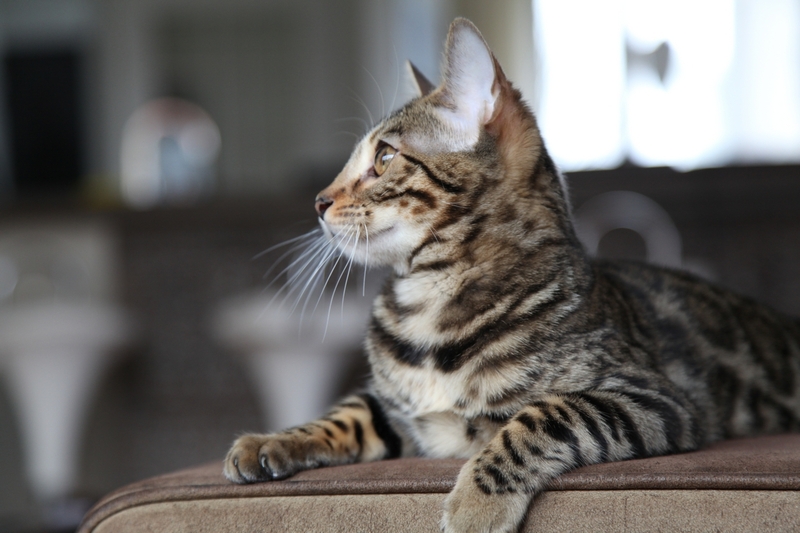 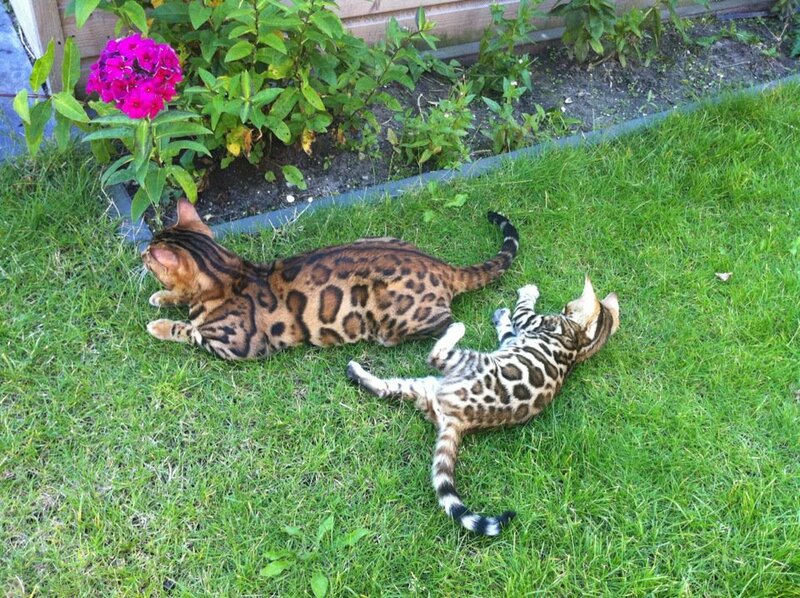 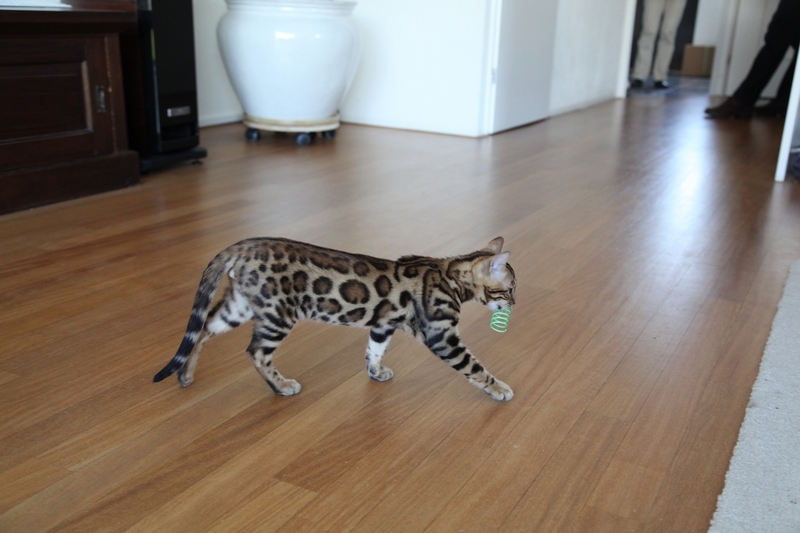 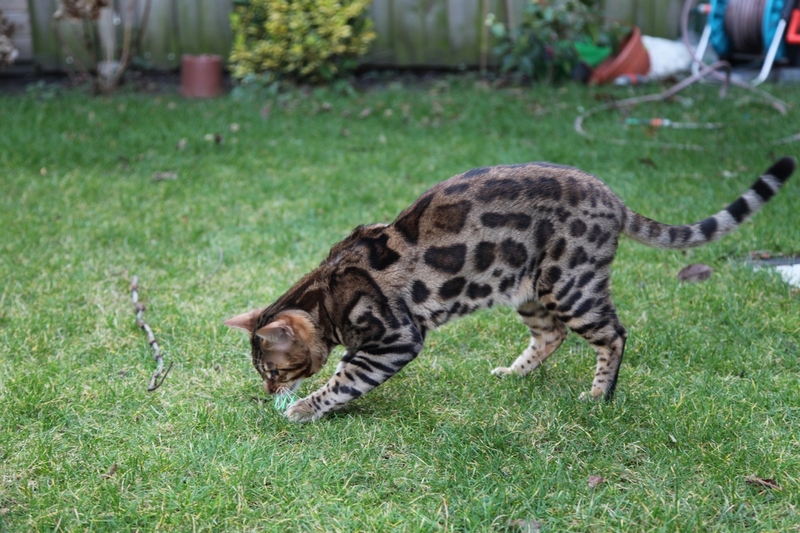 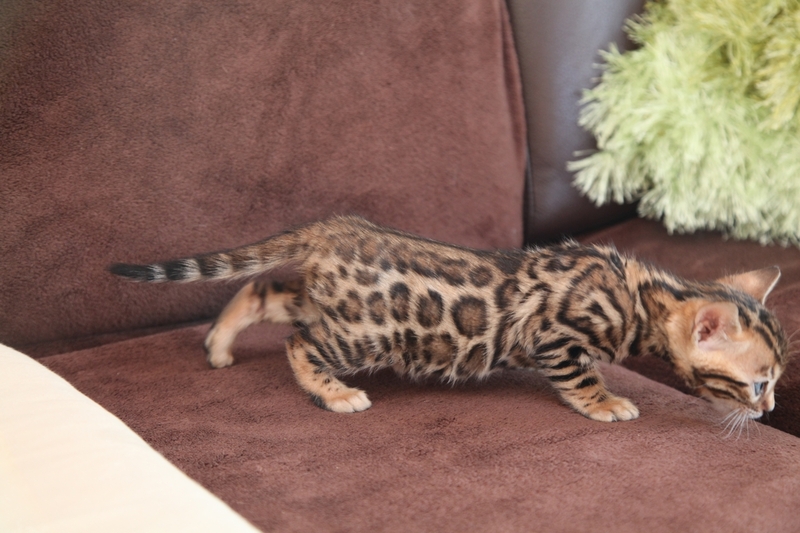 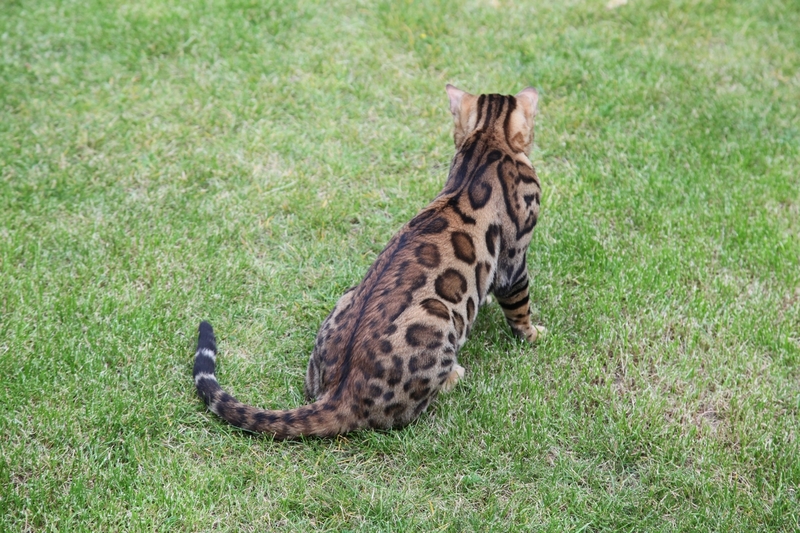 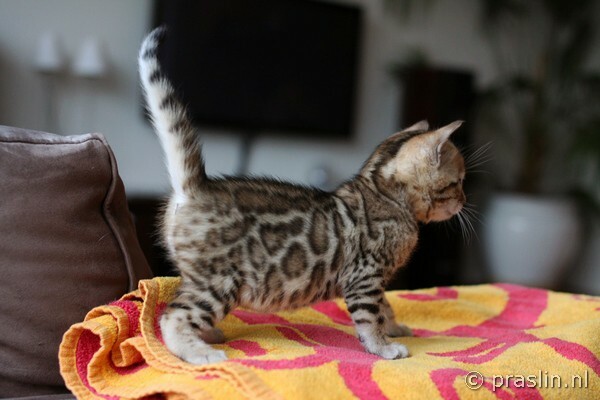 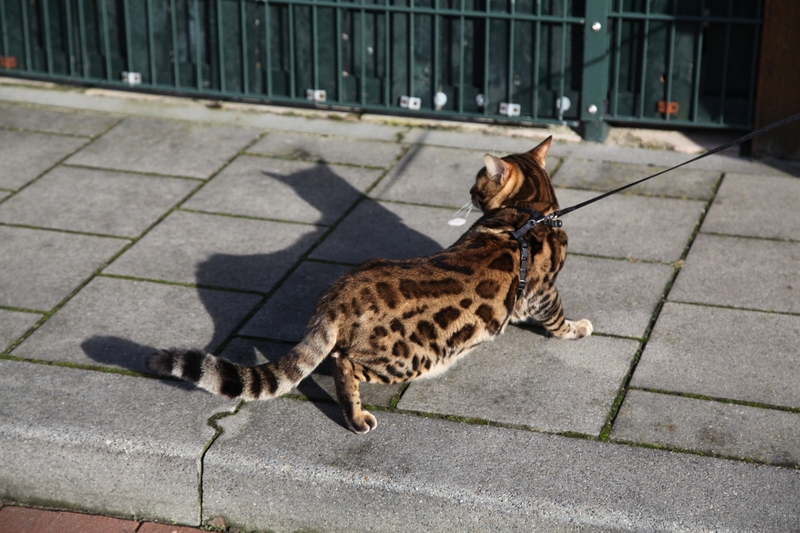 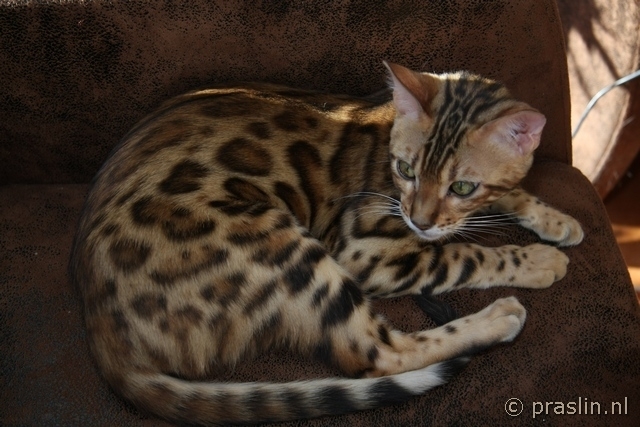 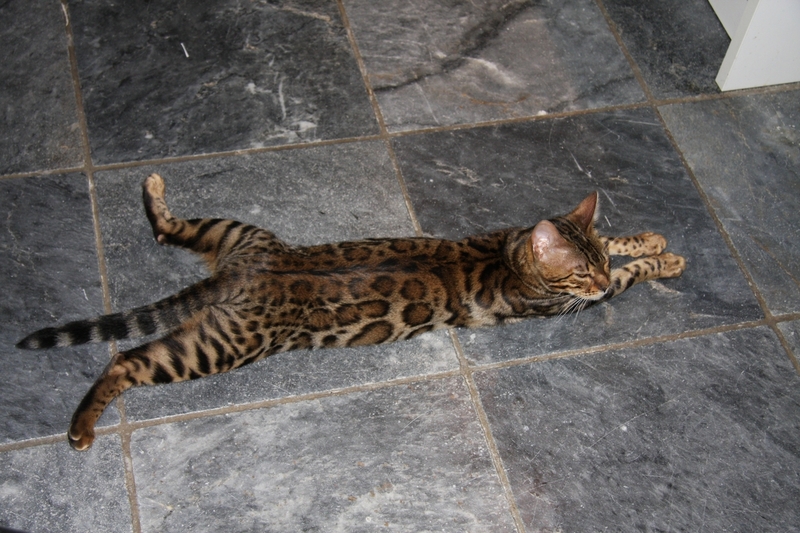 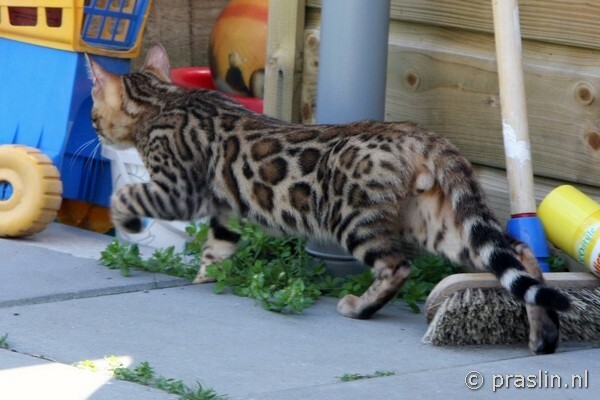 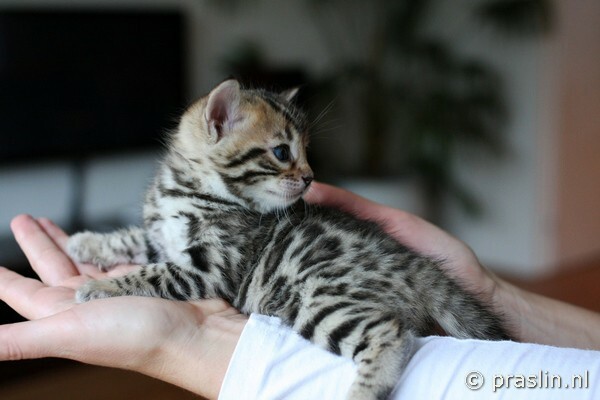 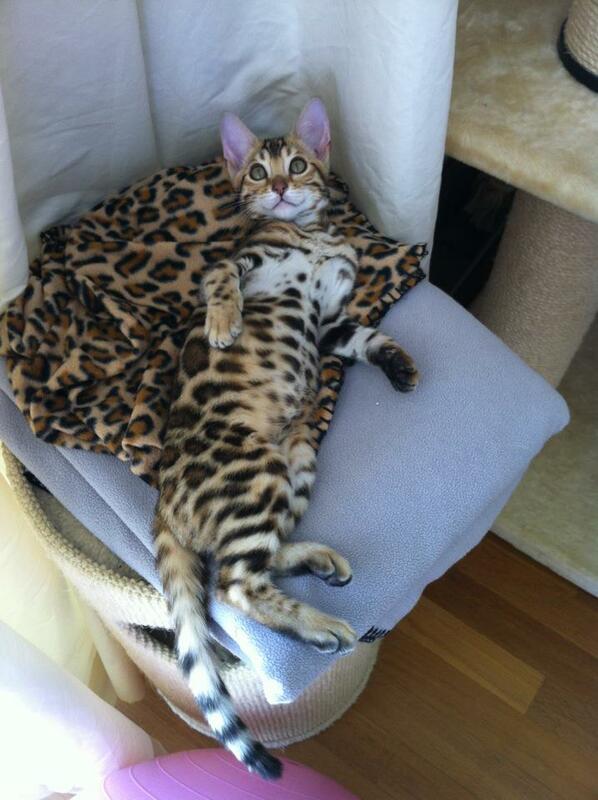 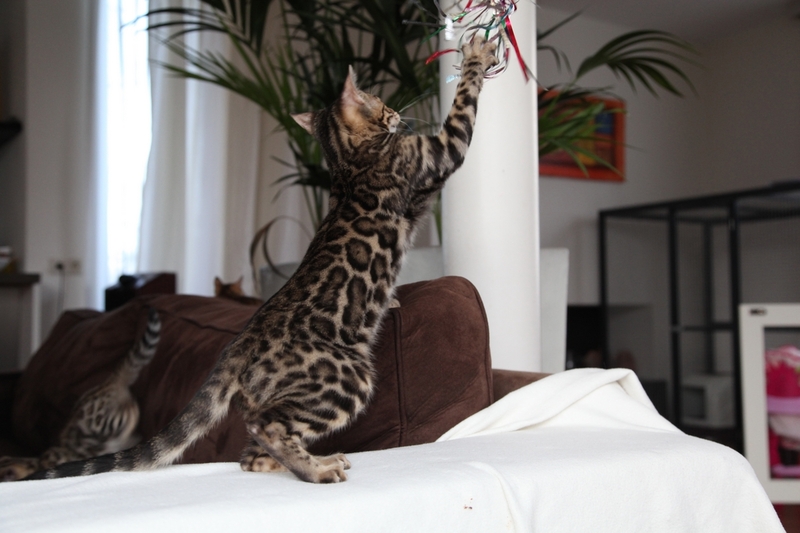 This boy has the most beautiful contrast, ocelot look-a-like rosettes and wonderful profile. 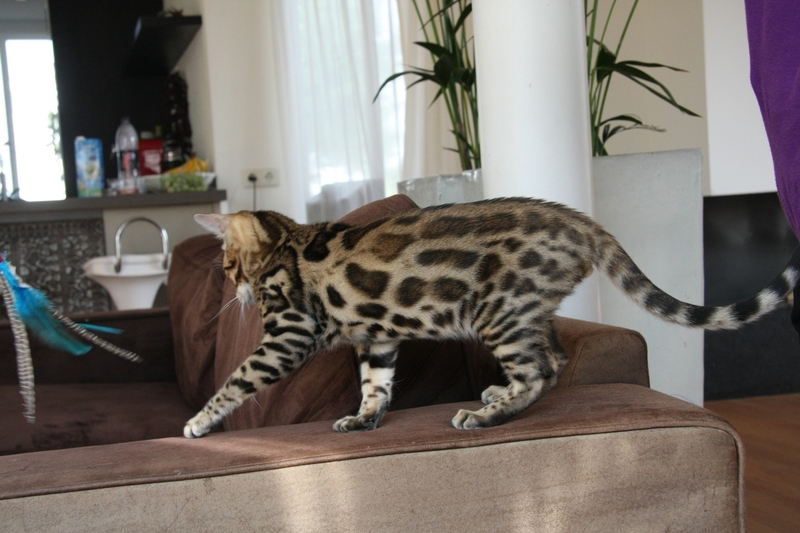 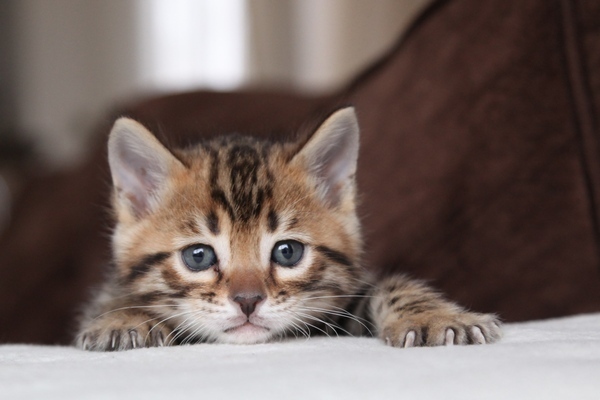 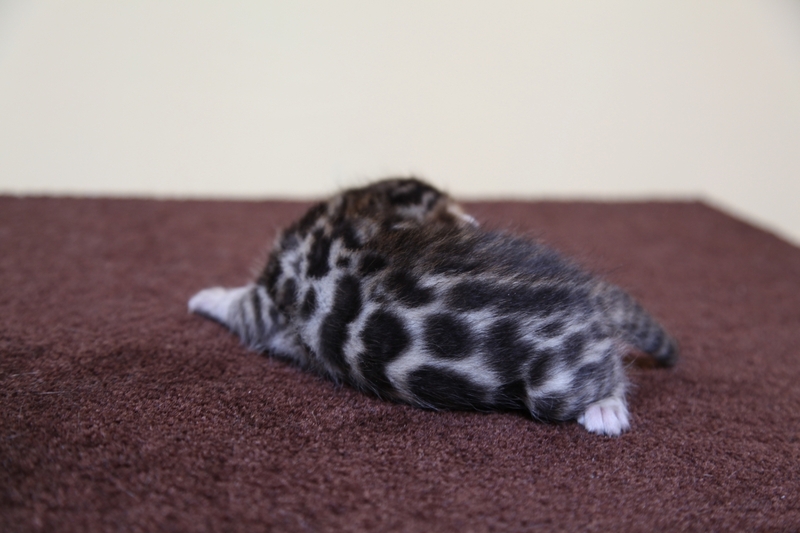 He has a very unic shoulder marking and will become a big boy. 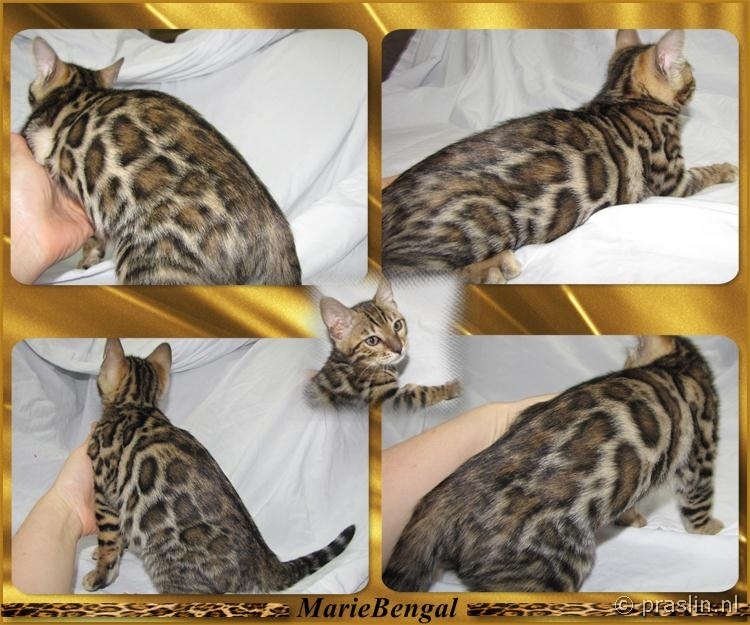 Maserati is an amaizing boy with huge, round, black outlined rosettes, great head and sweet carakter. 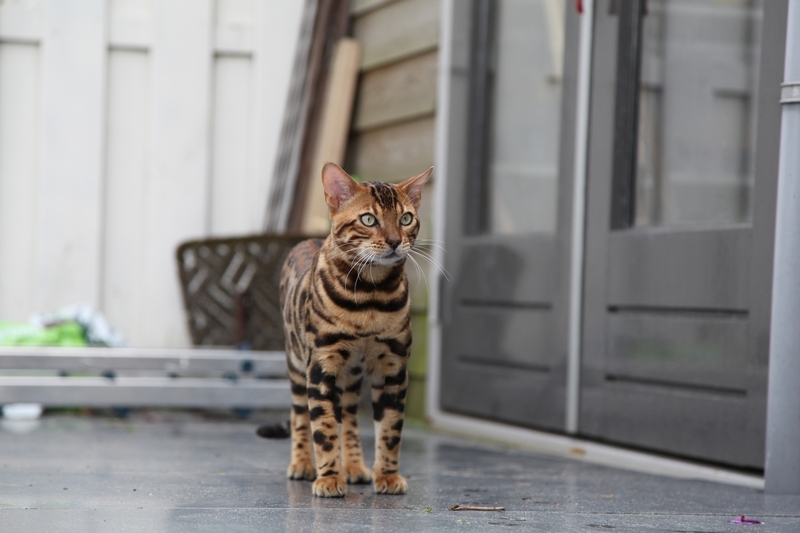 He is a once in a lifetime stud. 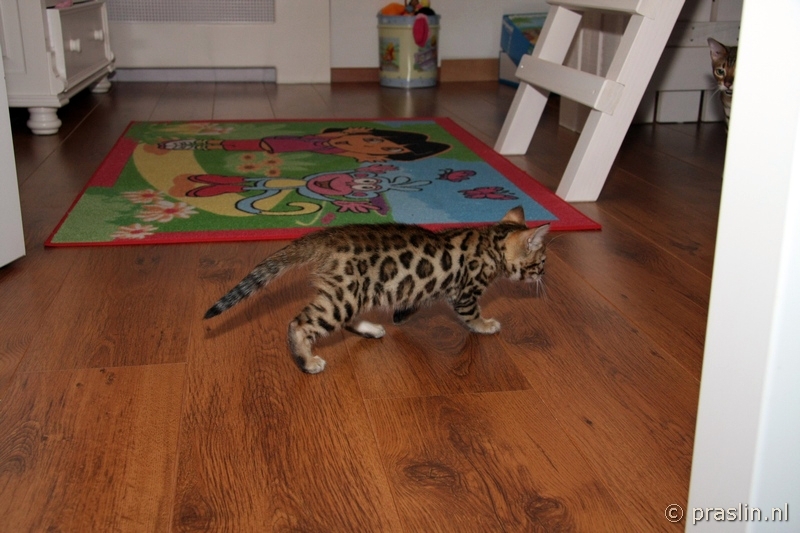 We proudly present our new addition from Canada. 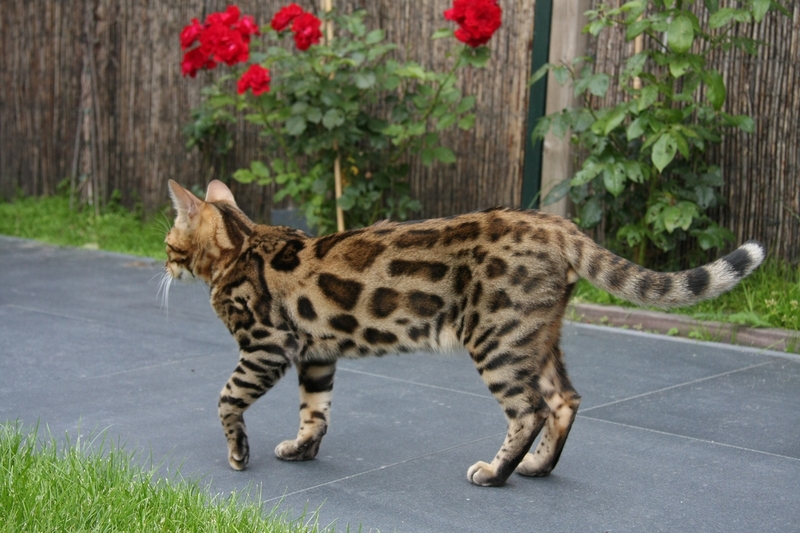 Heaven is a wonderful, huge rosetted girl with a superb contrast. 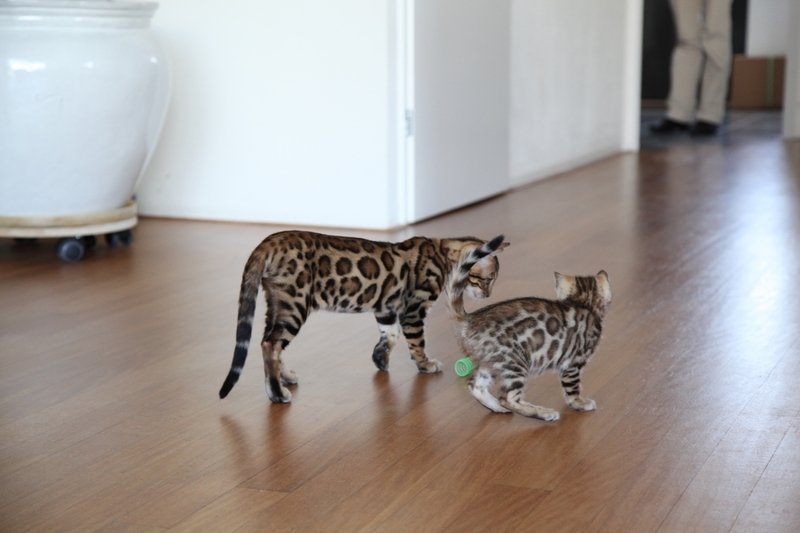 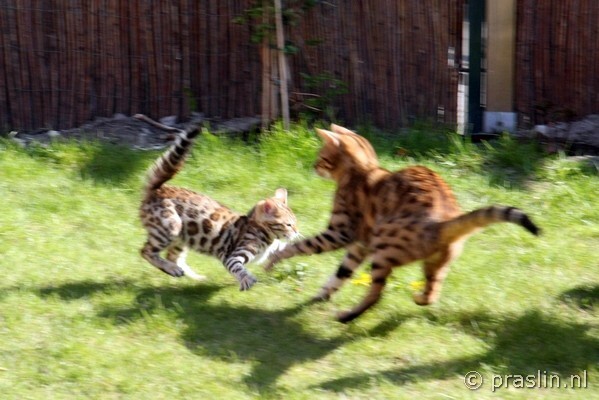 Our keeper girl out Cayenne and Mojito. 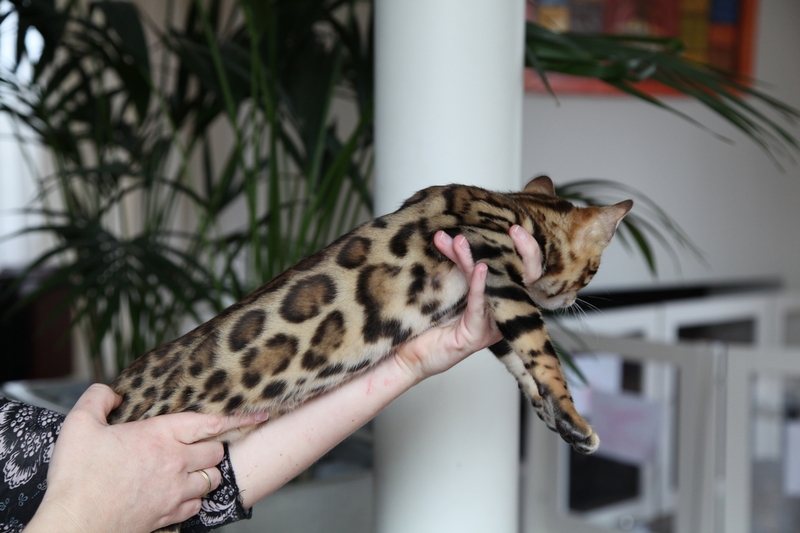 Dolce is an F7 girl with huge rosettes, beautiful contrast and deep color. 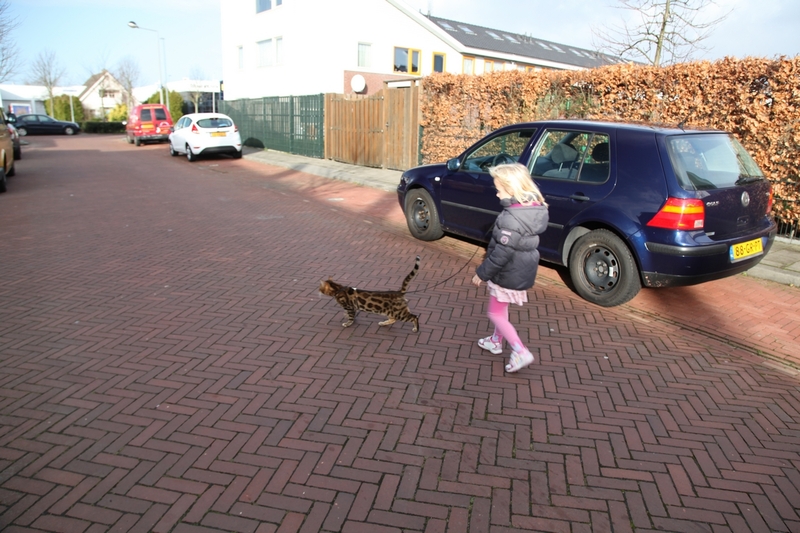 She is huge and has a very friendly caracter. 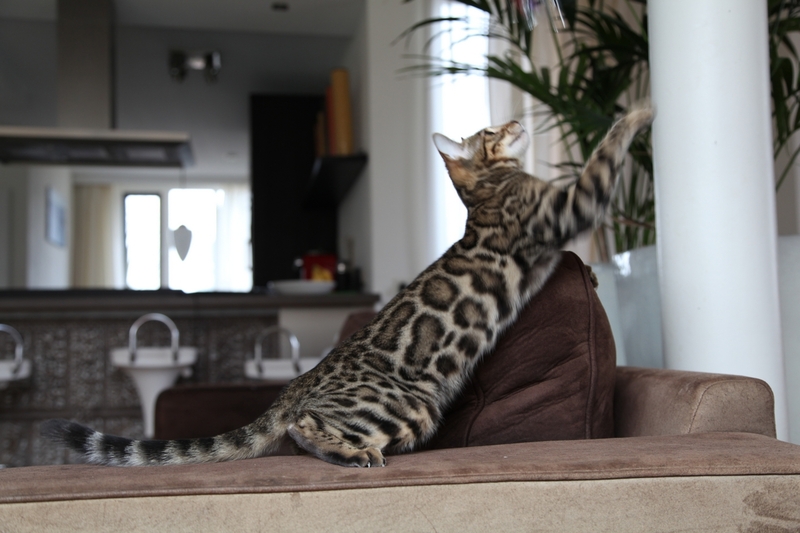 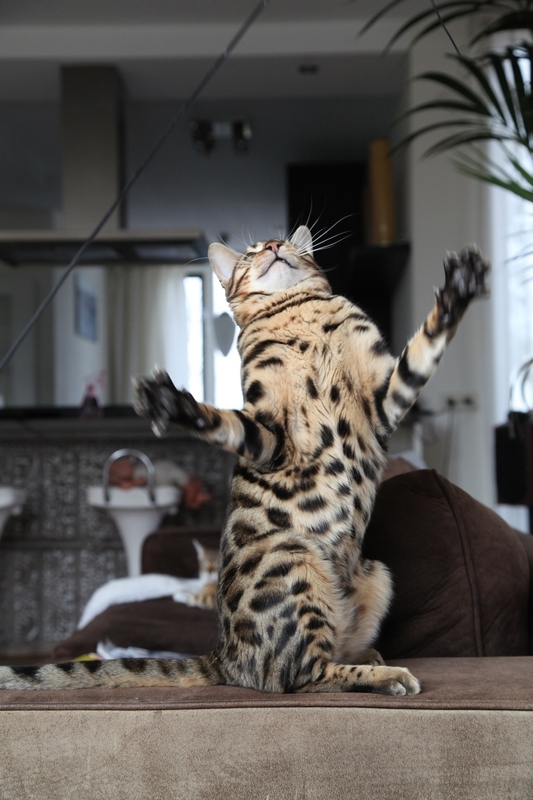 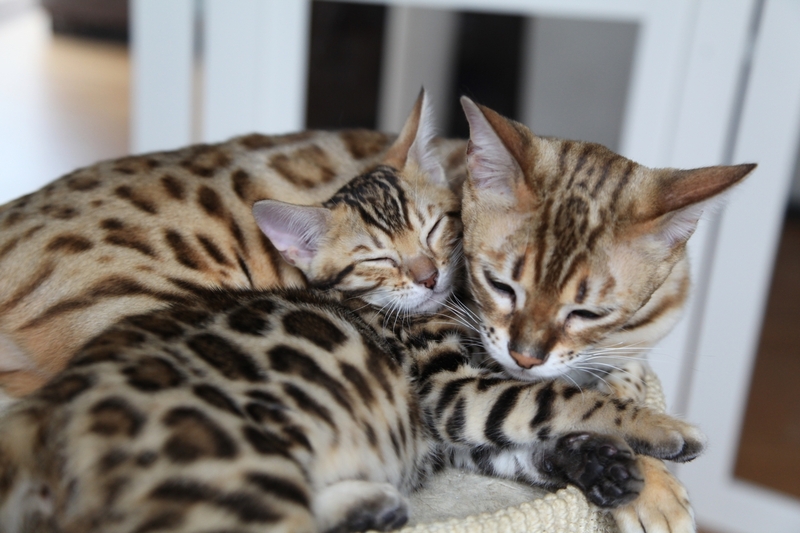 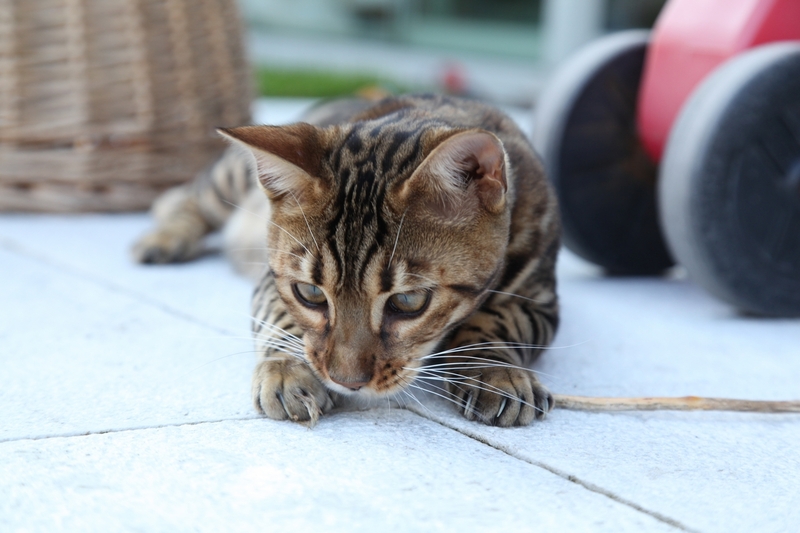 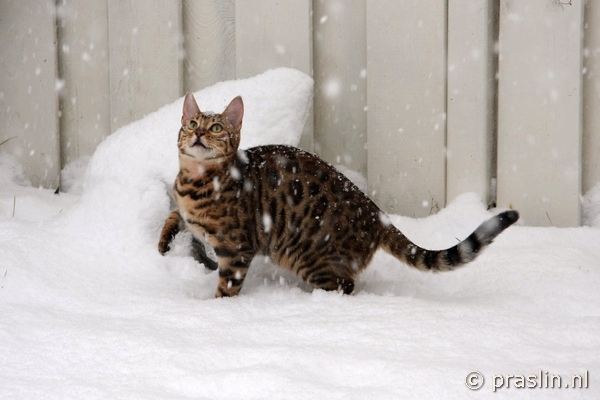 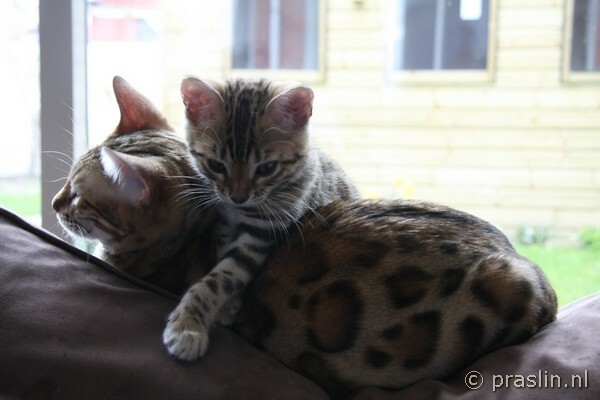 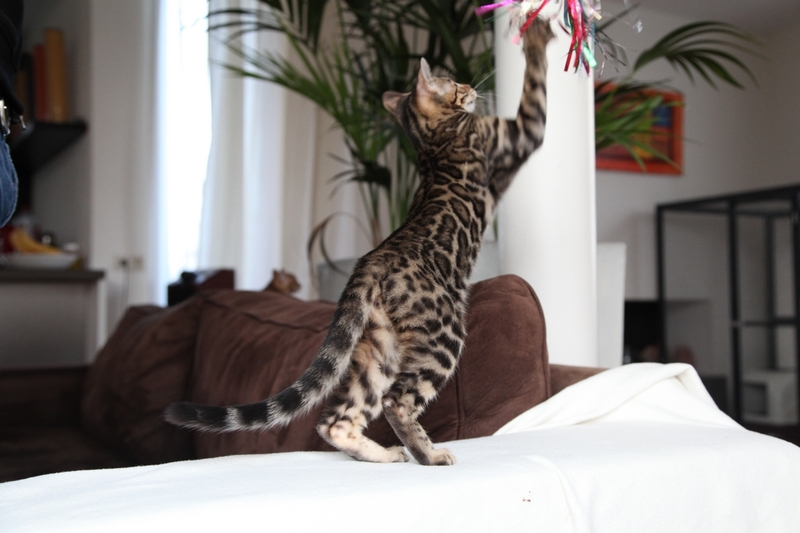 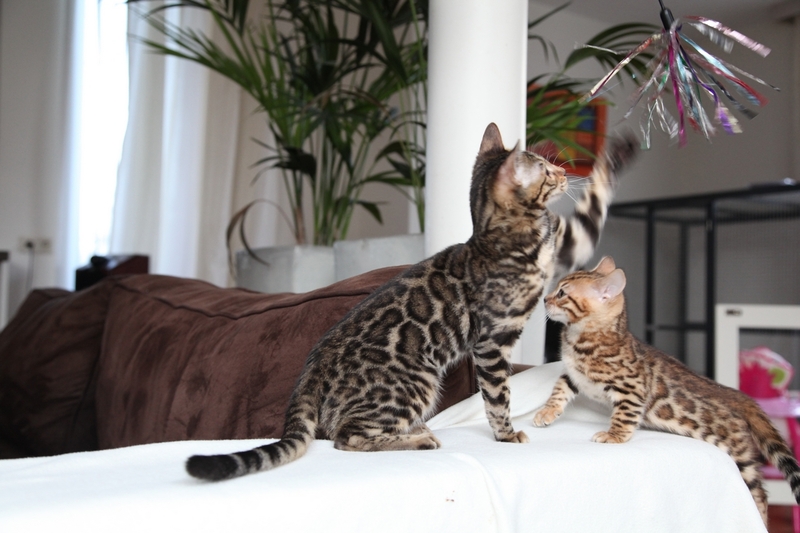 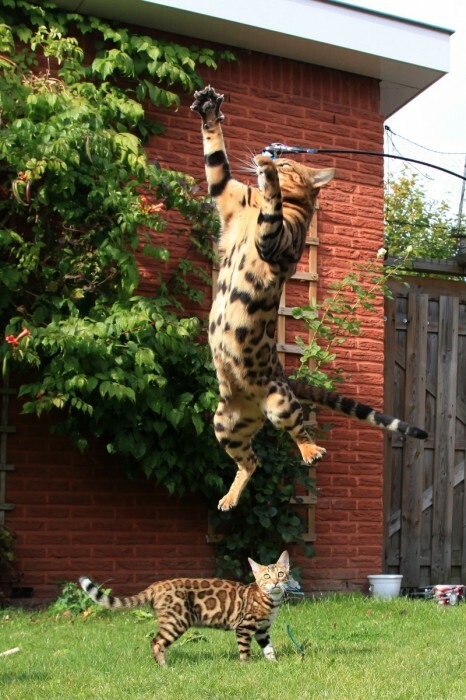 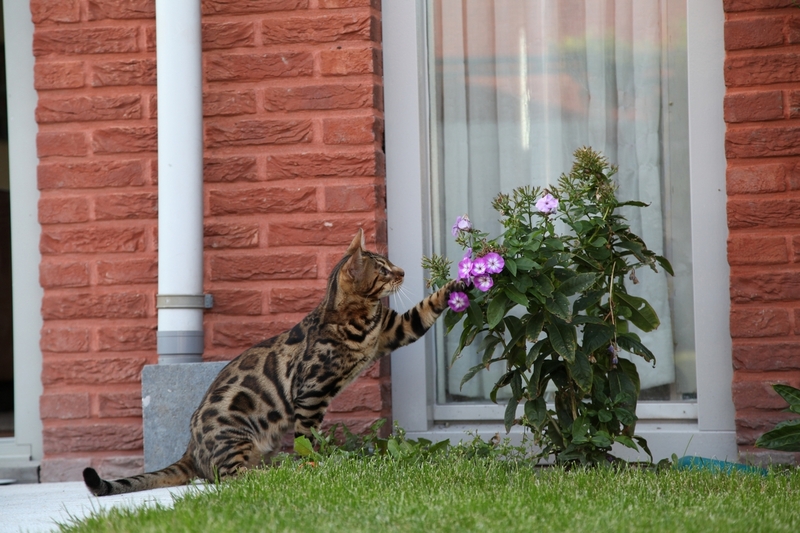 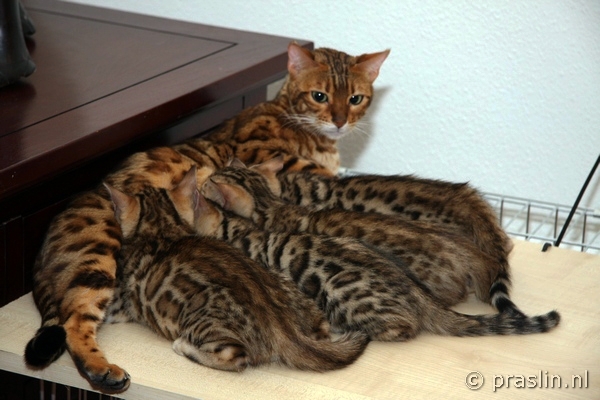 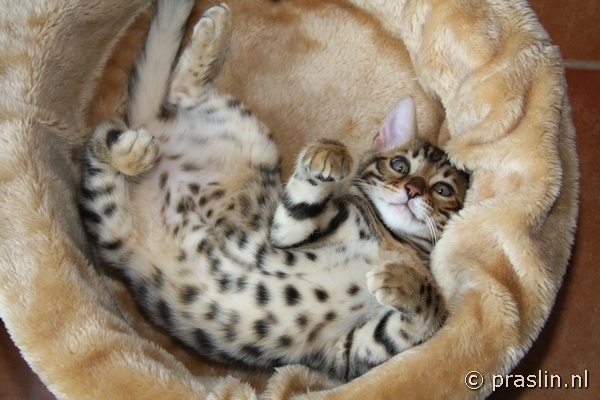 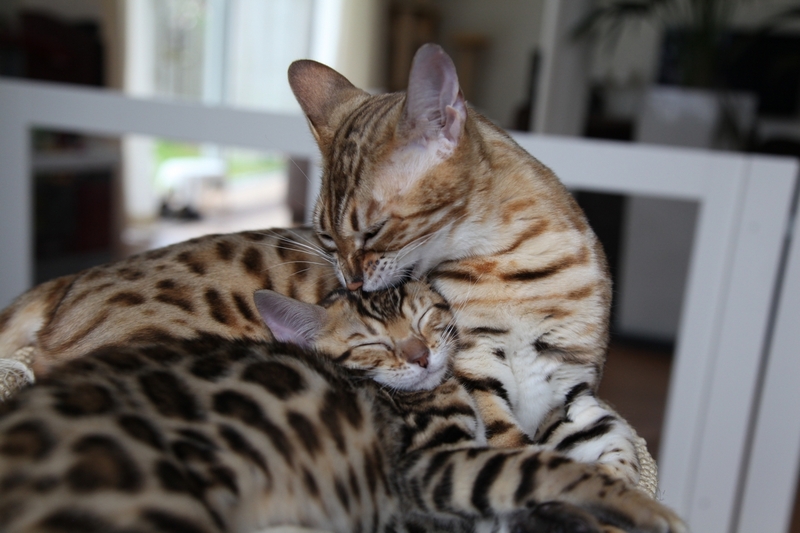 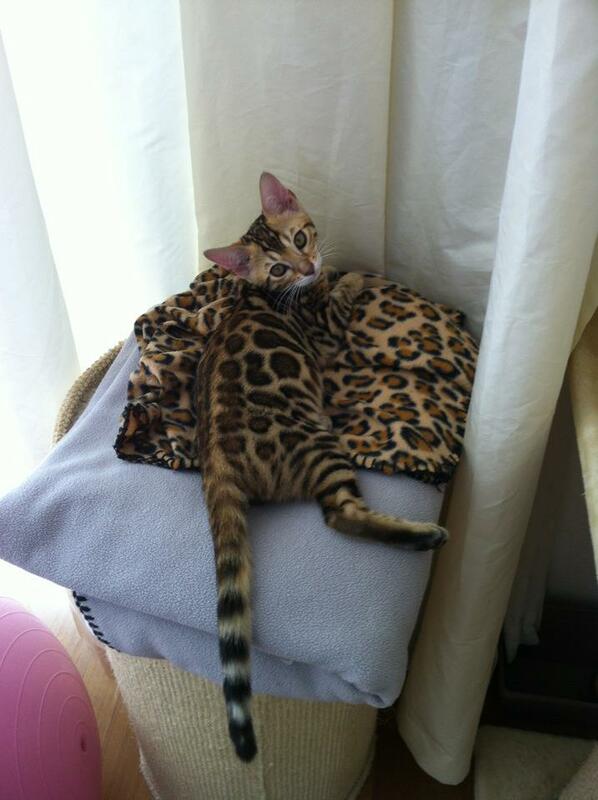 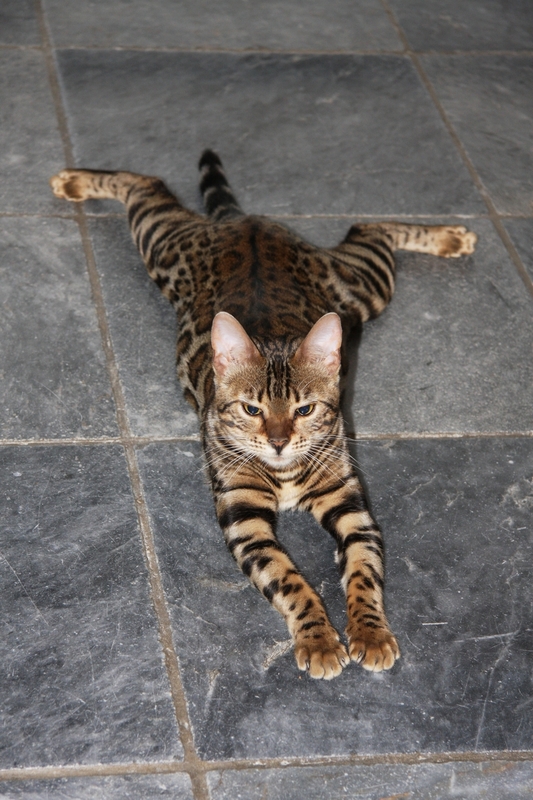 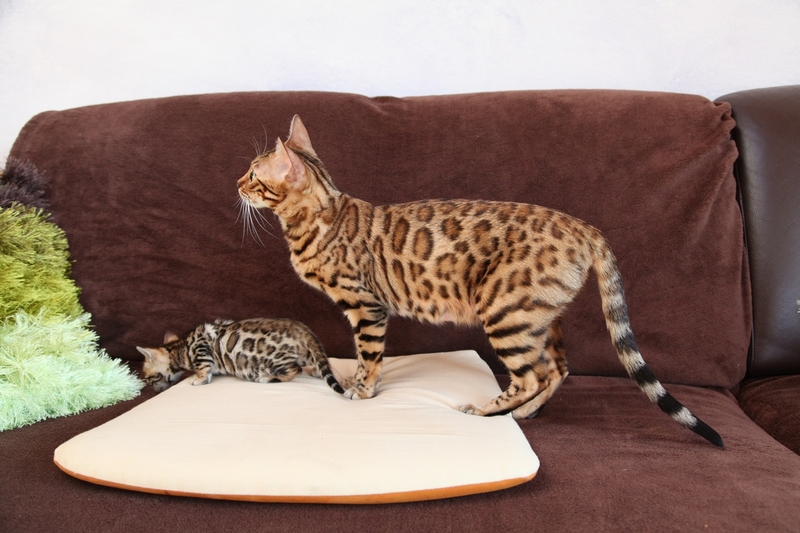 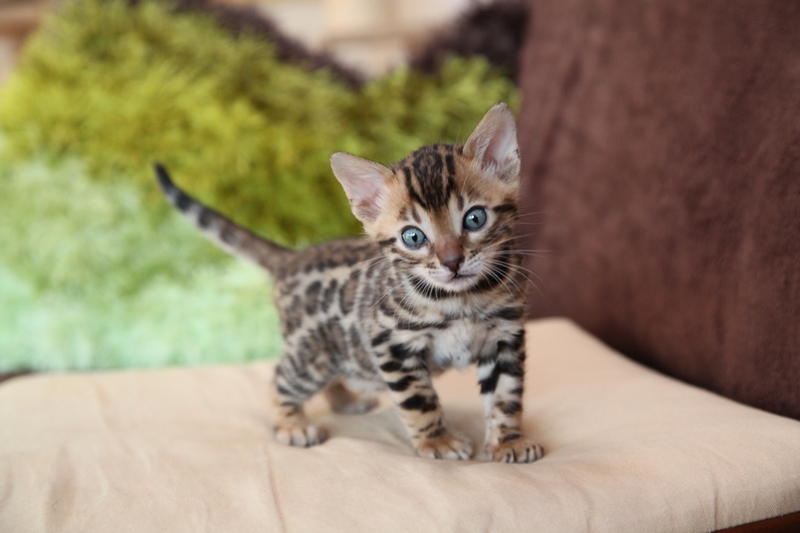 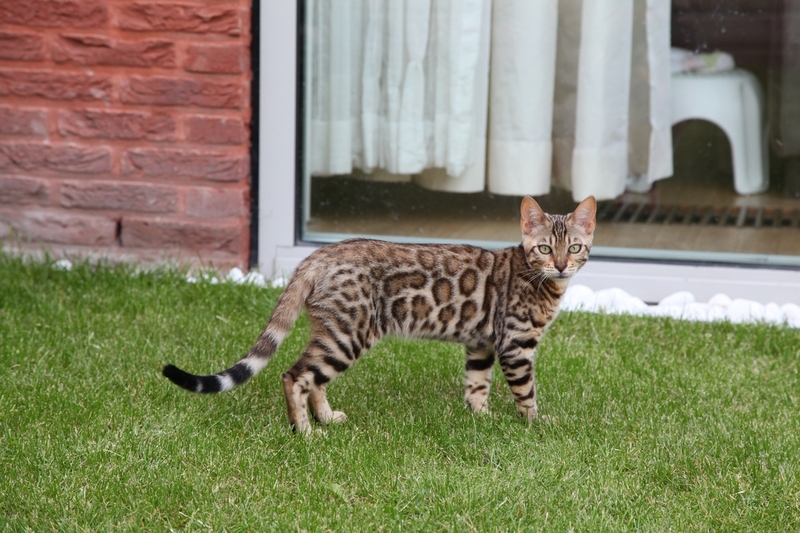 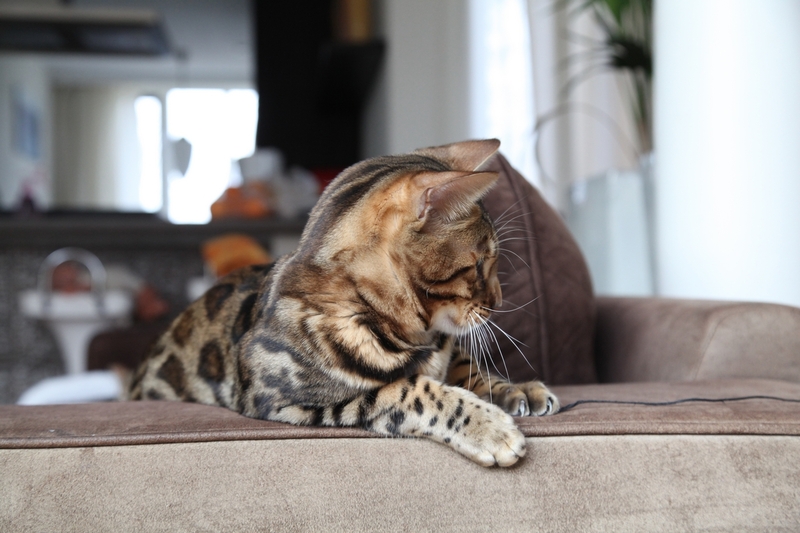 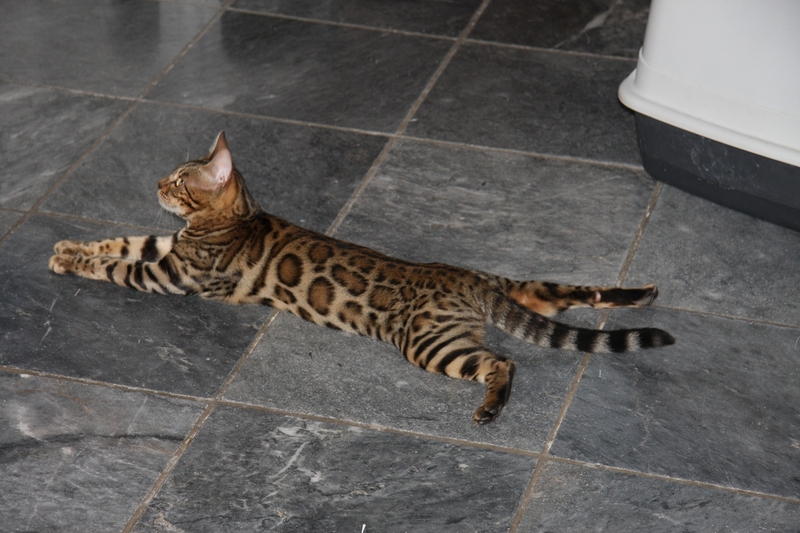 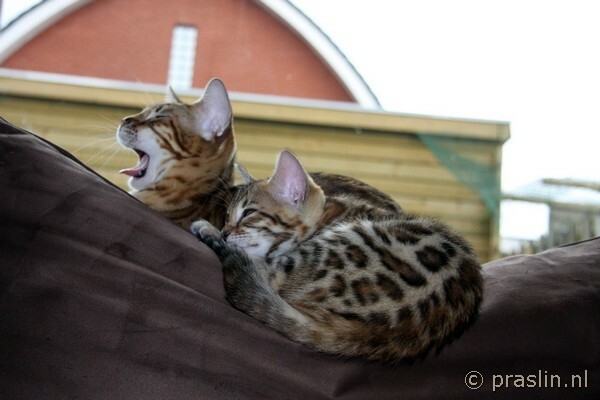 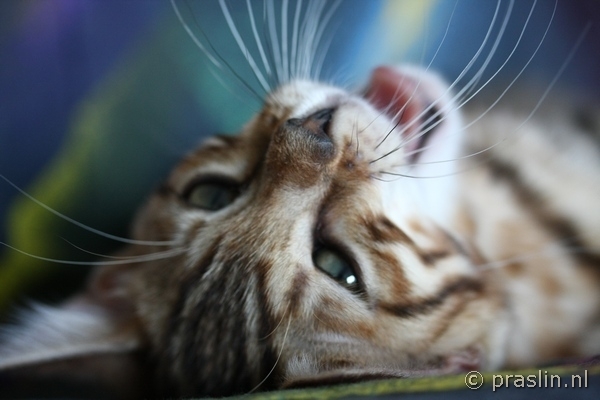 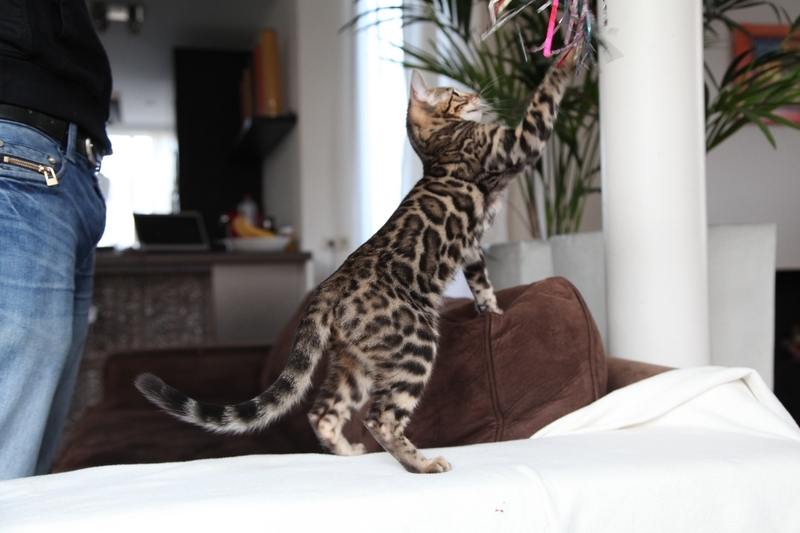 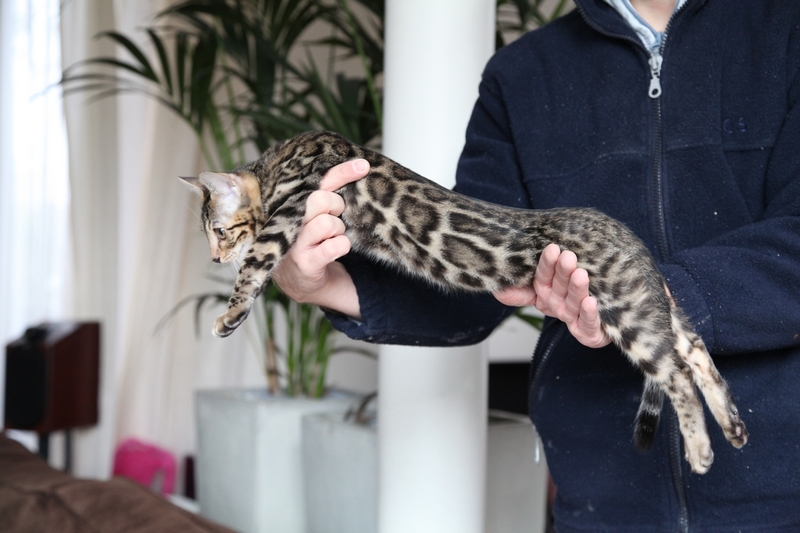 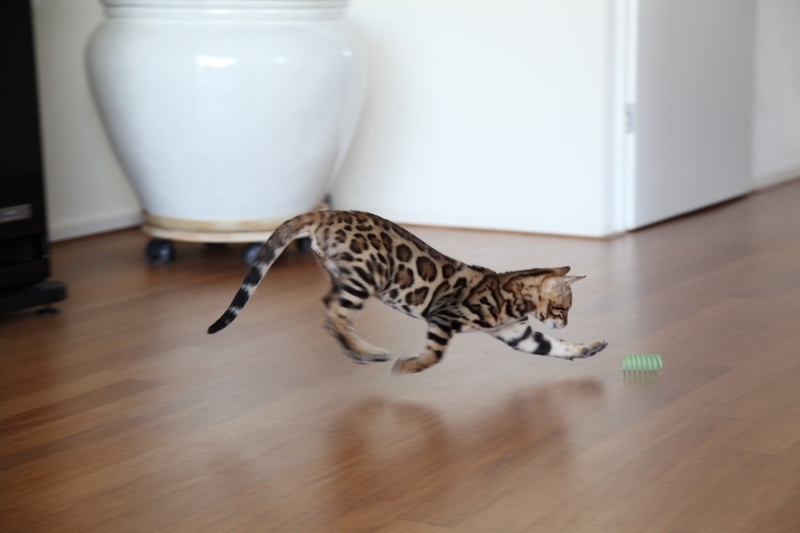 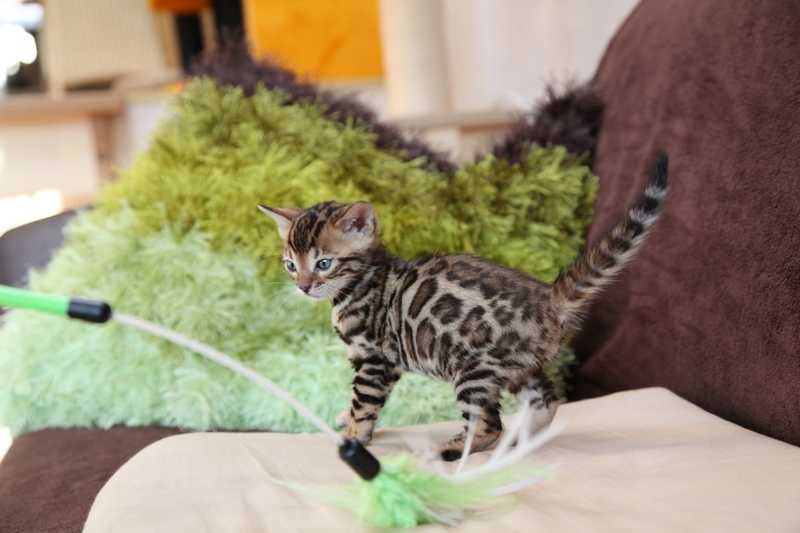 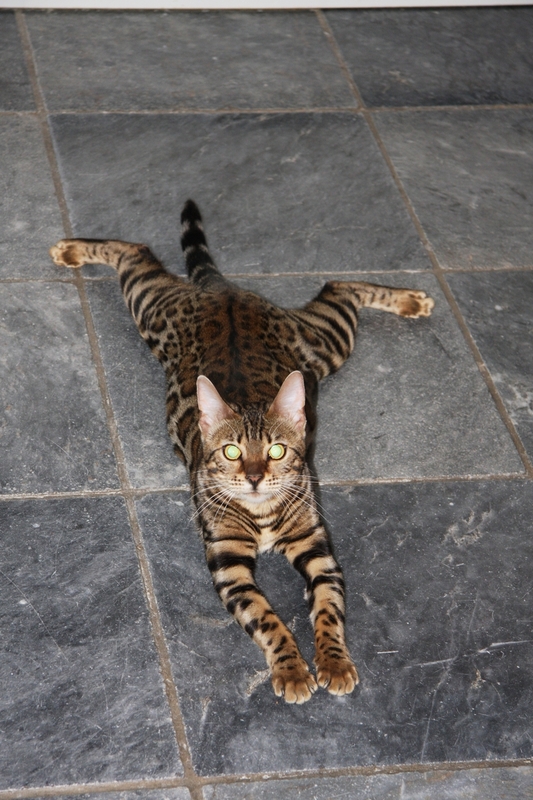 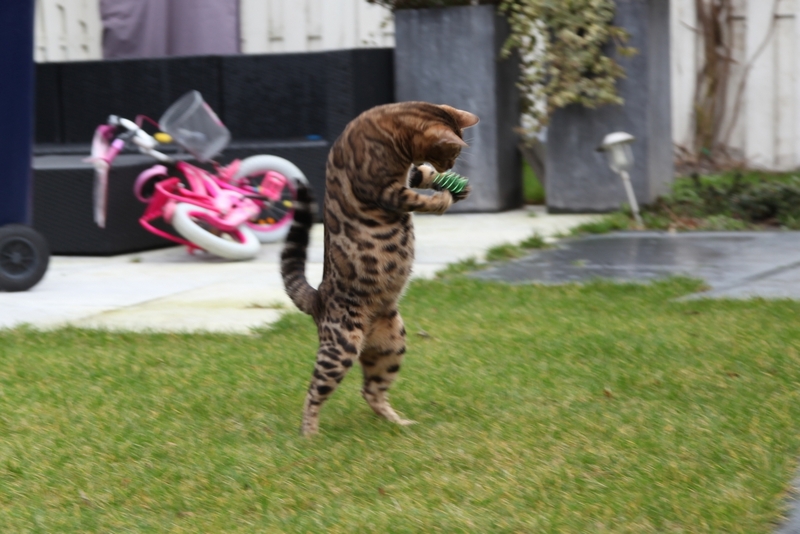 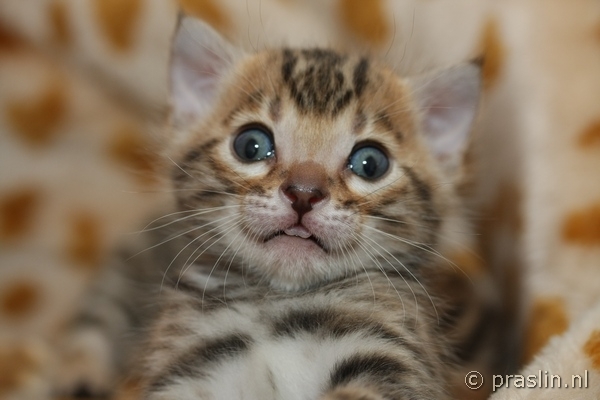 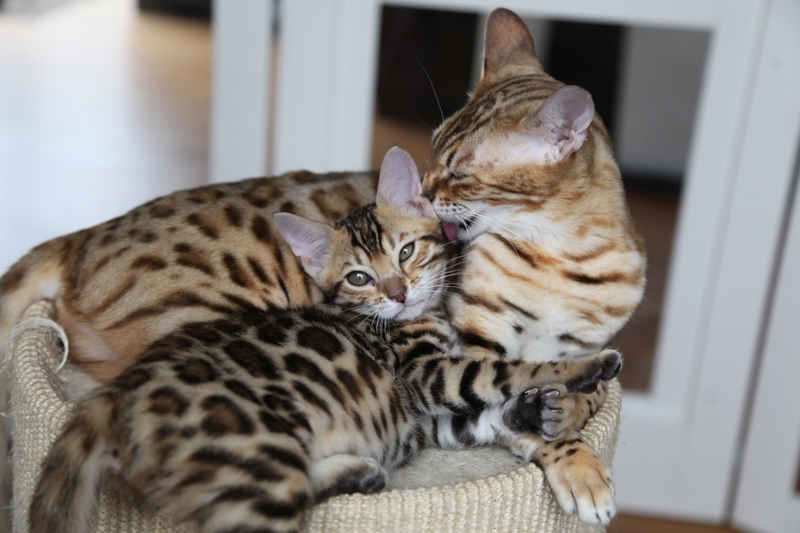 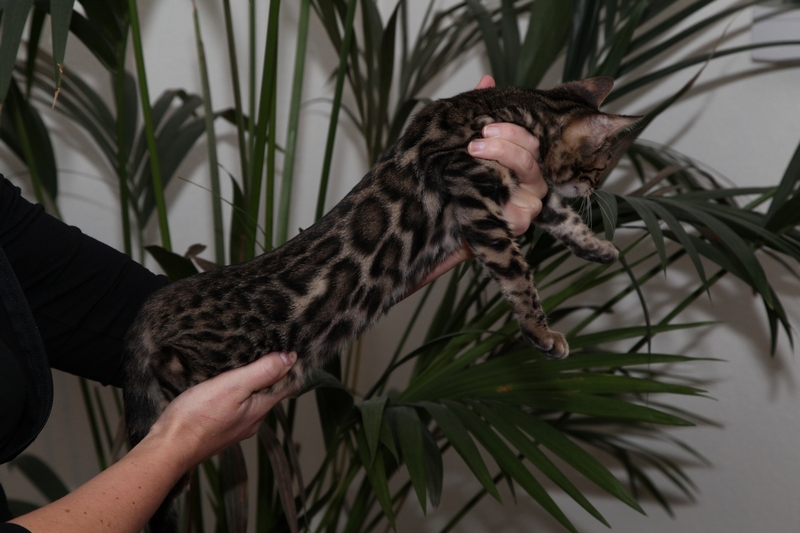 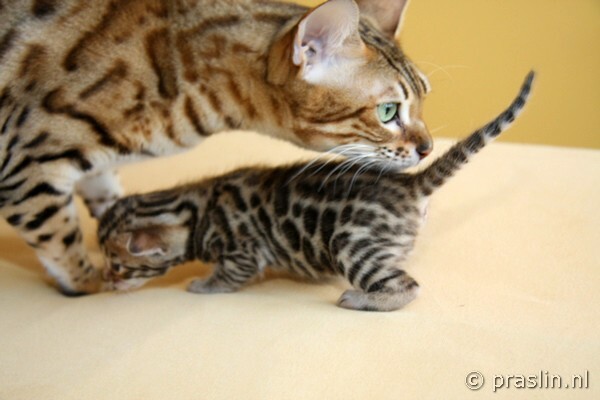 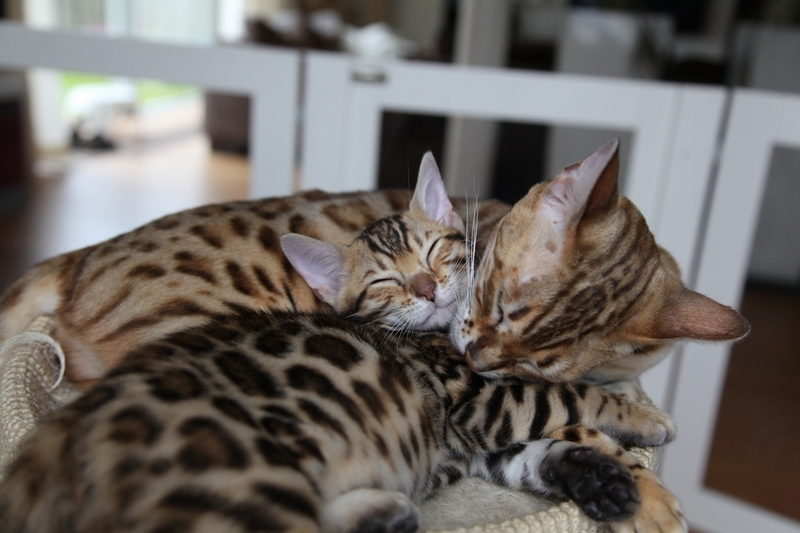 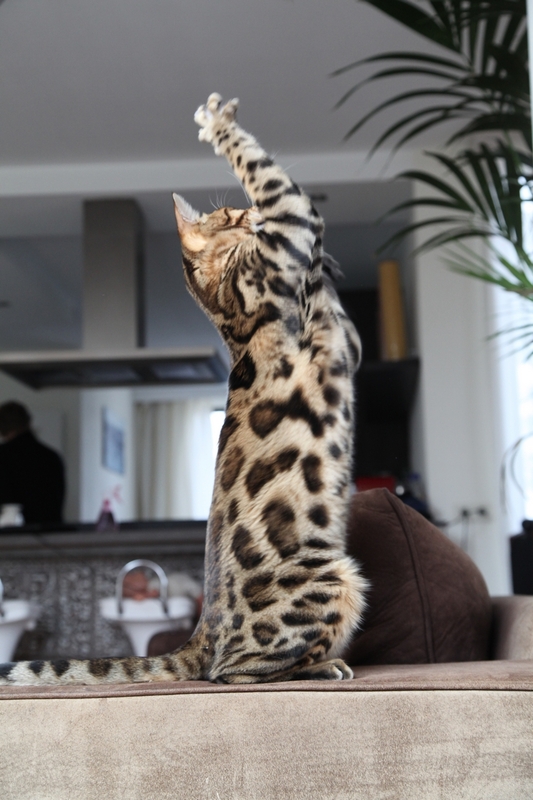 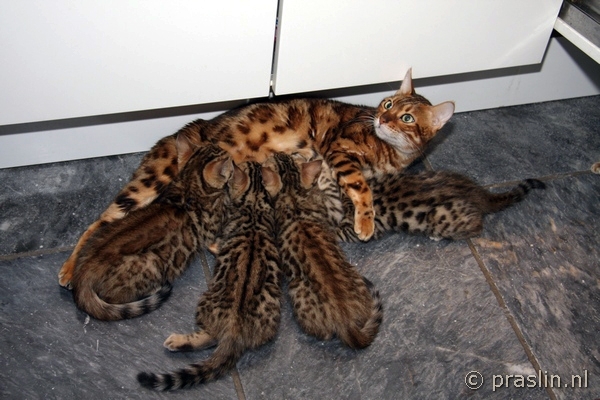 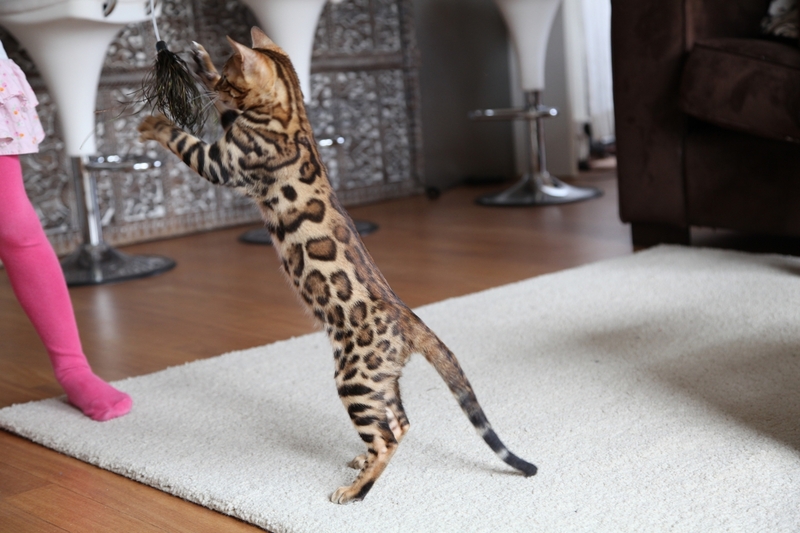 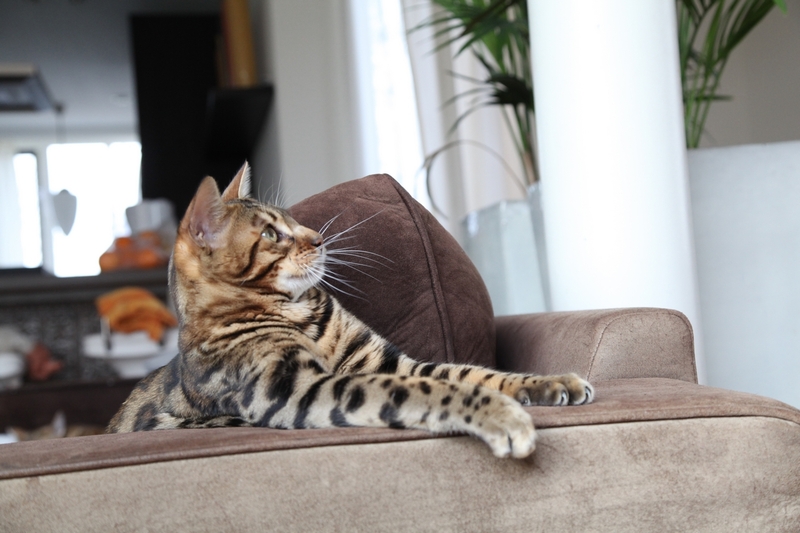 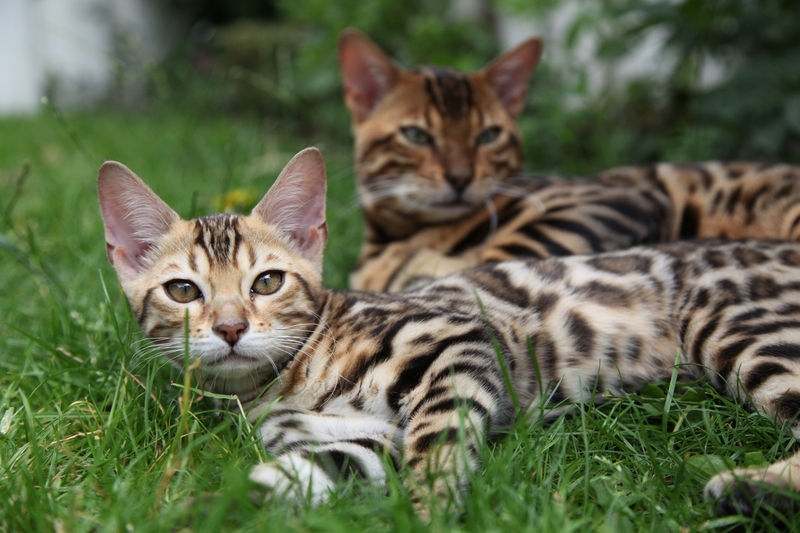 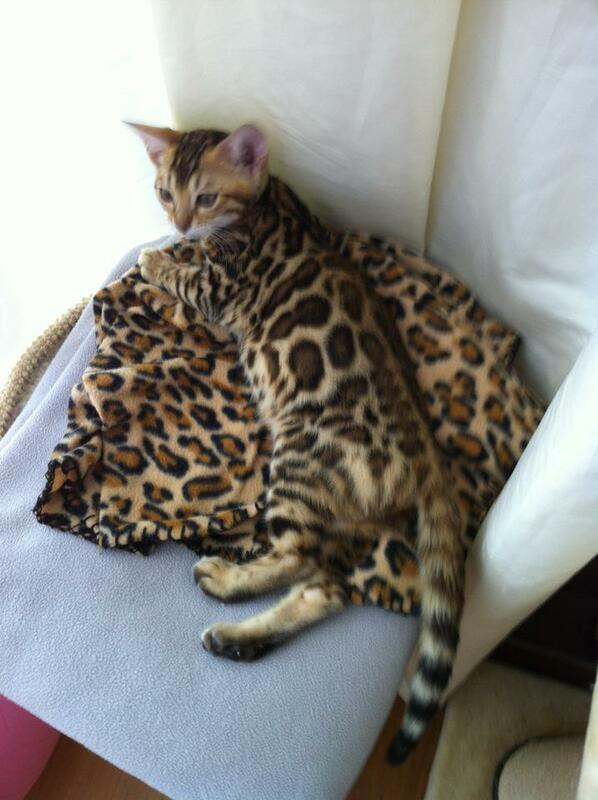 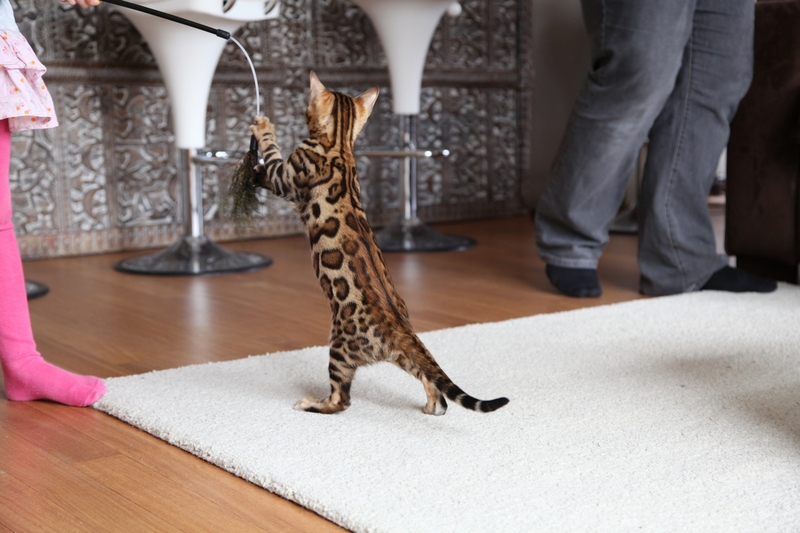 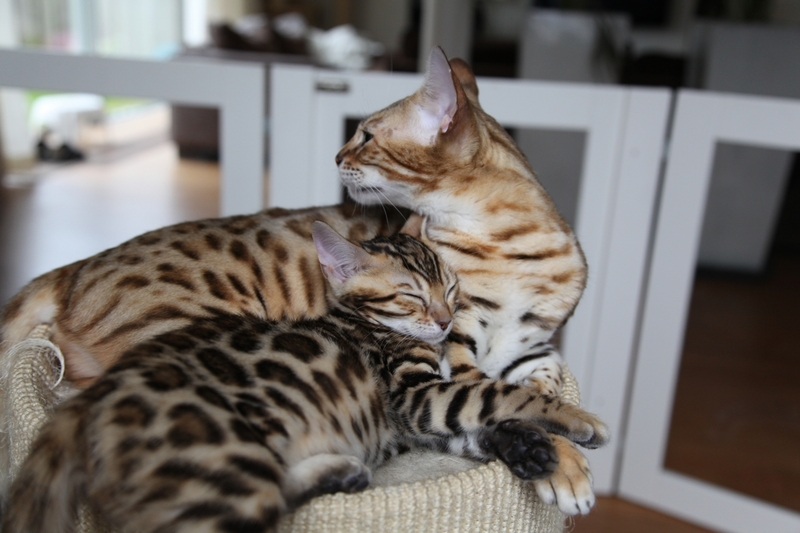 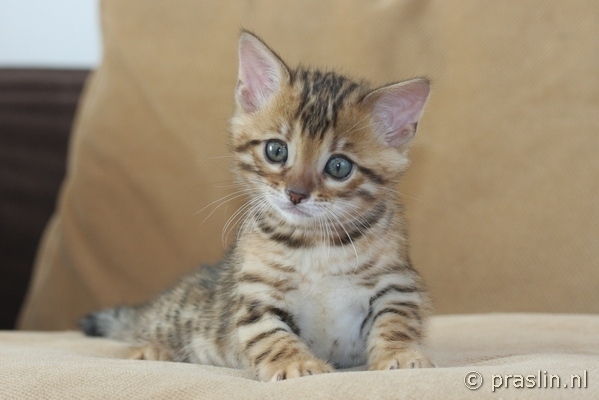 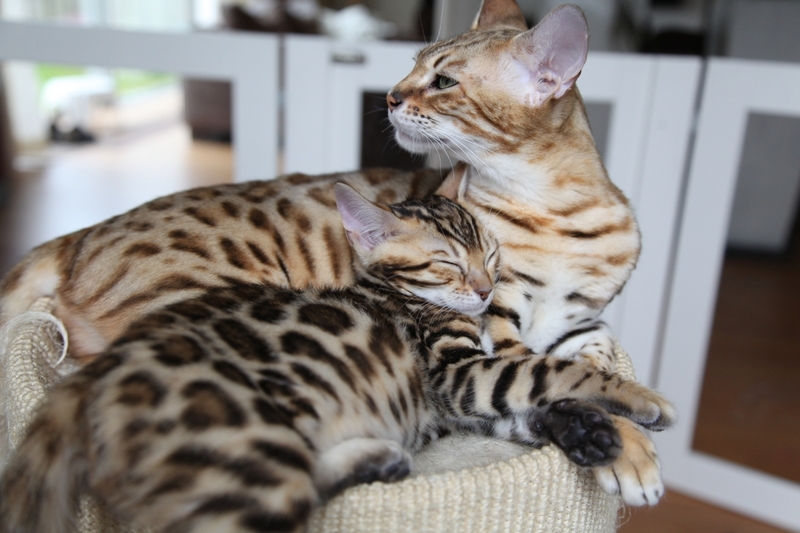 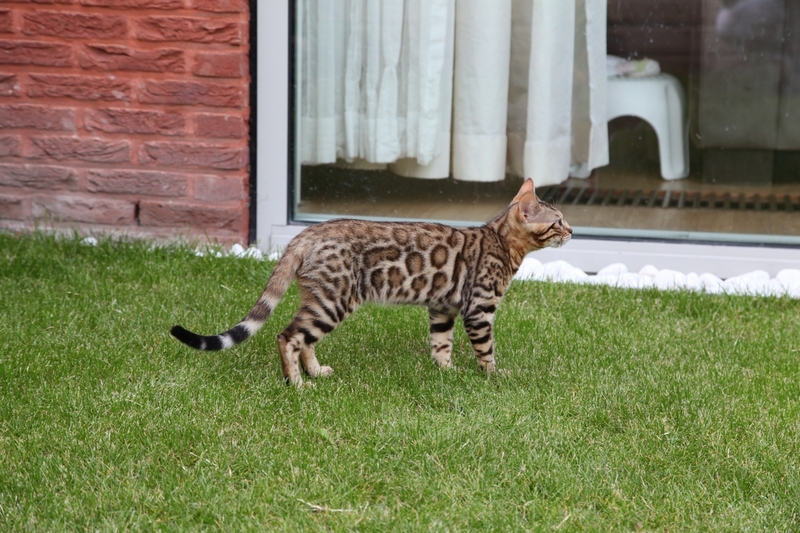 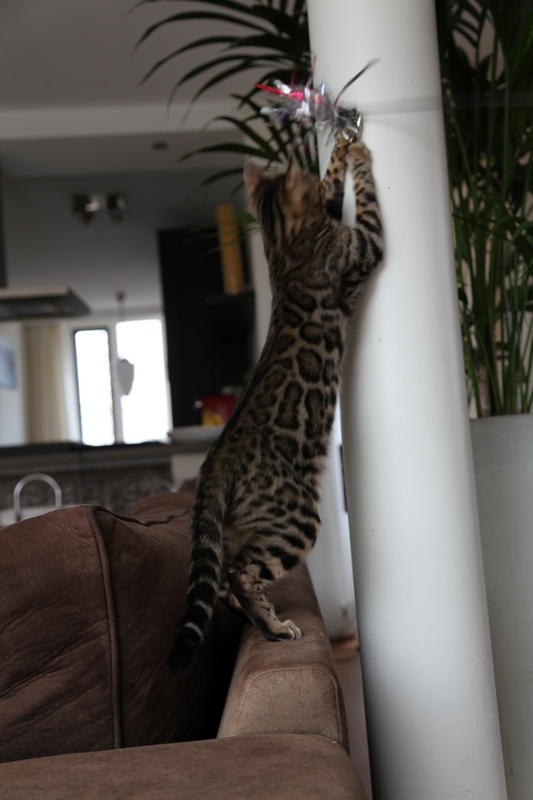 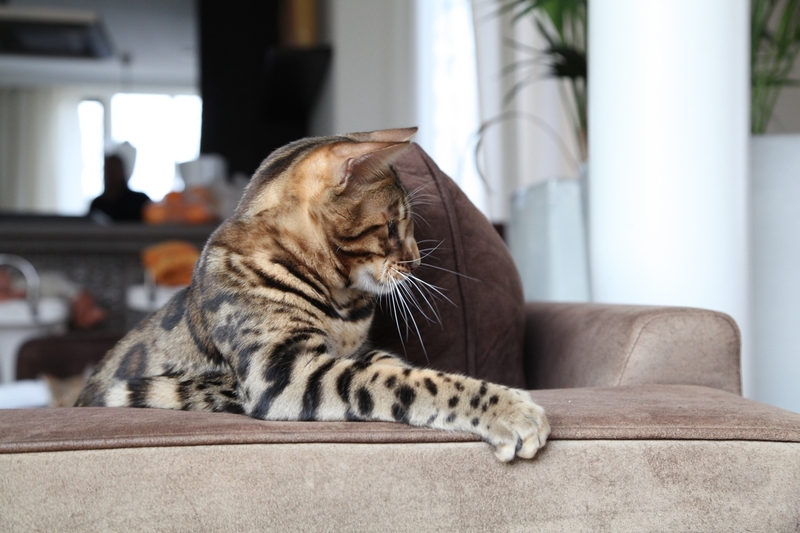 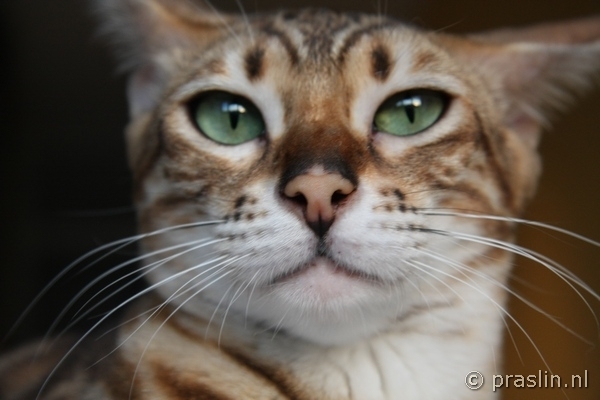 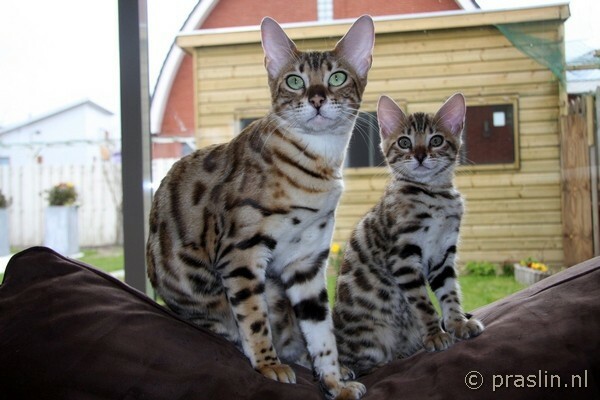 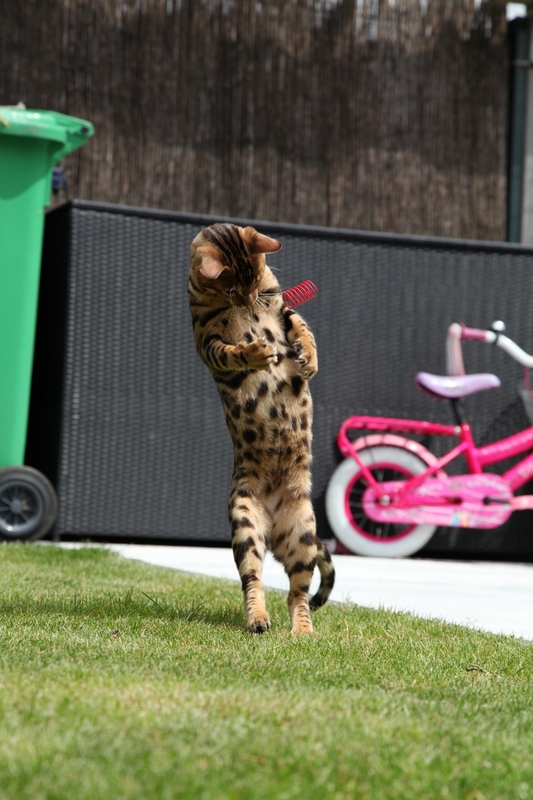 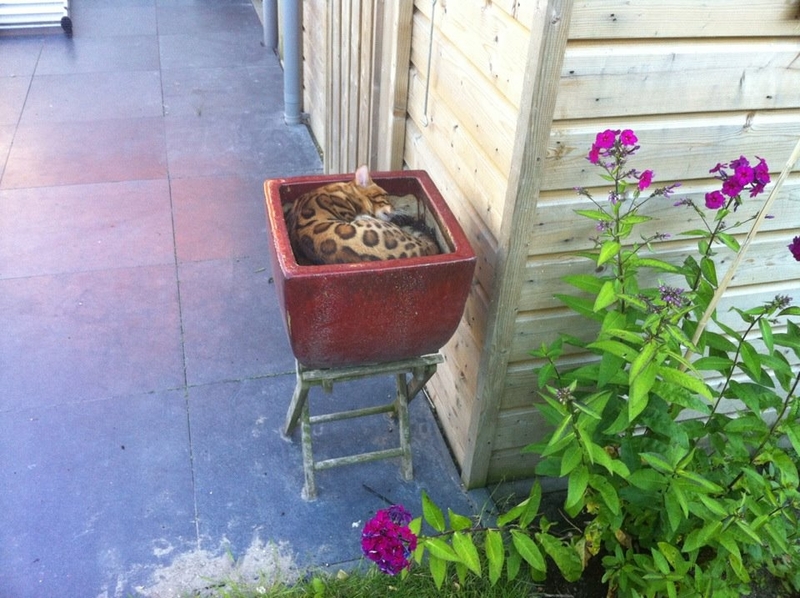 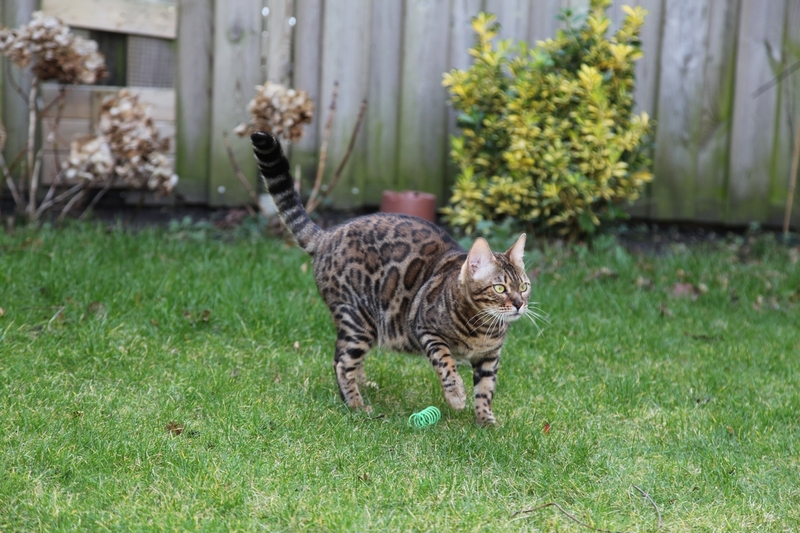 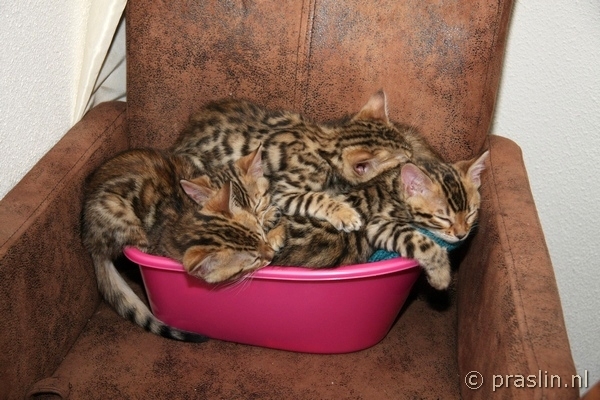 We proudly present Daisy, our new upcoming queen at Praslin bengals. 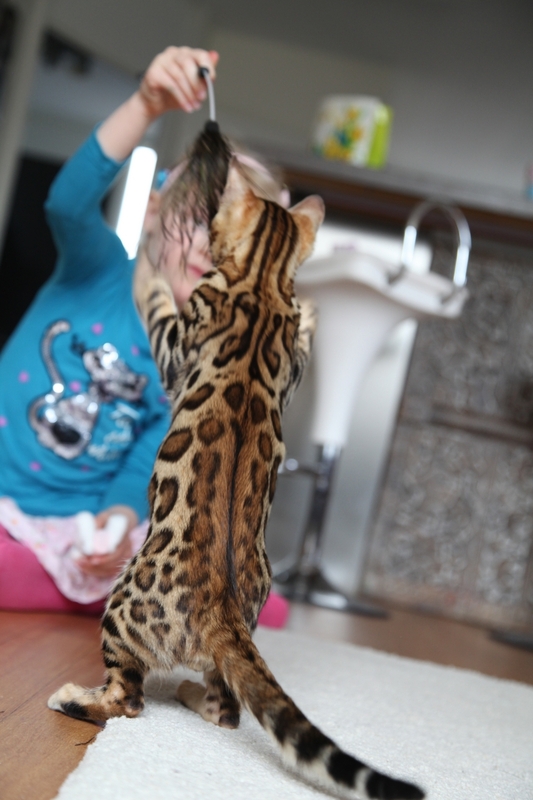 This girl is coming from a beautiful bloodline, her grandfather is Legacy Major Impact. 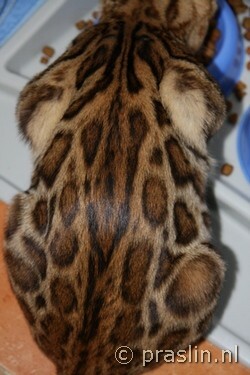 This girl has huge rosettes, great contrast, amaizing head and a very sweet karakter. 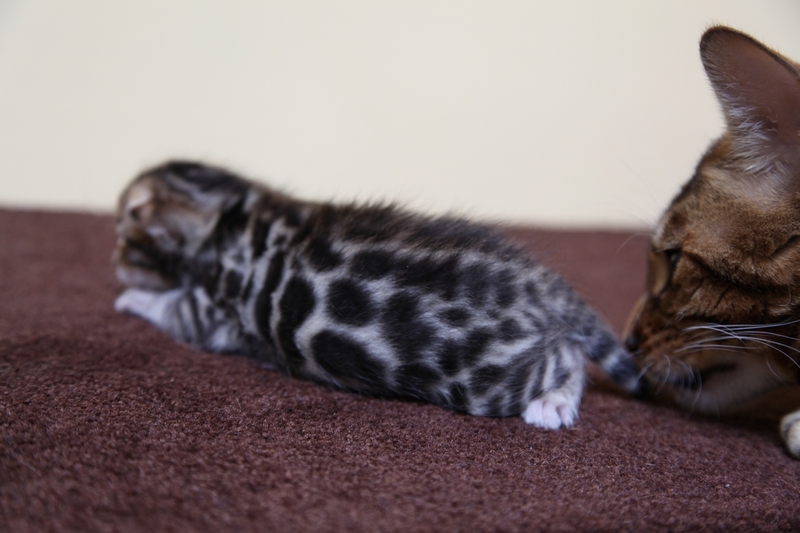 Our keeper out of Porsche and Titan. 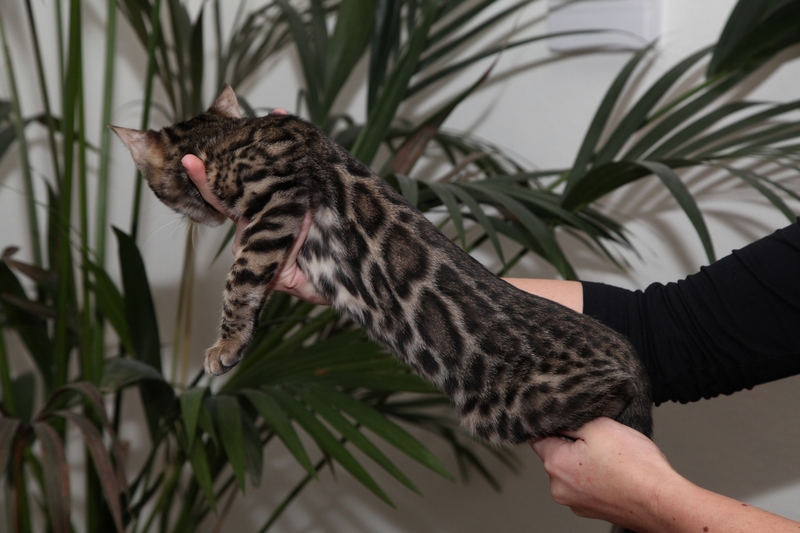 Picture Perfect has huge, round rosettes, she is big and has a good head.